> Gulf Ridge Council, Tampa. 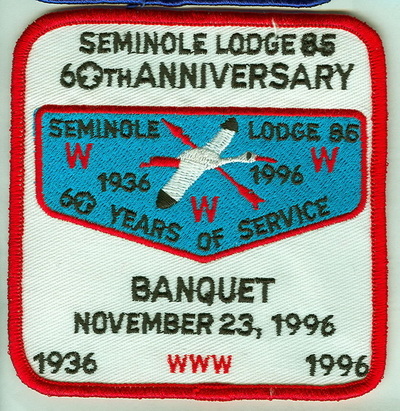 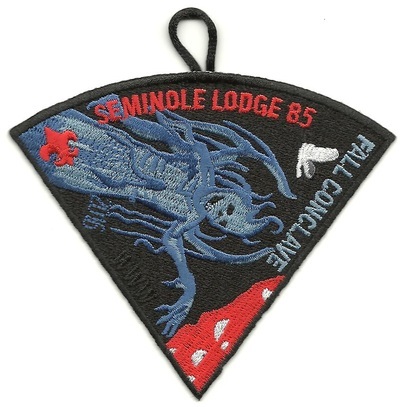 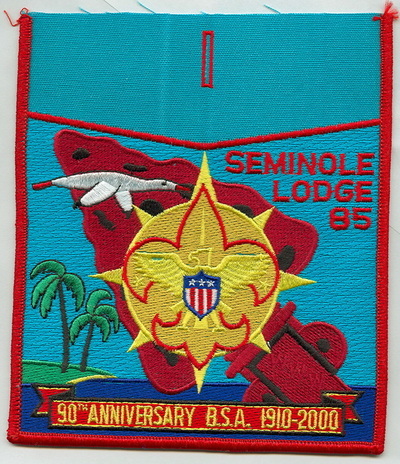 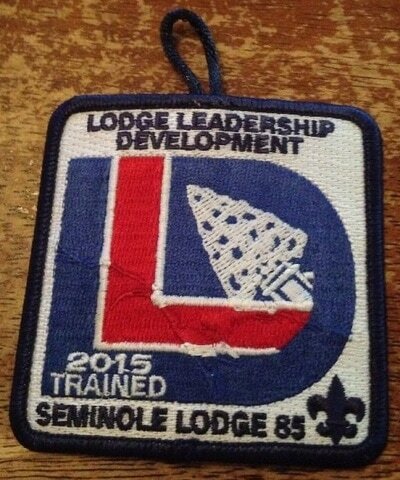 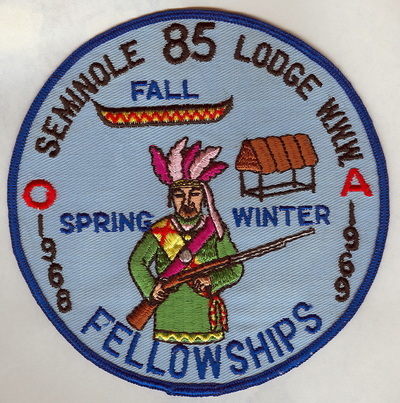 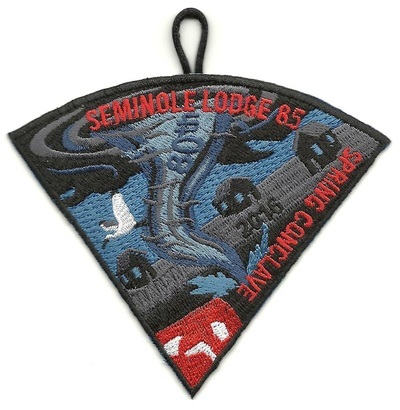 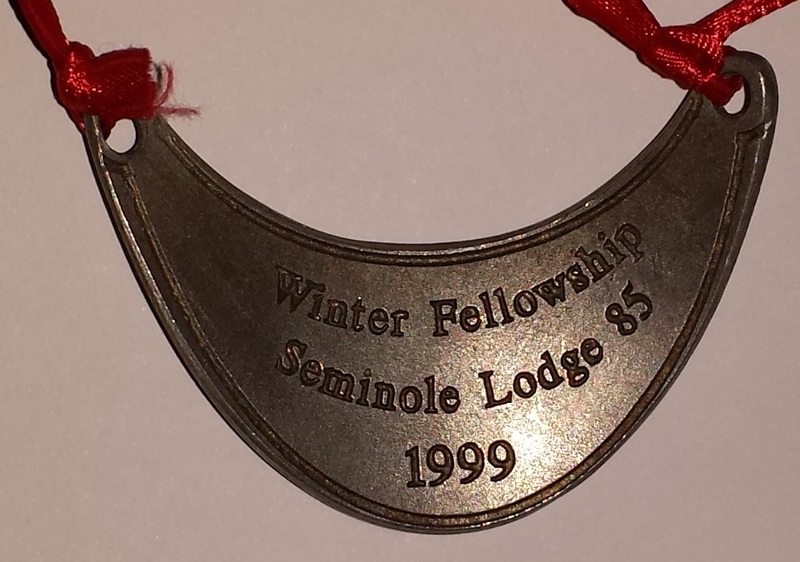 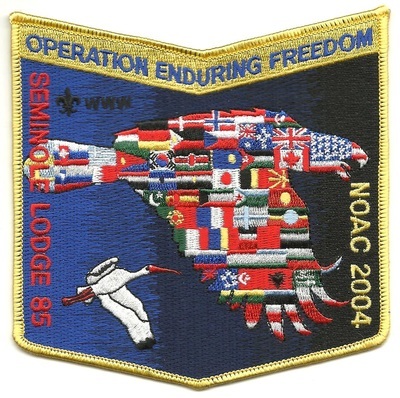 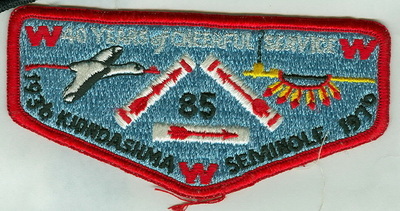 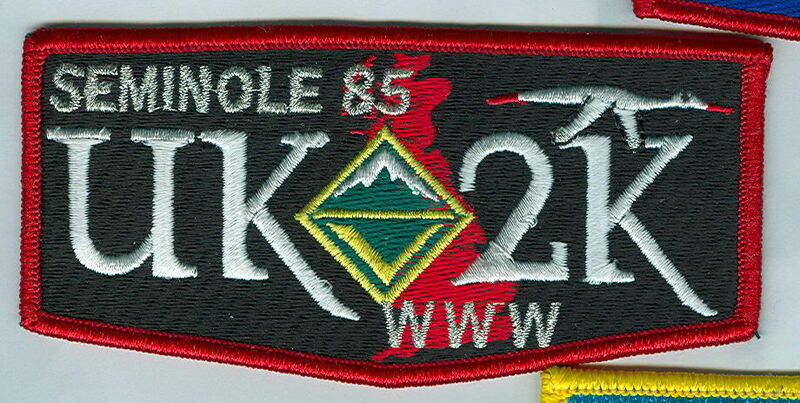 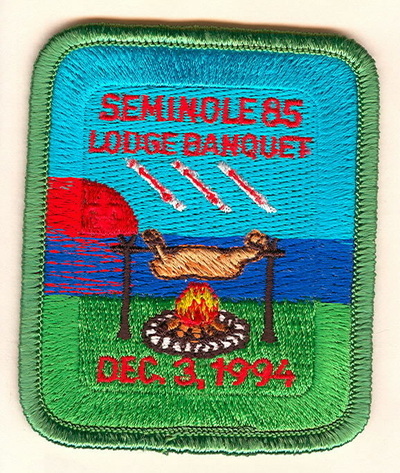 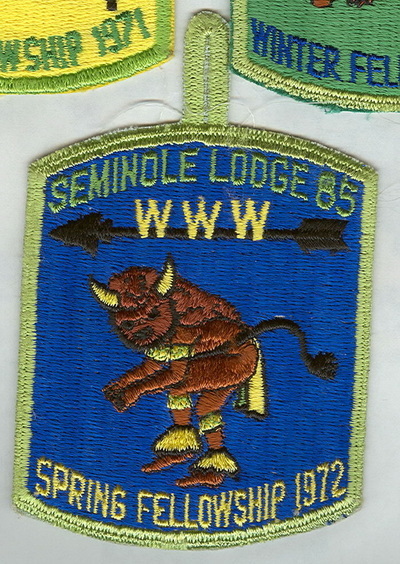 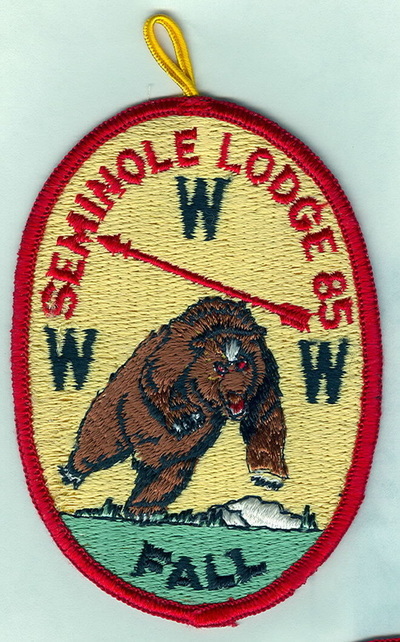 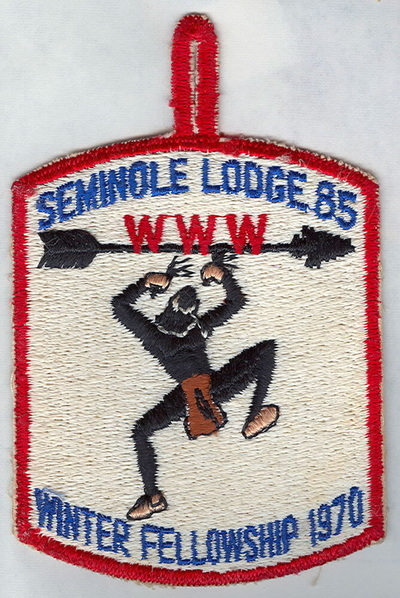 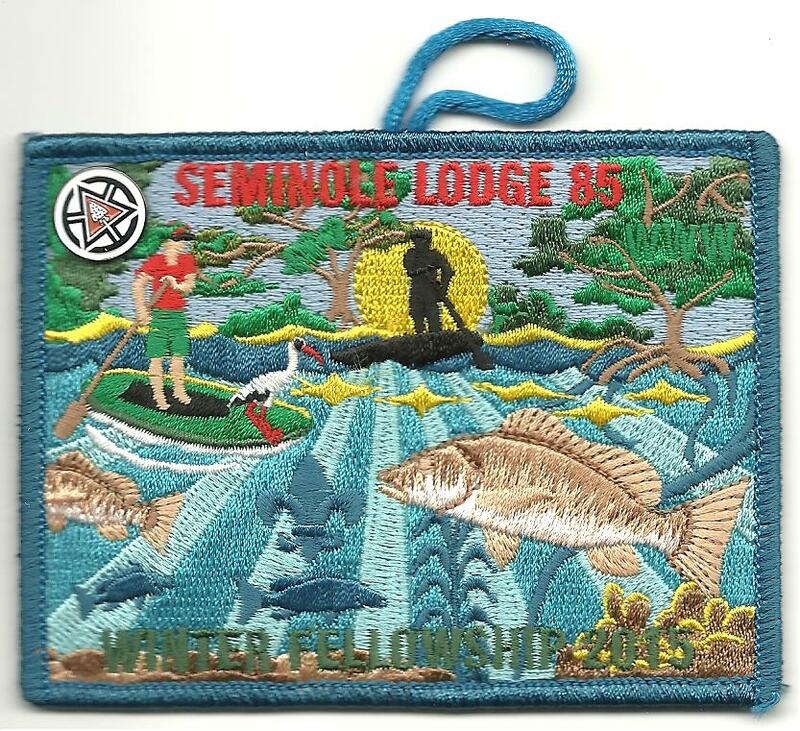 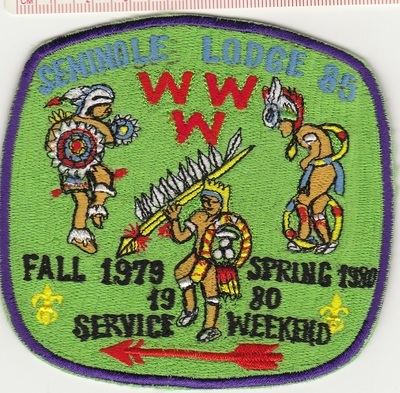 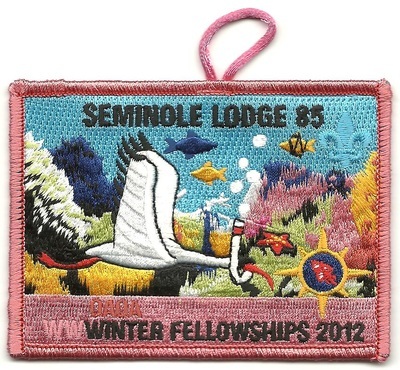 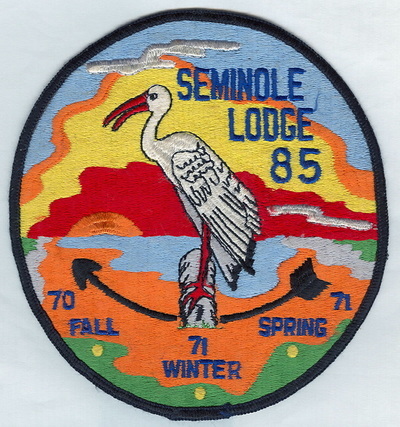 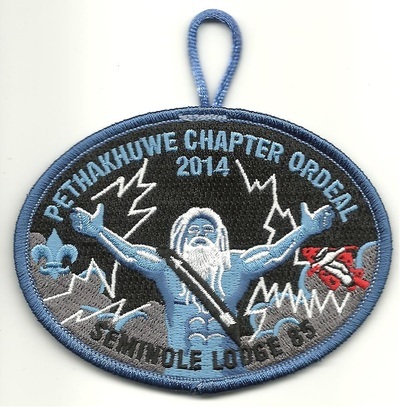 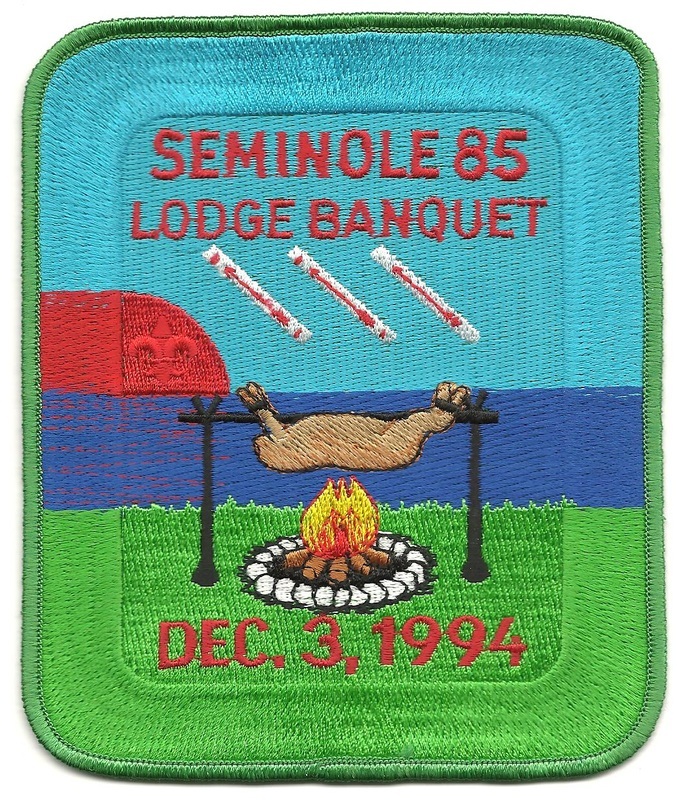 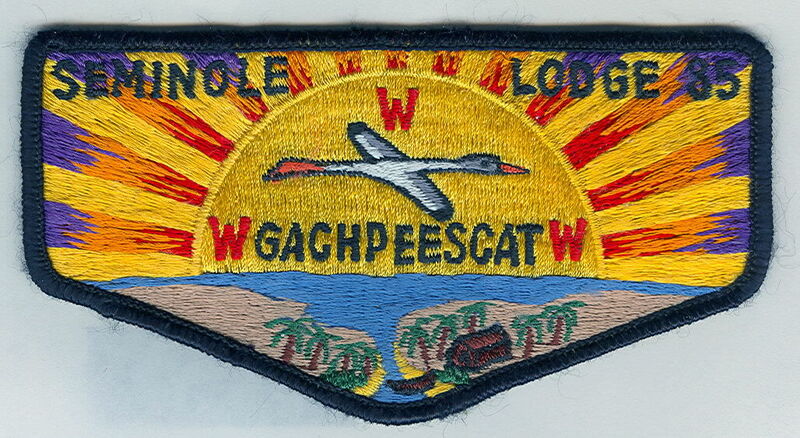 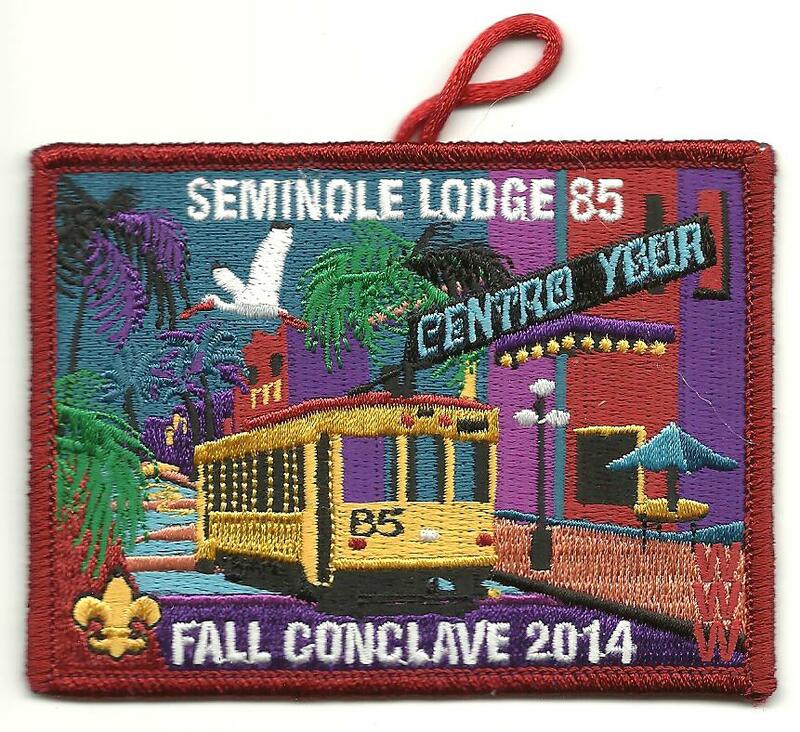 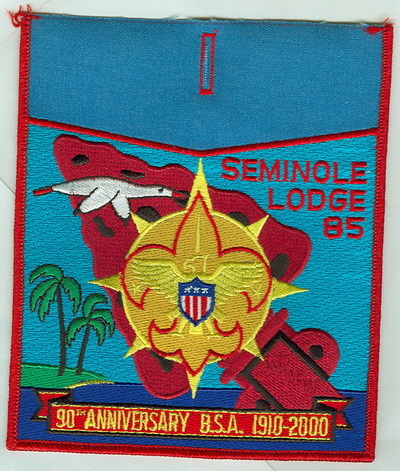 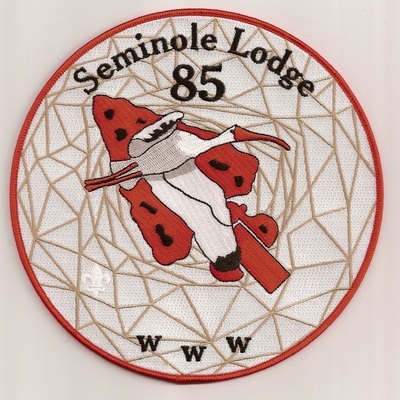 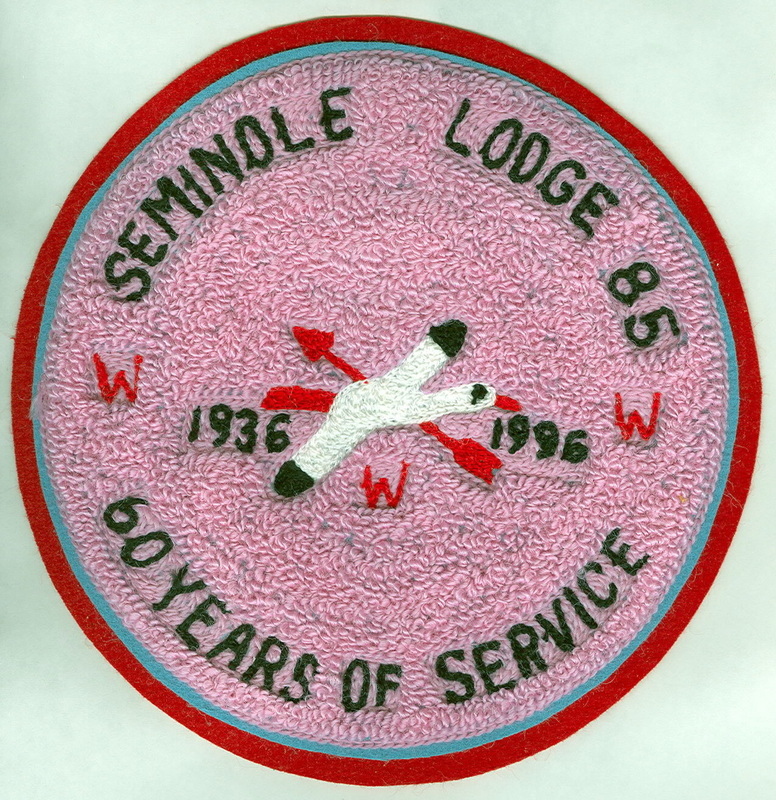 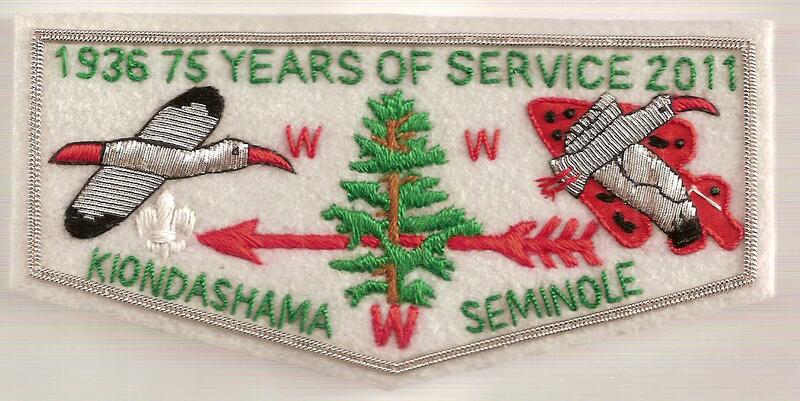 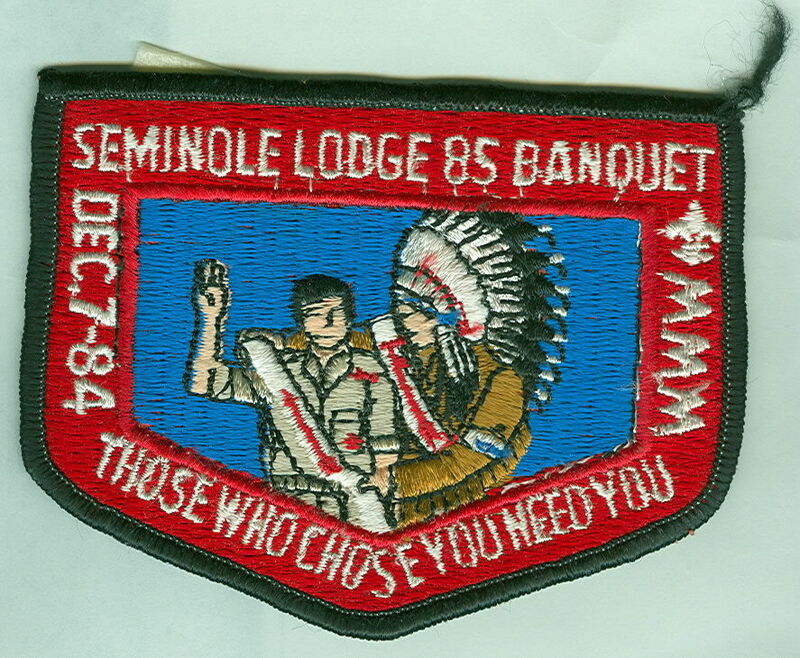 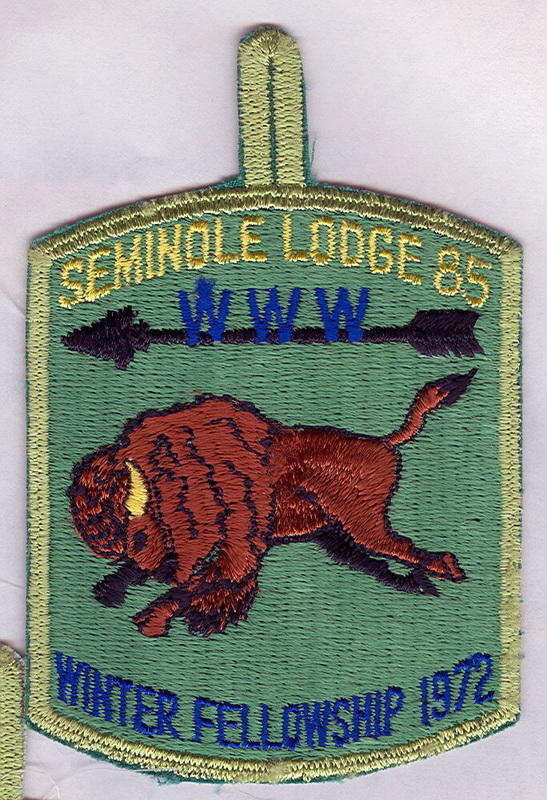 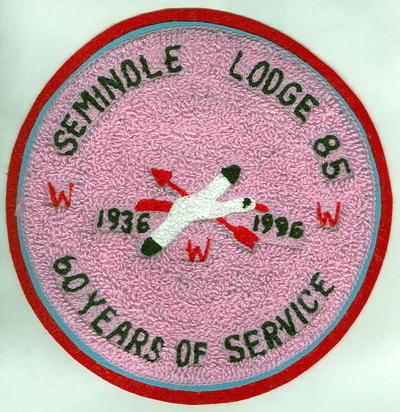 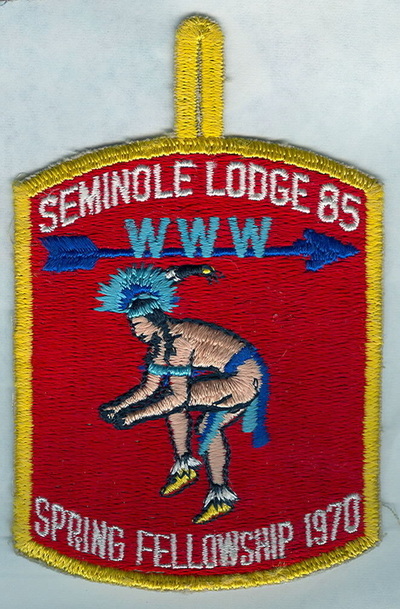 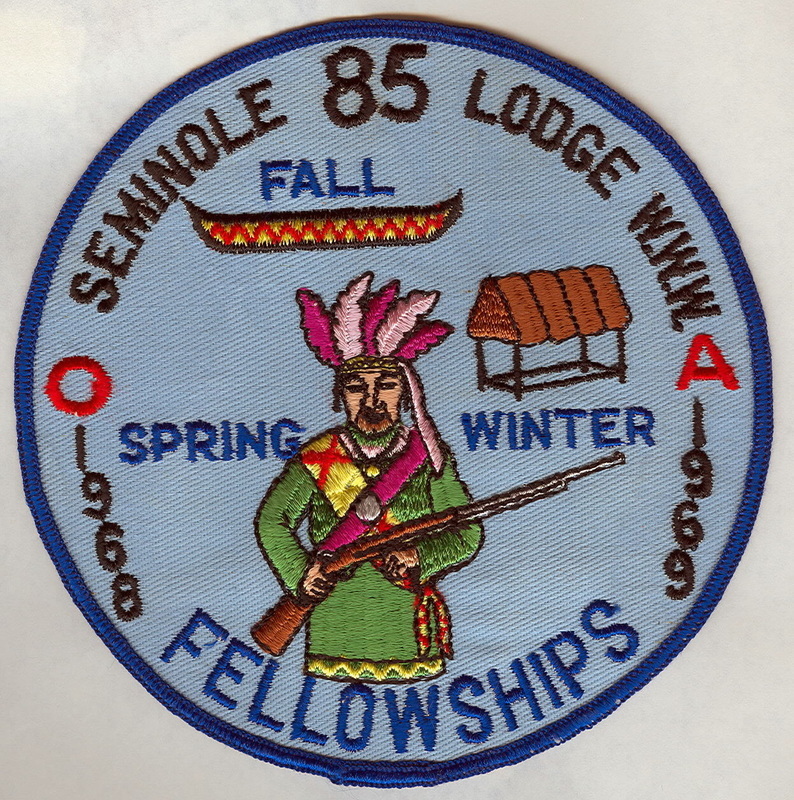 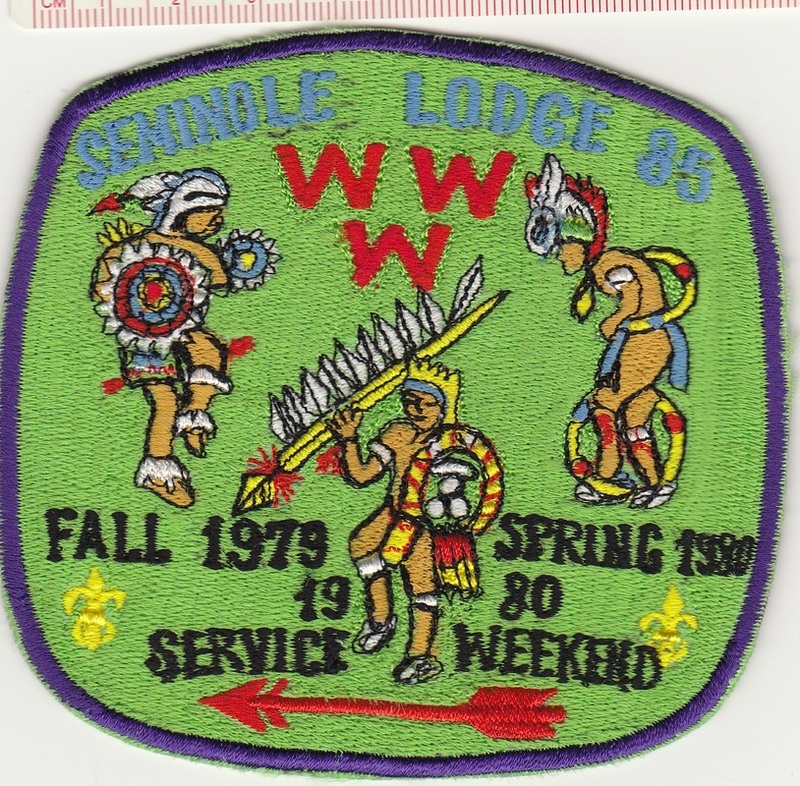 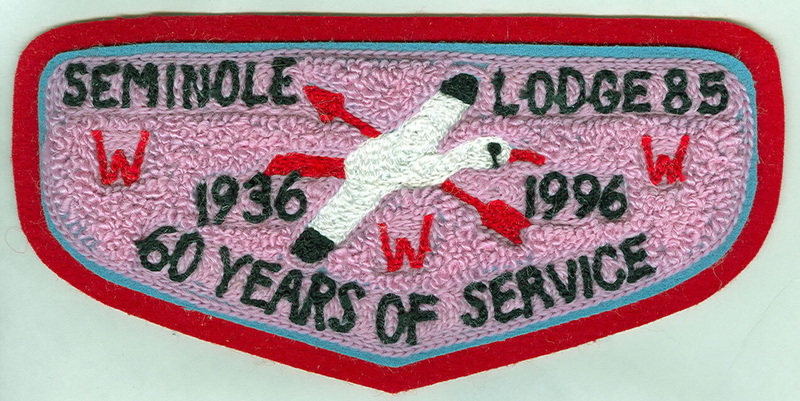 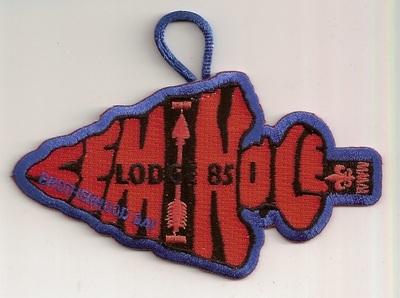 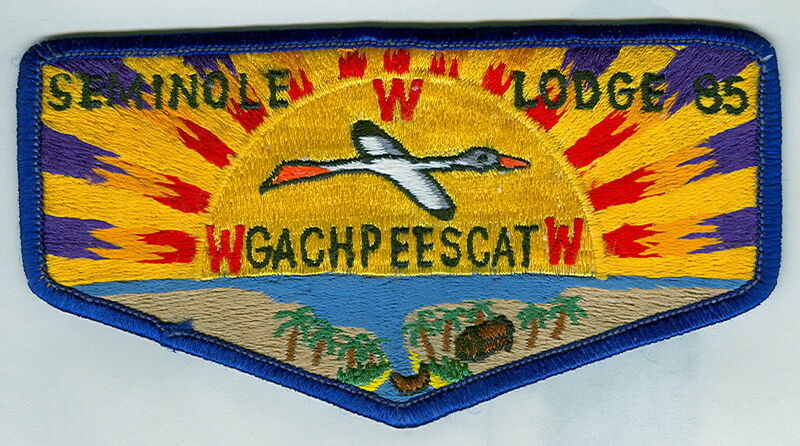 > Founded 1936 as Kiondashama Lodge. Changed to present name sometime before 9/1/1938. 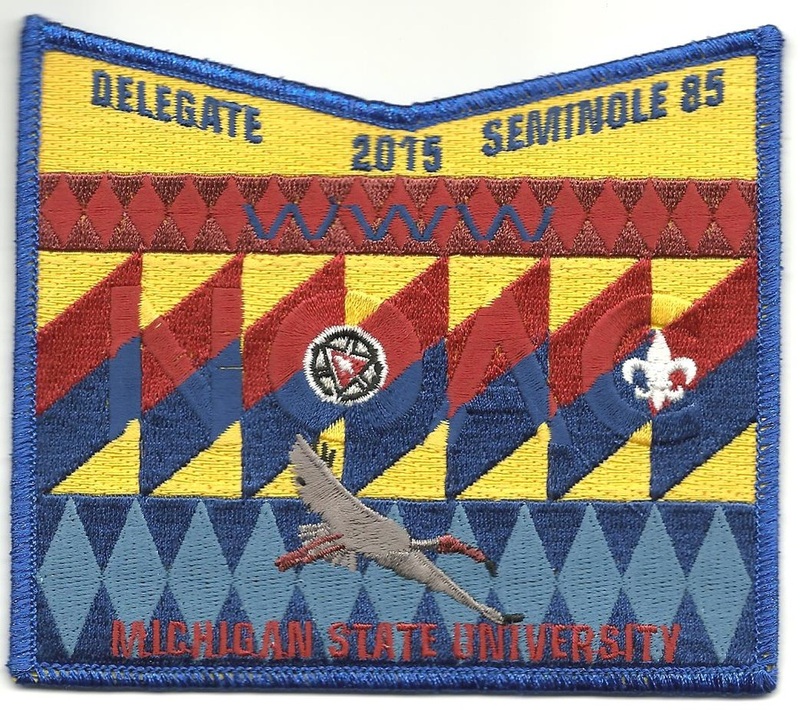 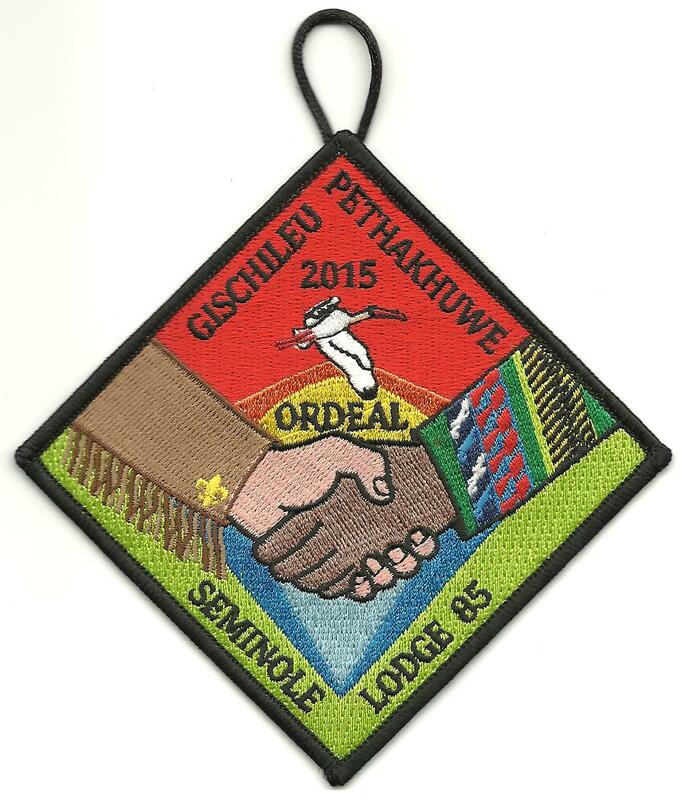 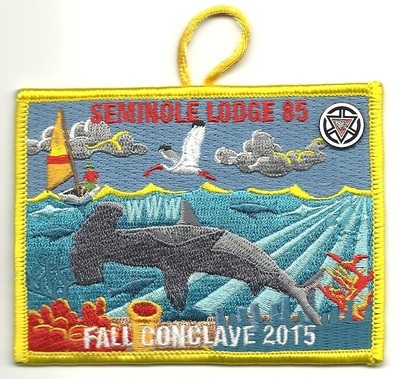 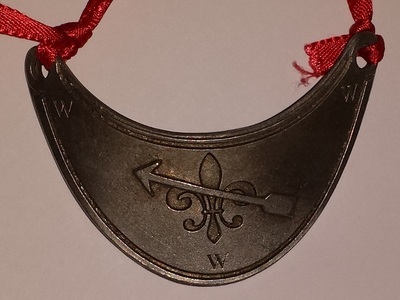 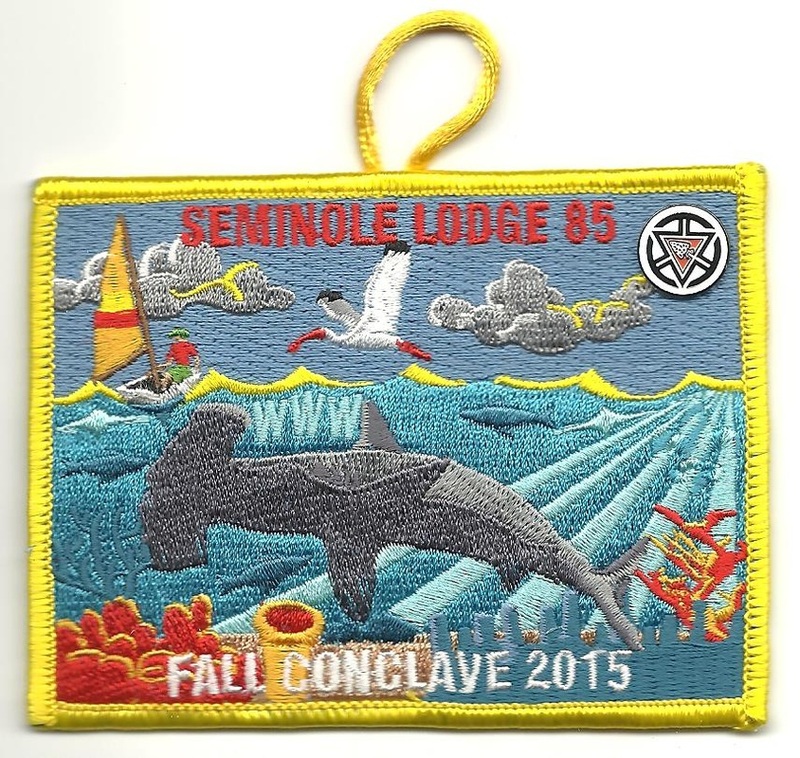 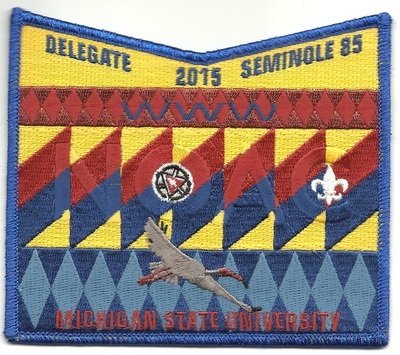 ​> Merged August 12, 2016 with Timuquan Lodge 340 to form ​Uh-To-Yeh-Hut-Tee Lodge 89. 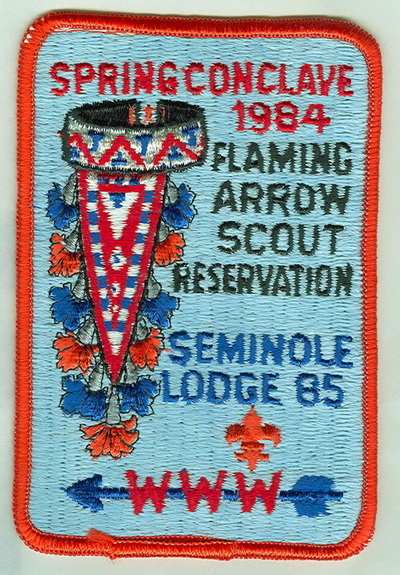 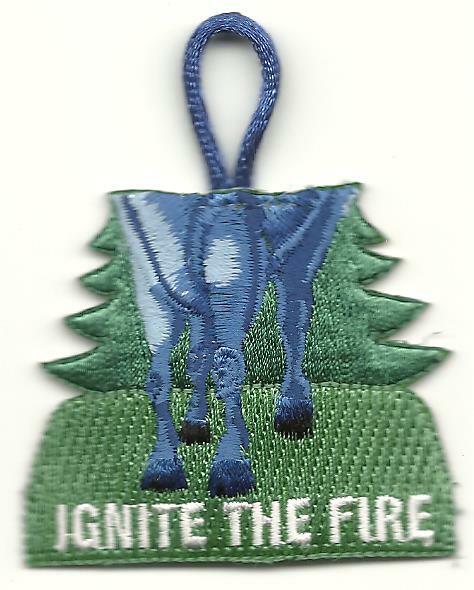 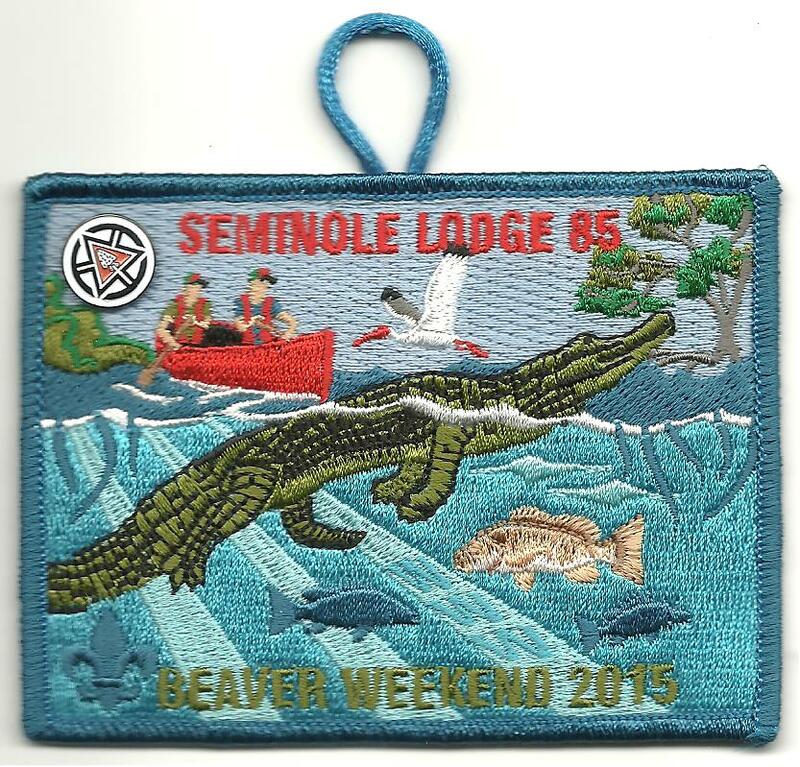 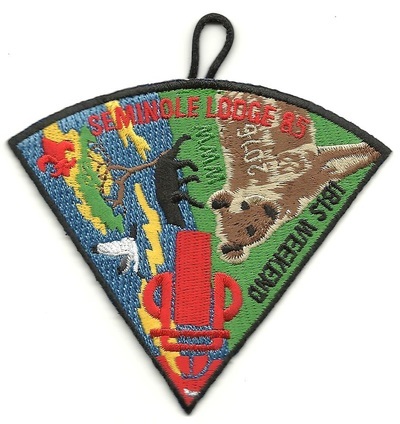 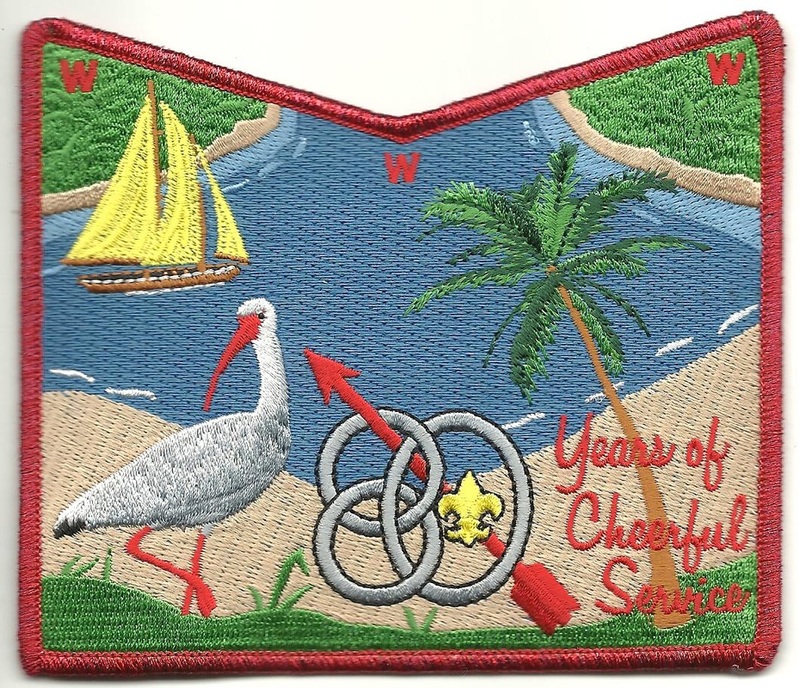 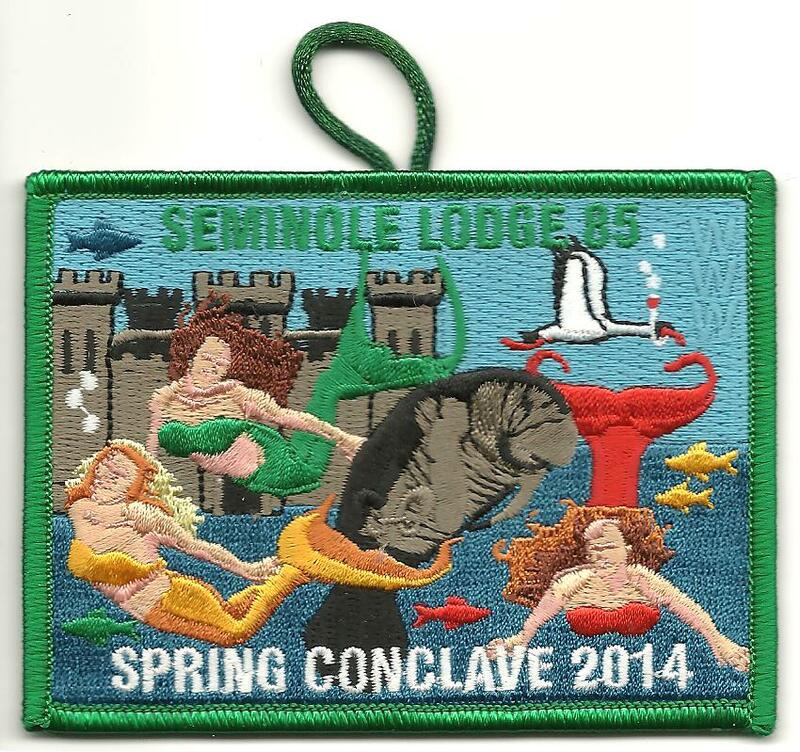 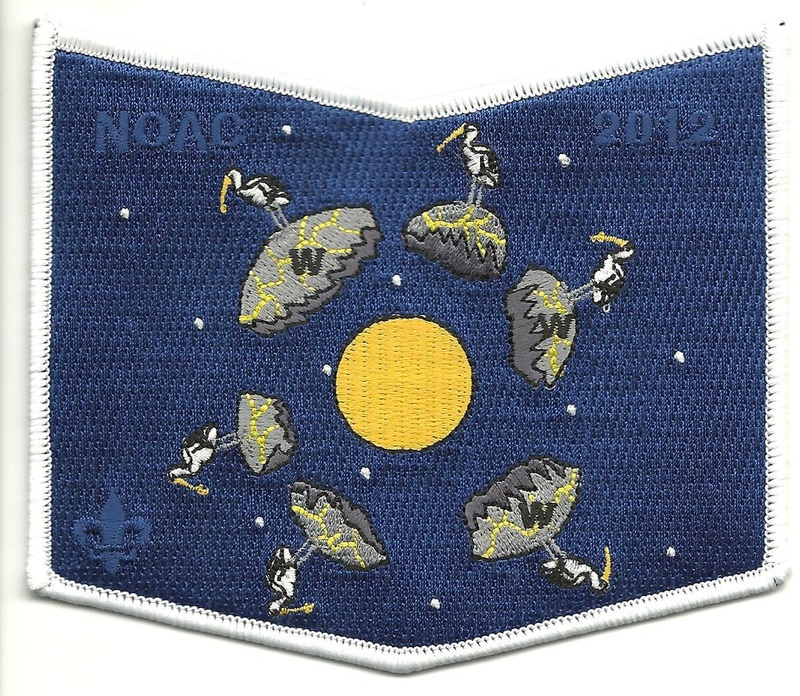 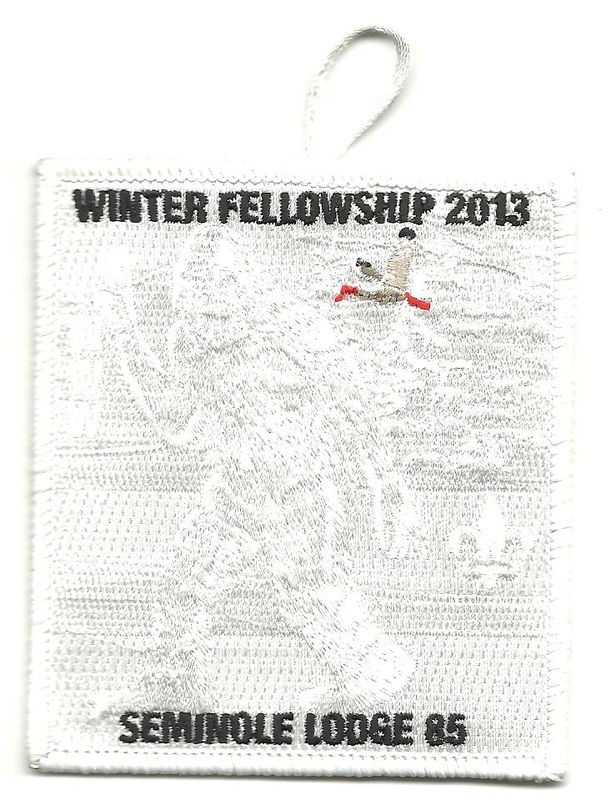 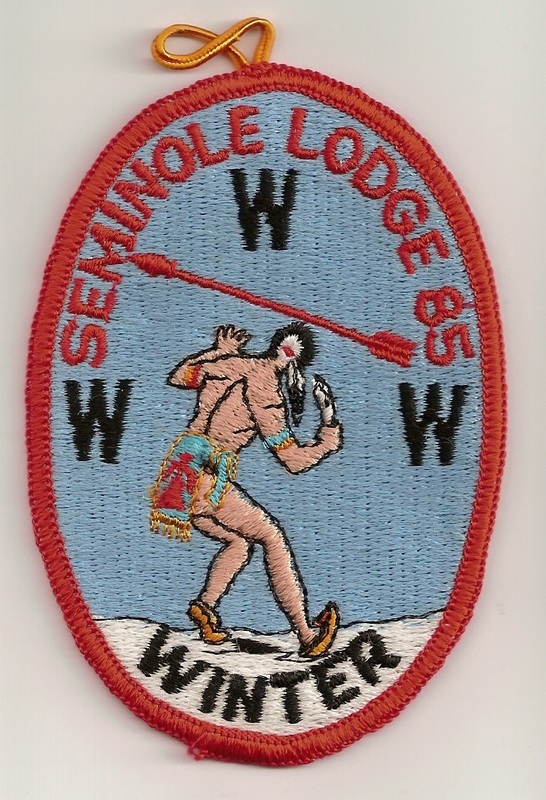 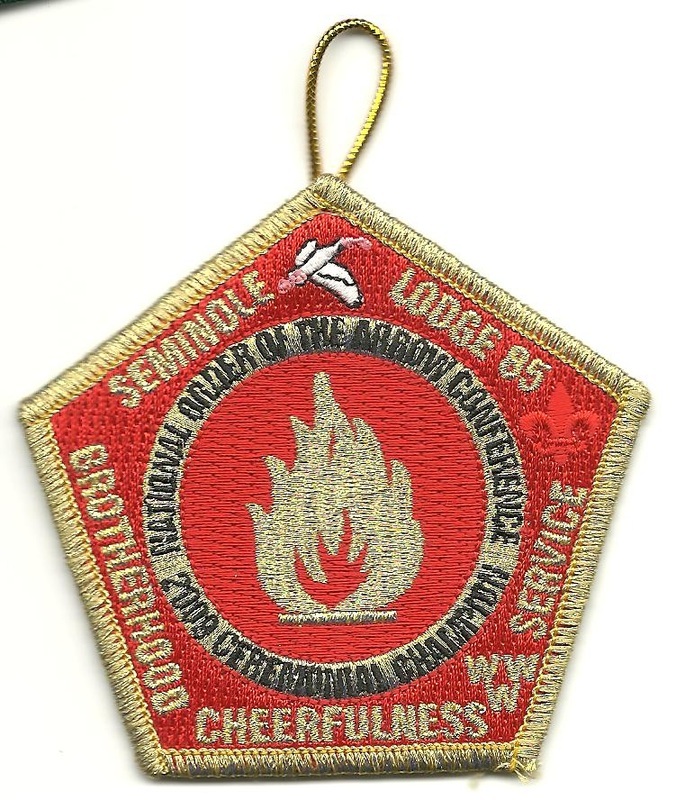 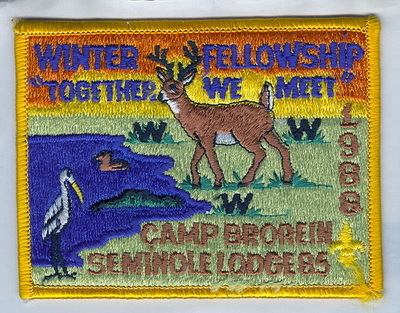 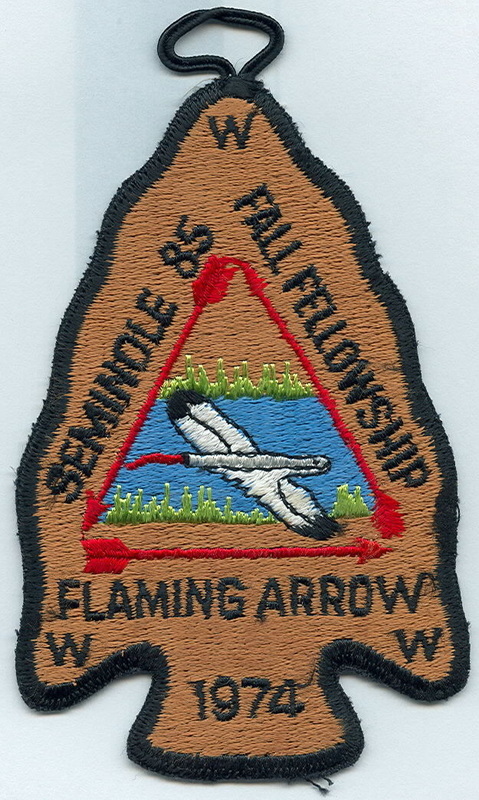 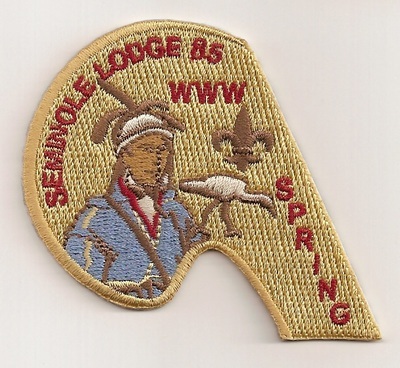 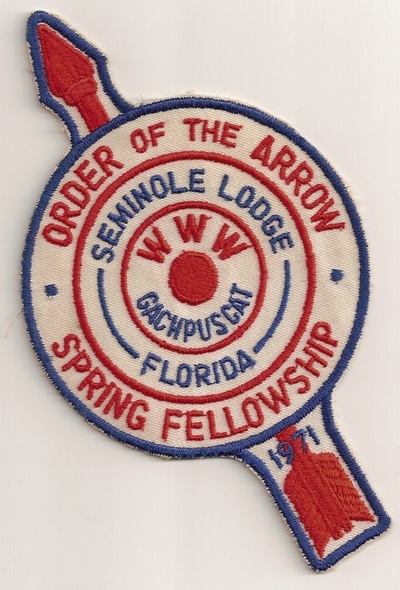 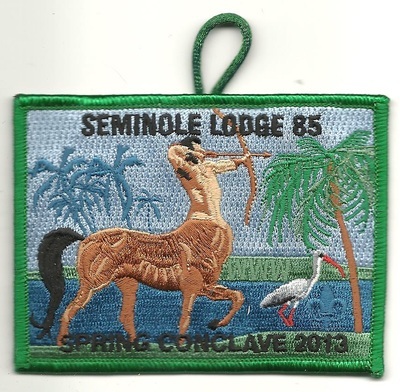 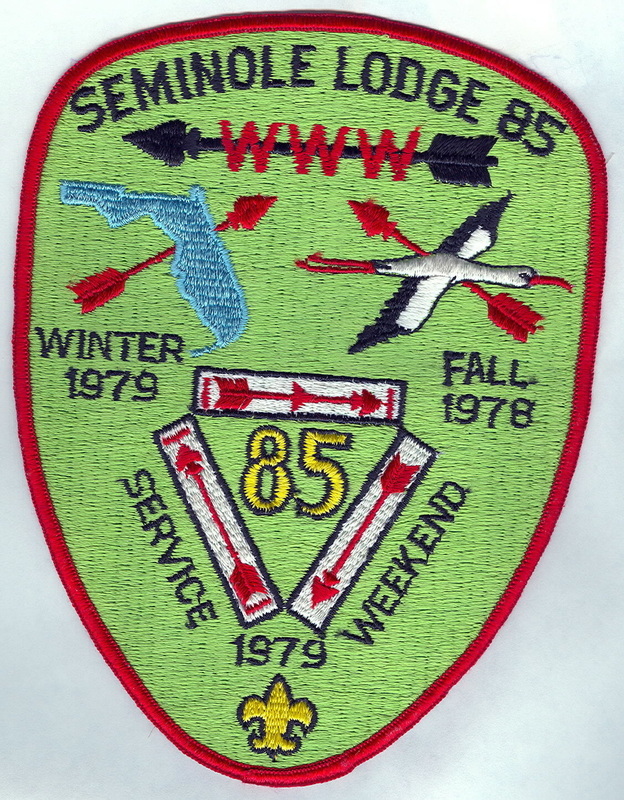 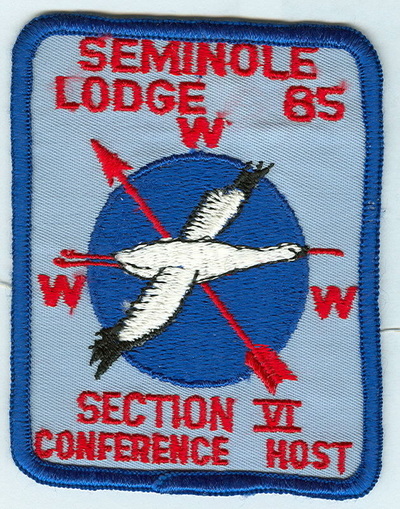 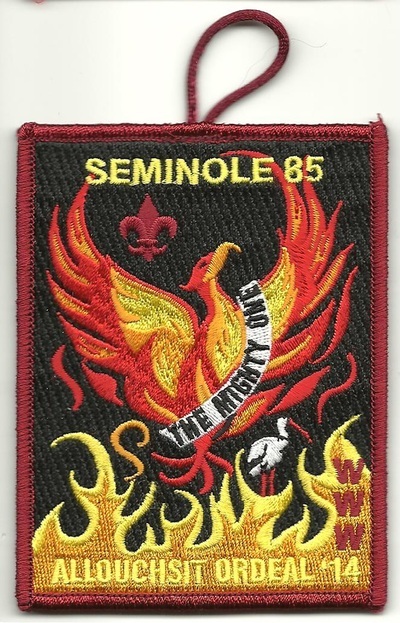 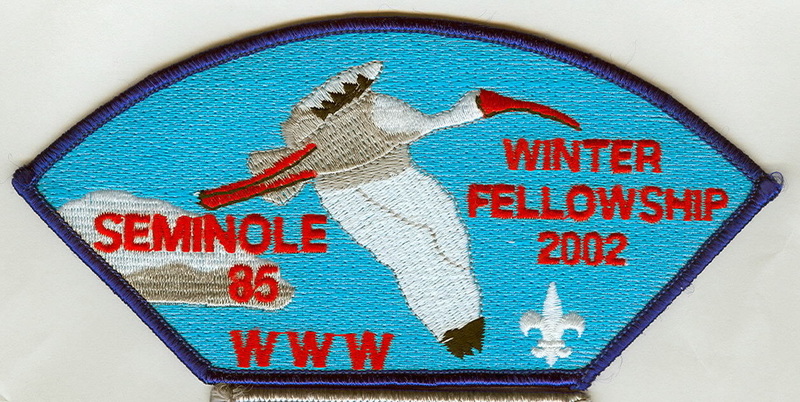 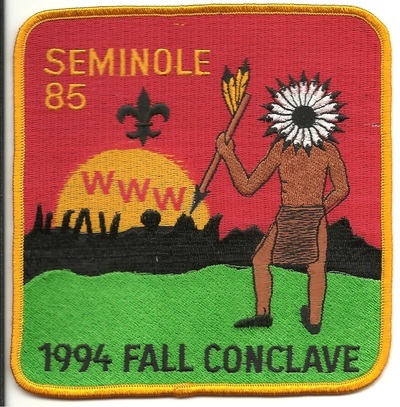 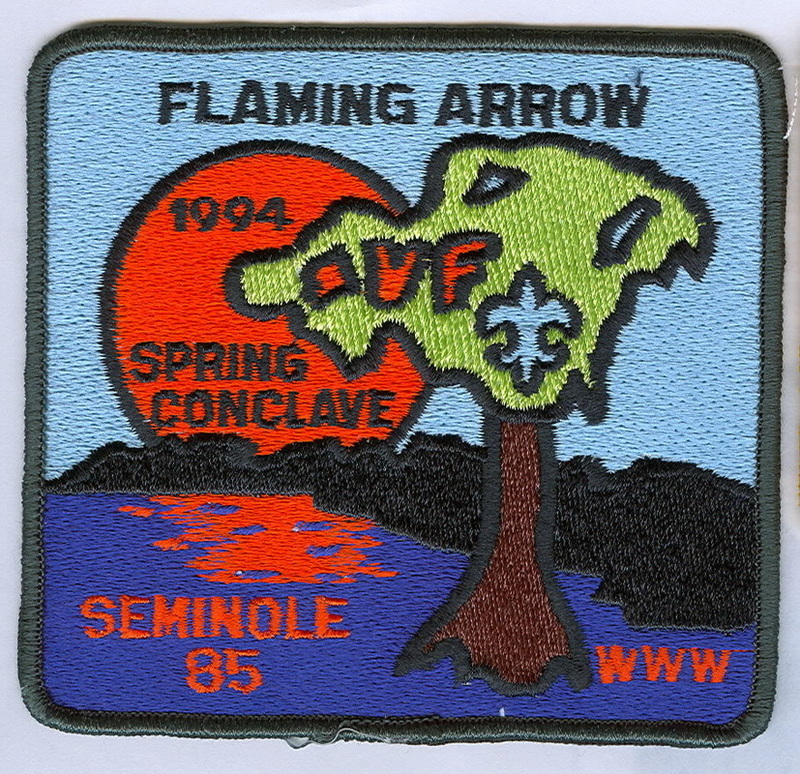 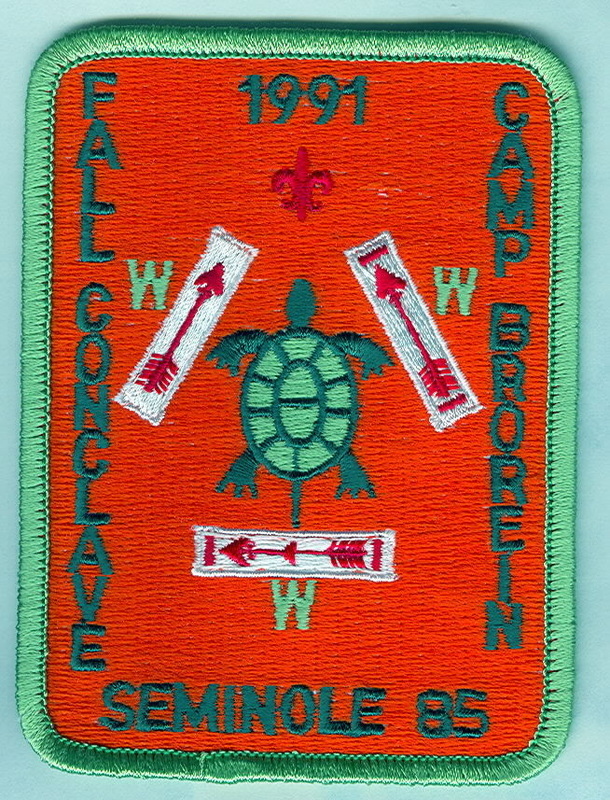 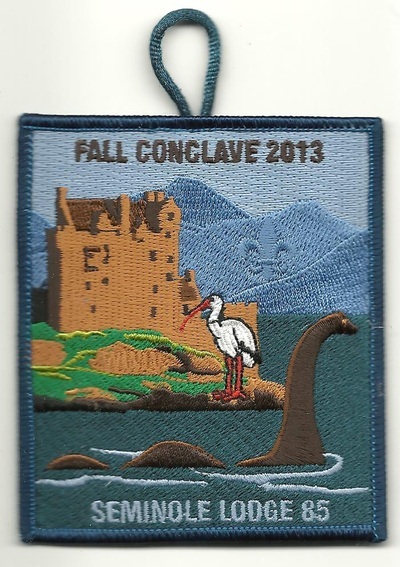 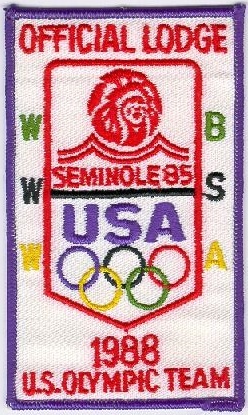 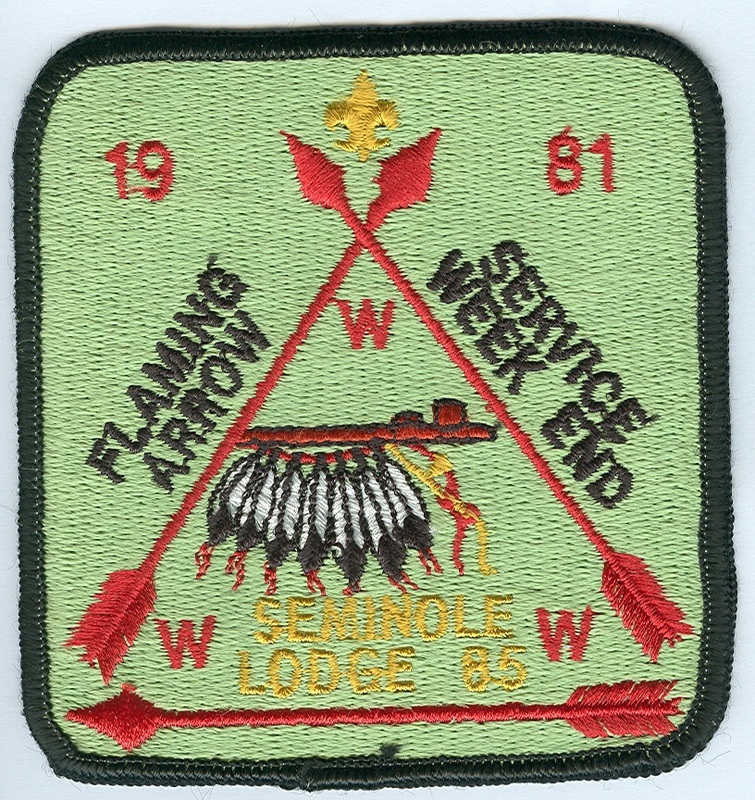 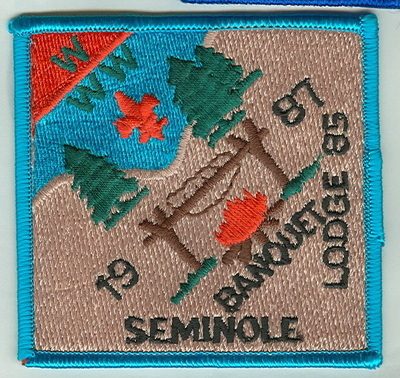 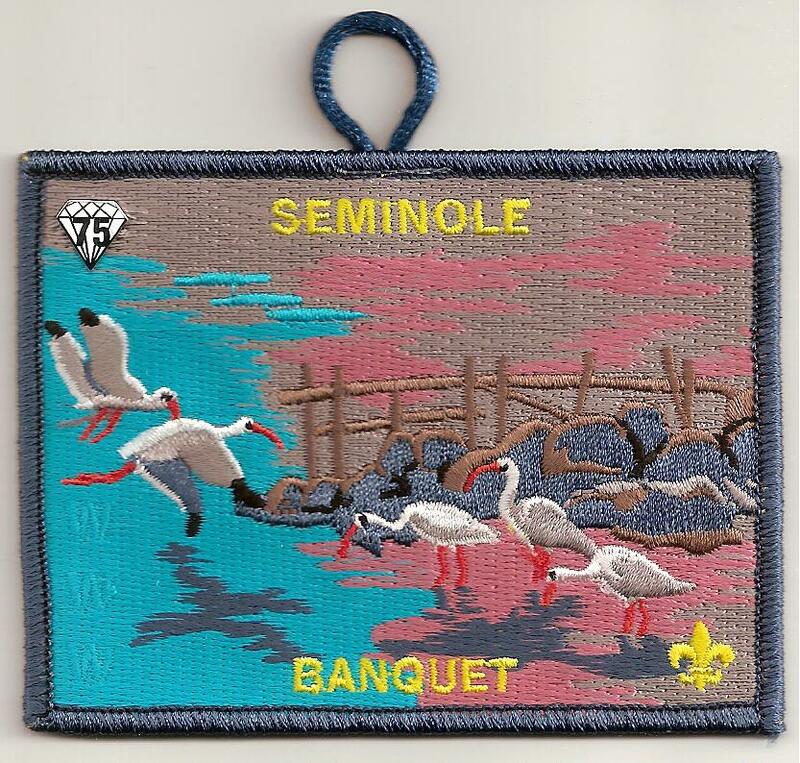 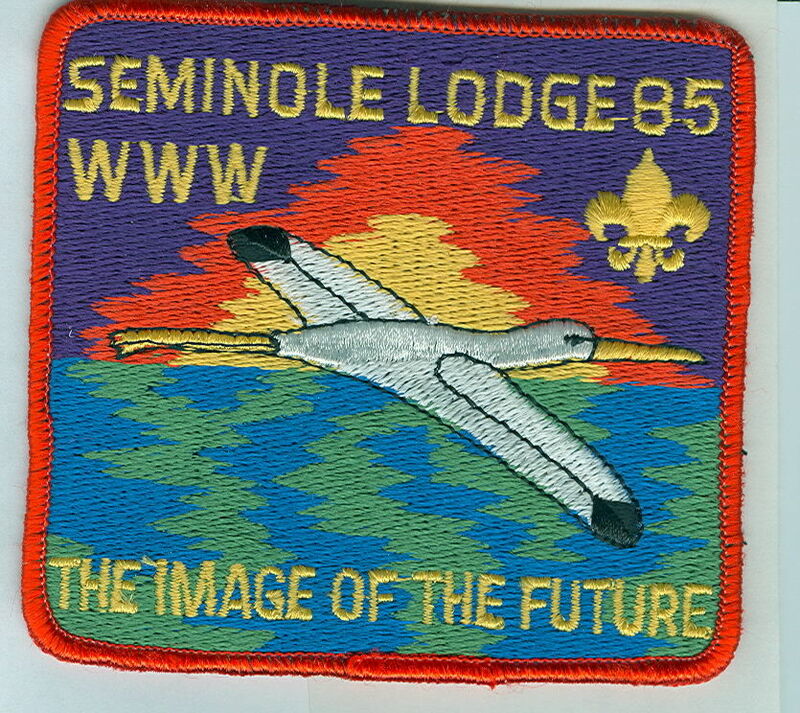 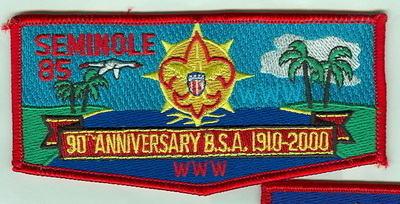 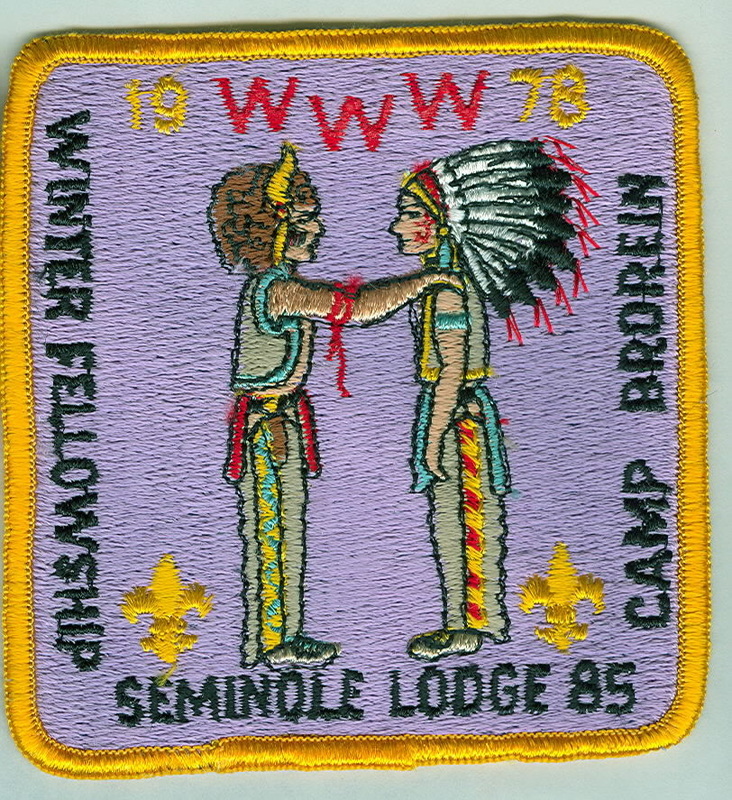 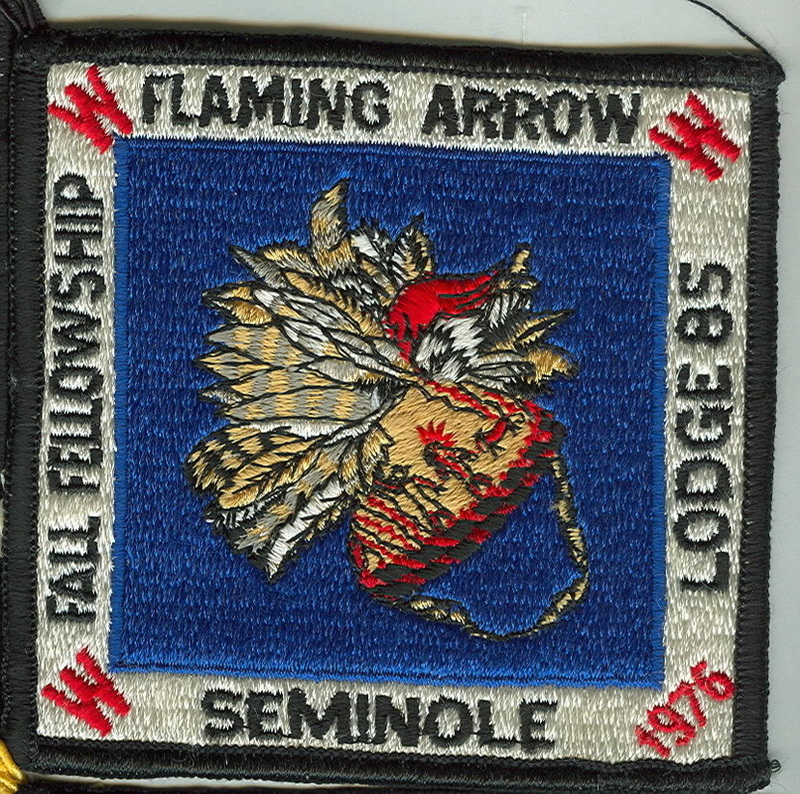 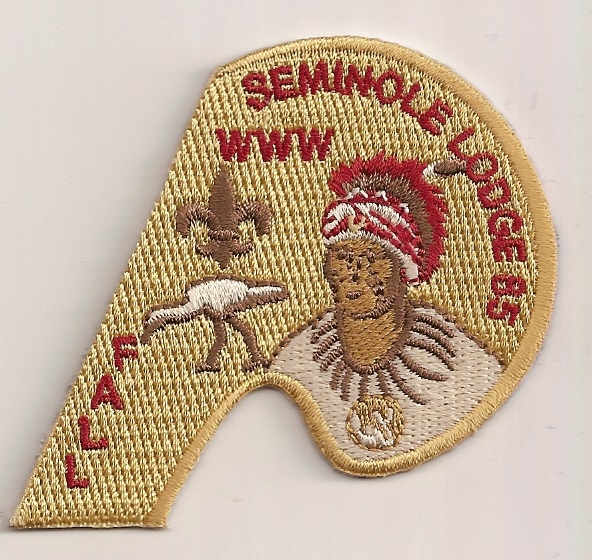 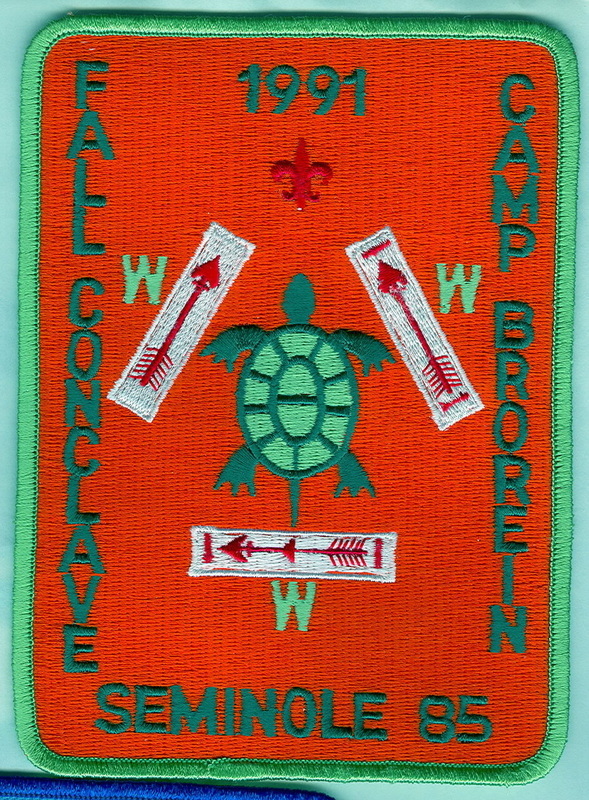 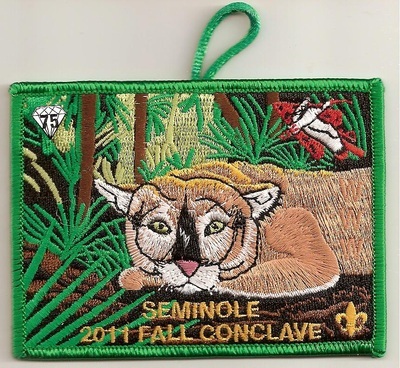 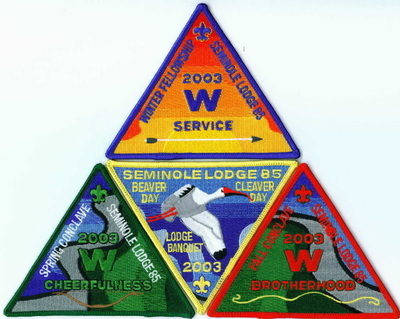 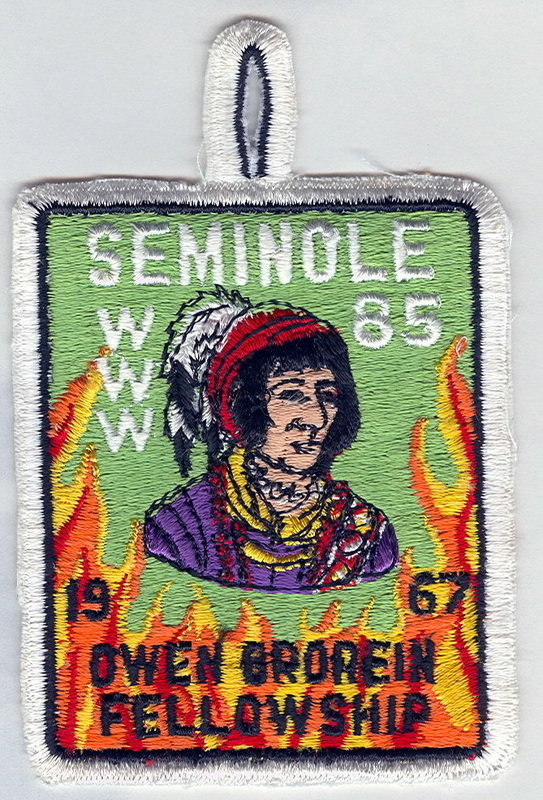 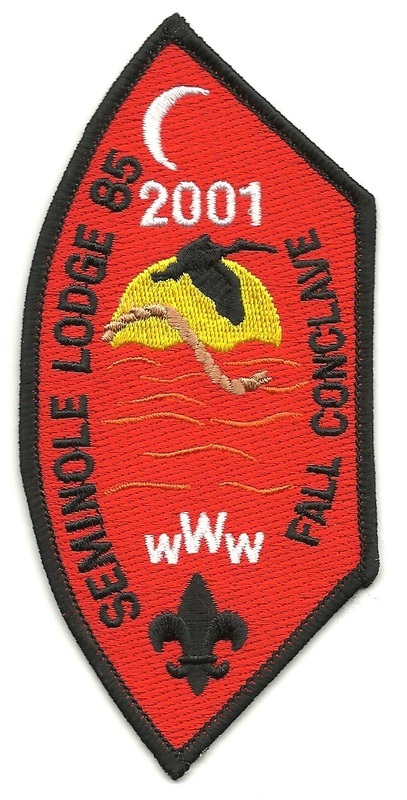 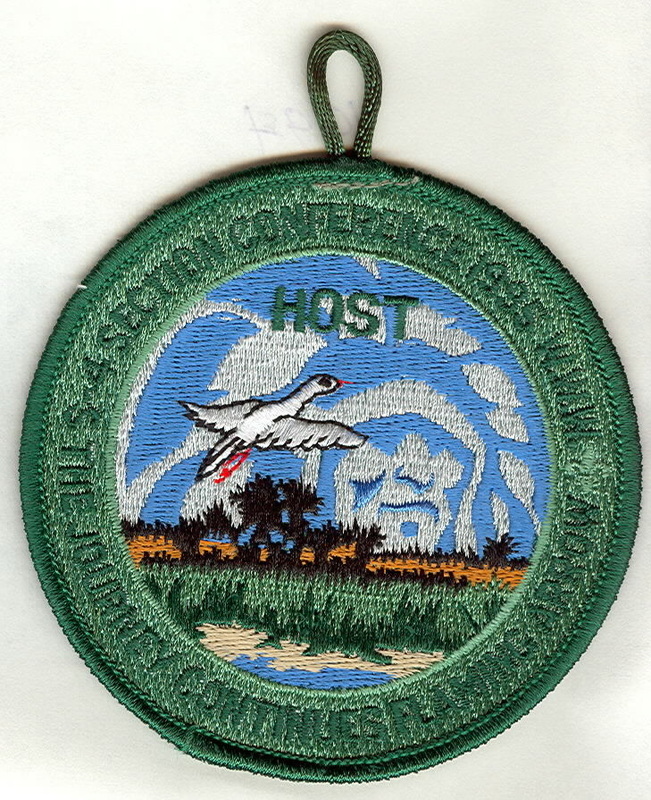 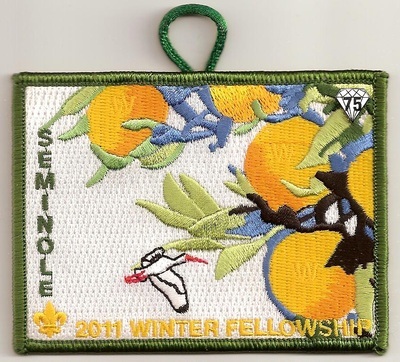 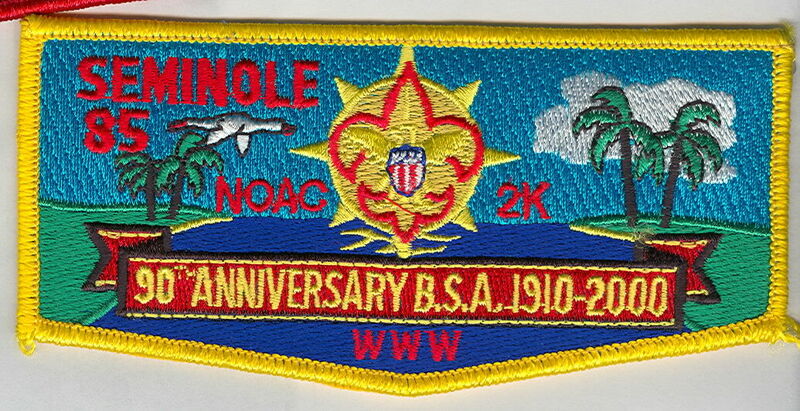 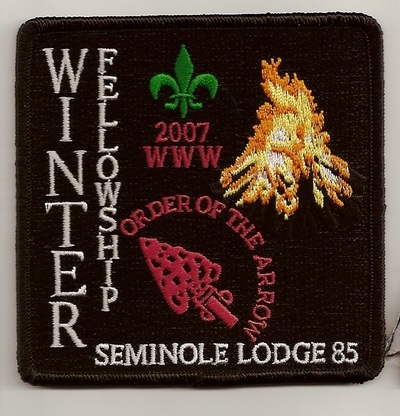 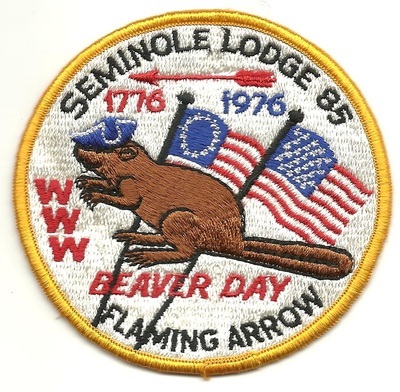 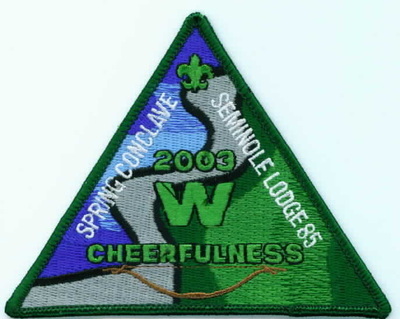 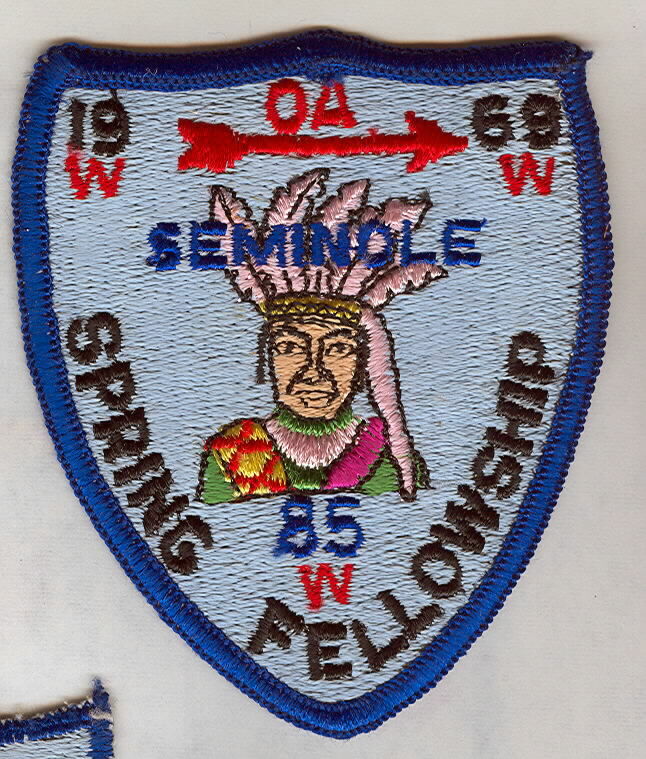 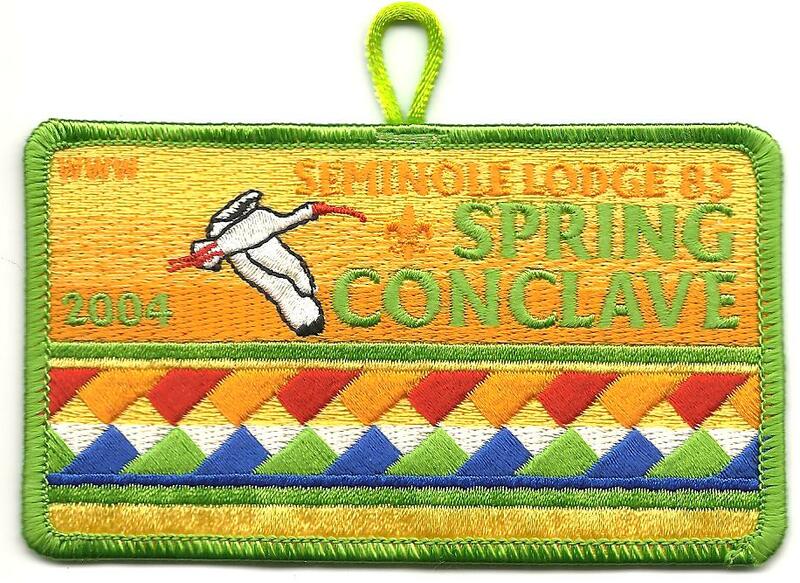 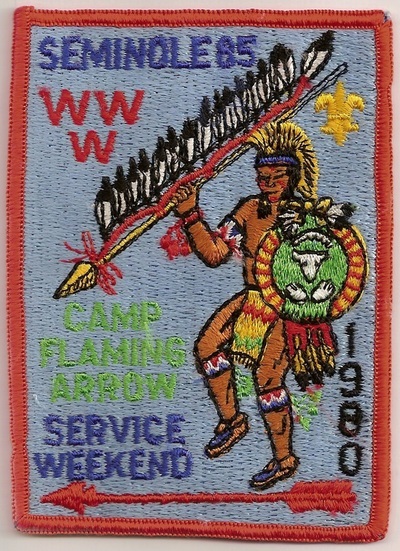 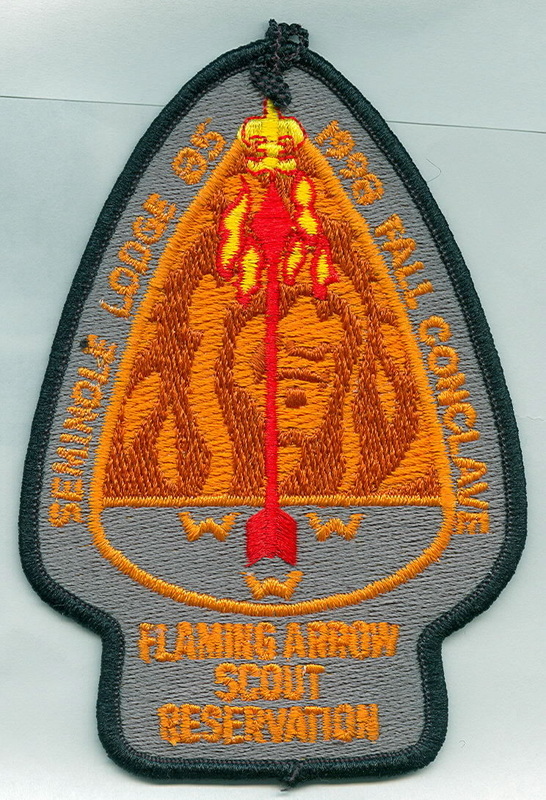 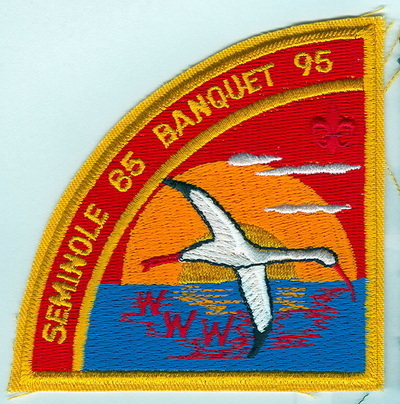 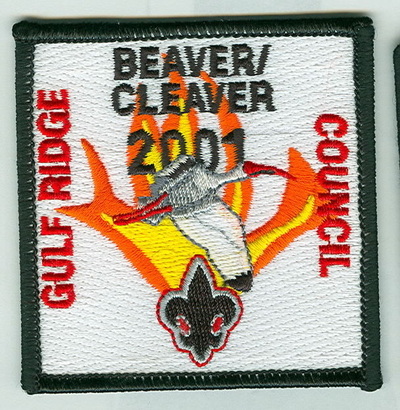 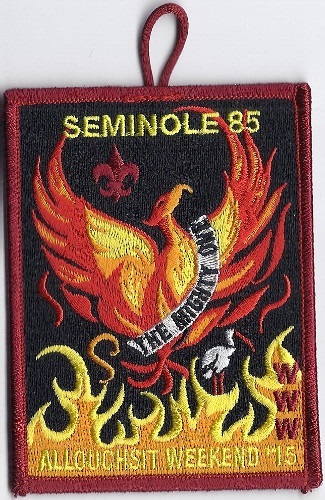 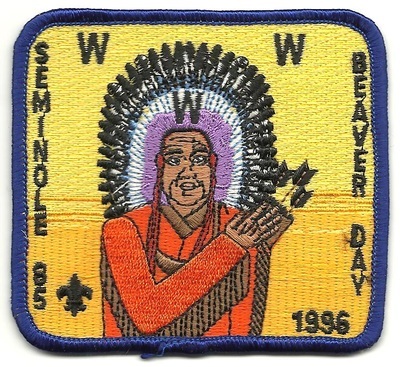 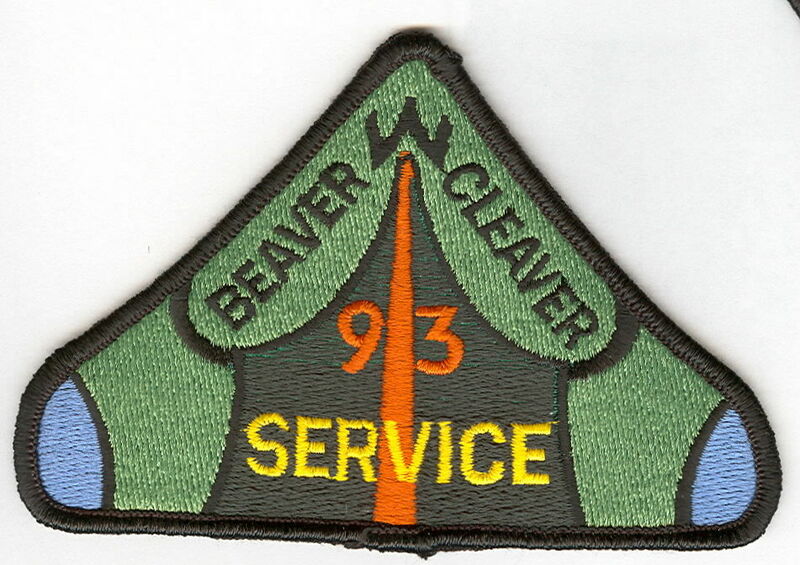 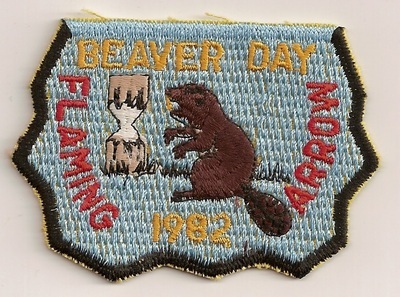 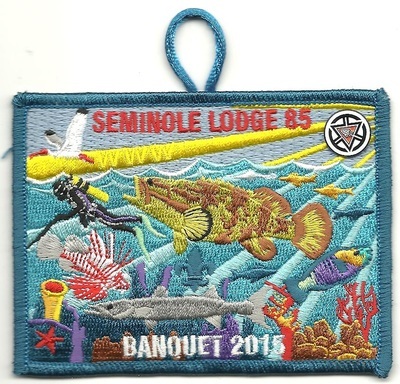 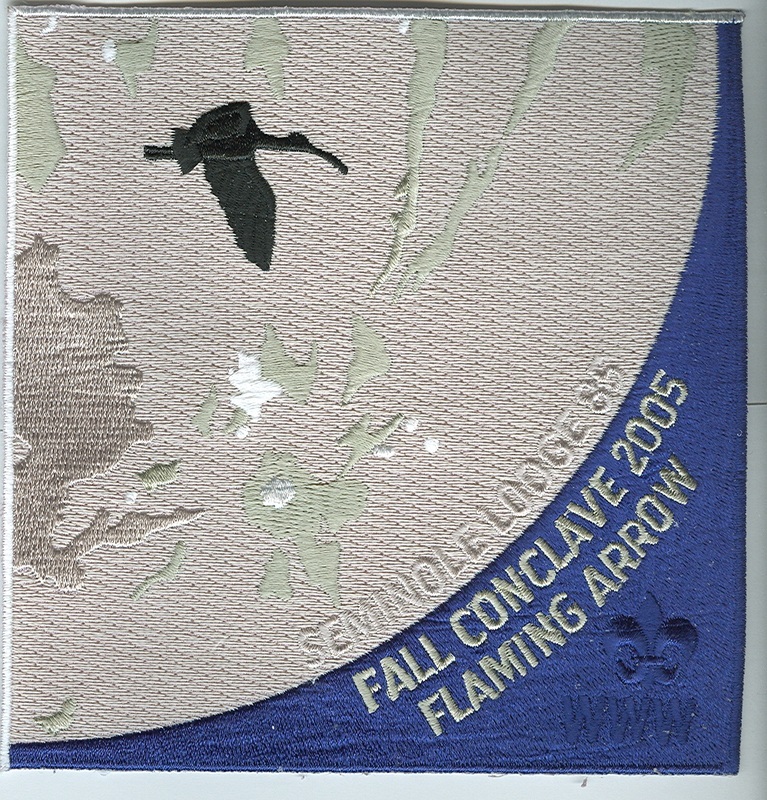 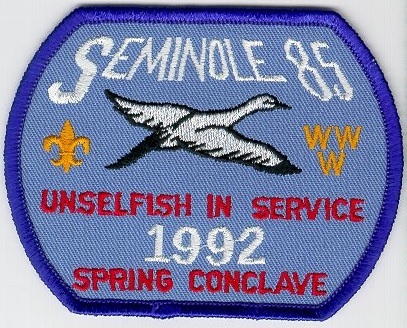 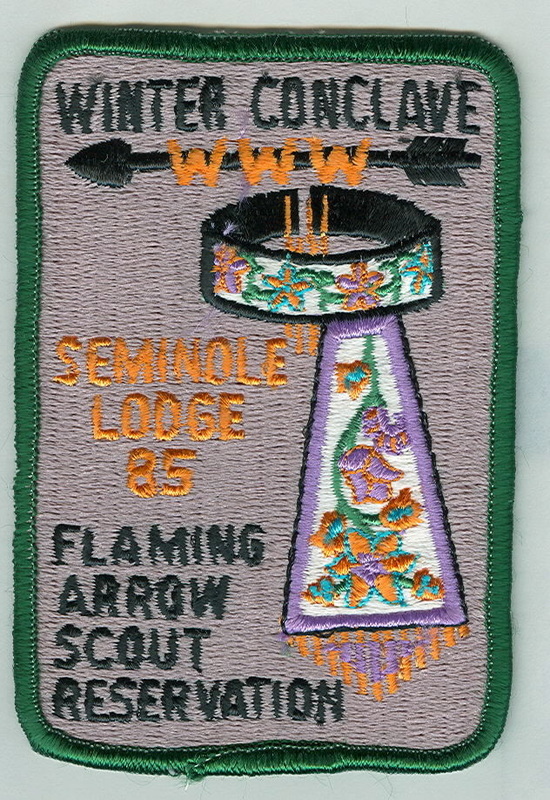 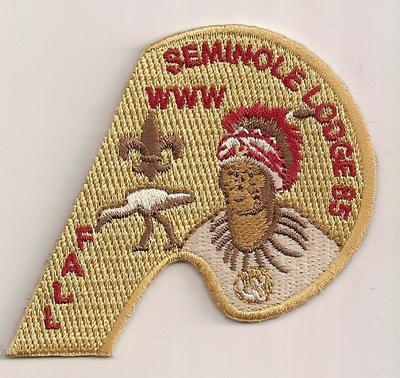 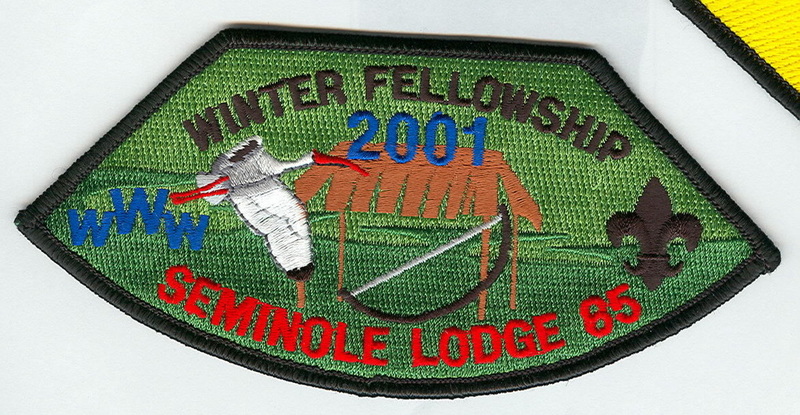 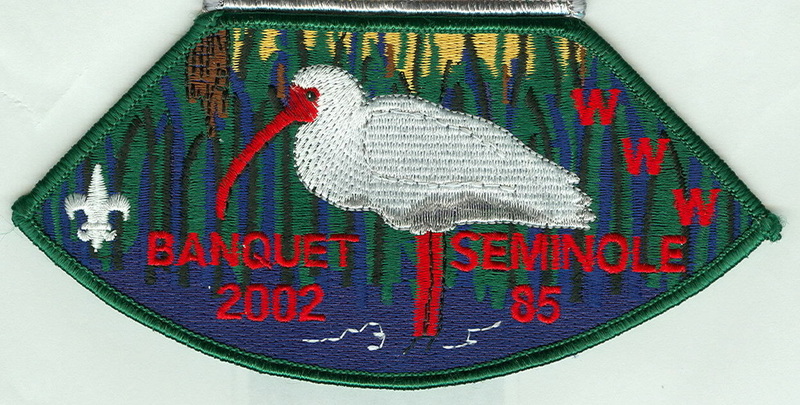 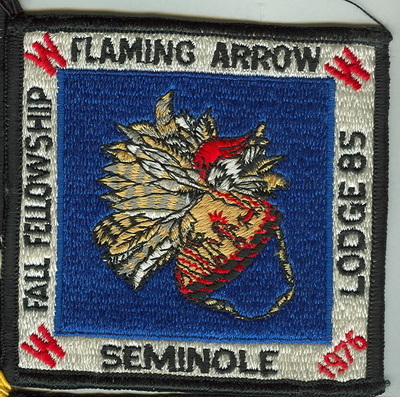 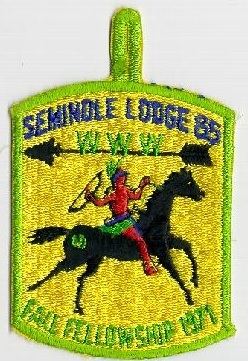 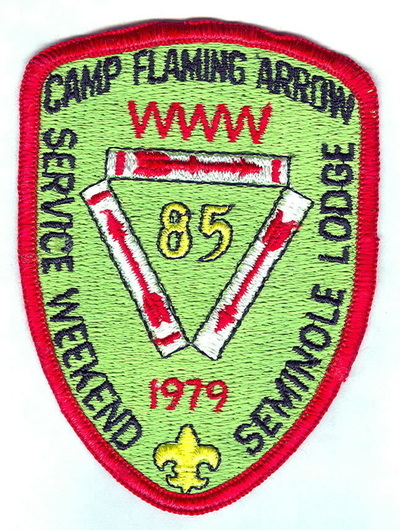 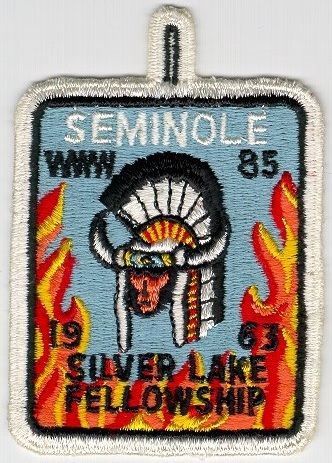 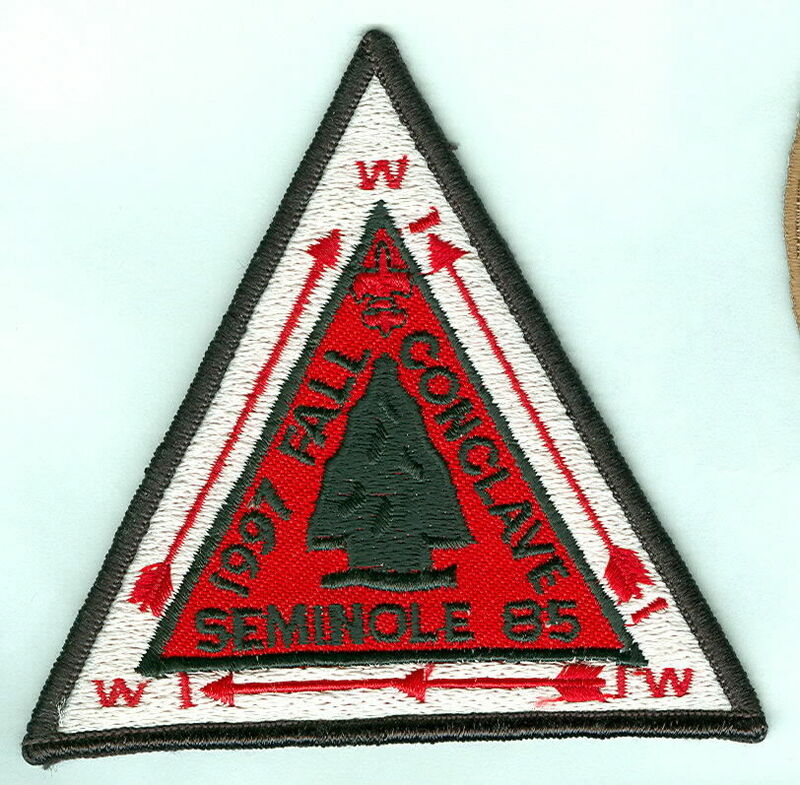 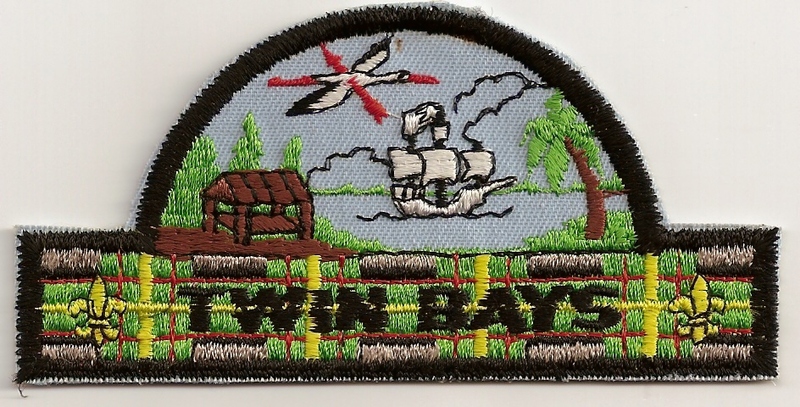 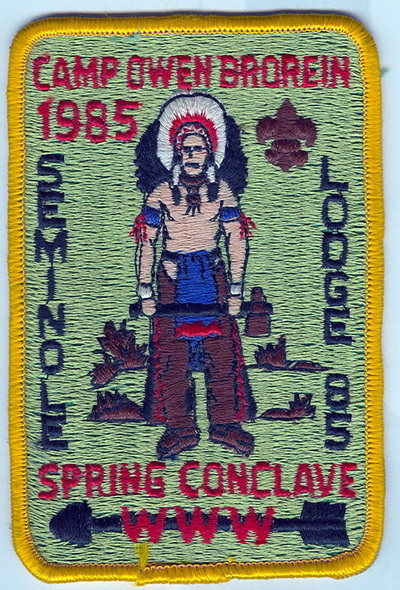 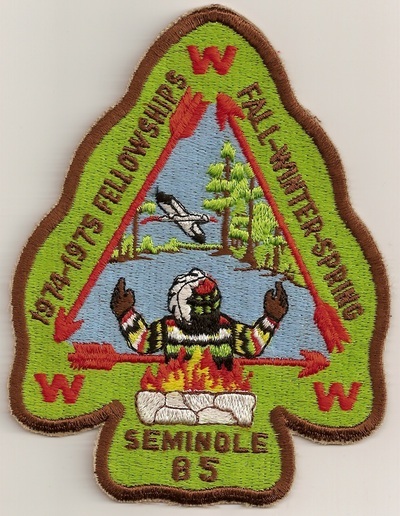 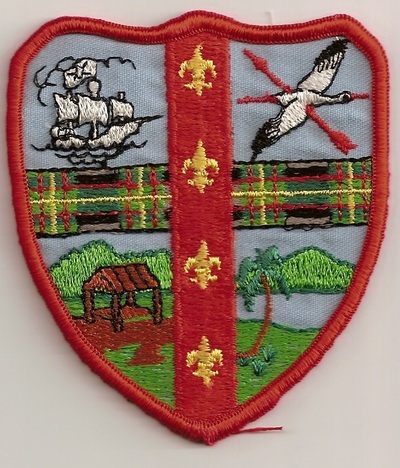 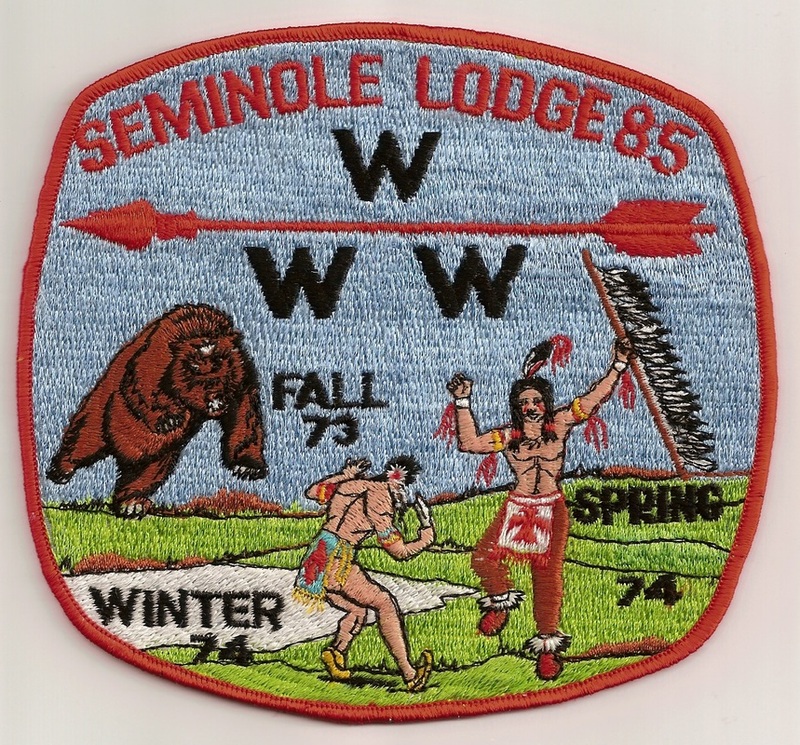 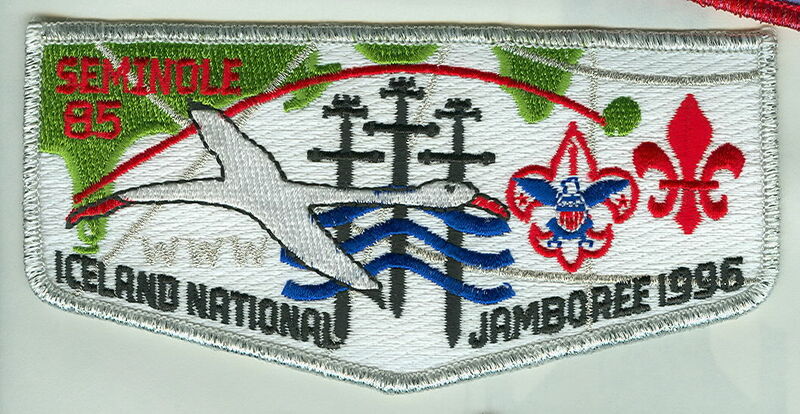 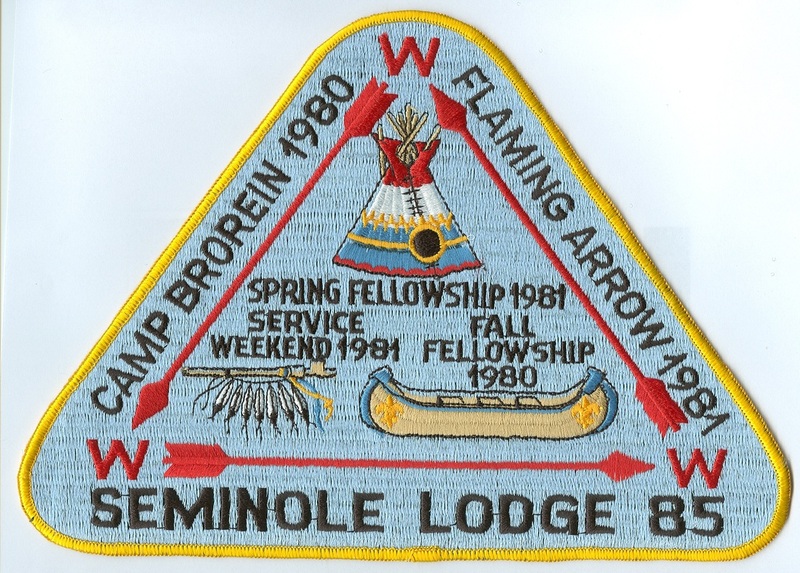 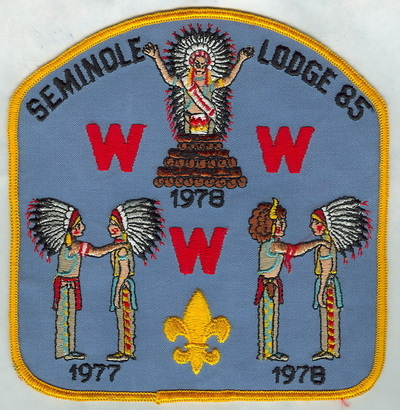 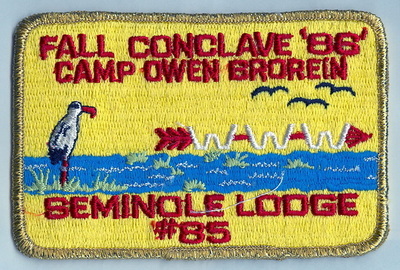 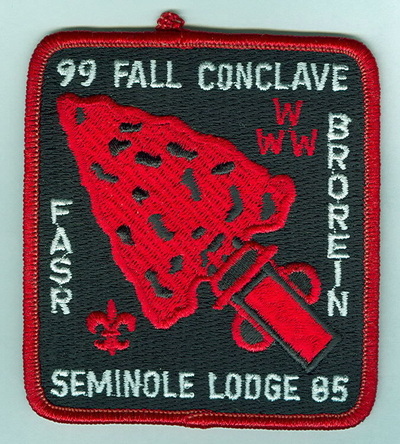 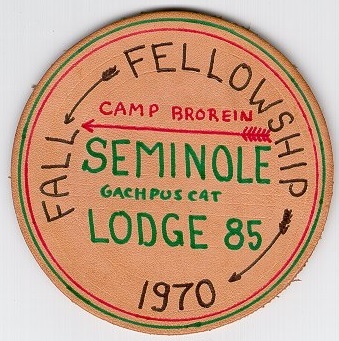 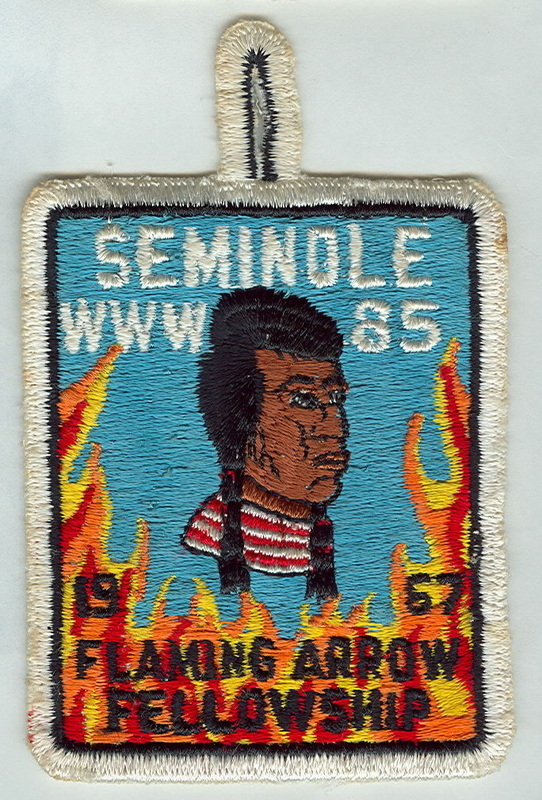 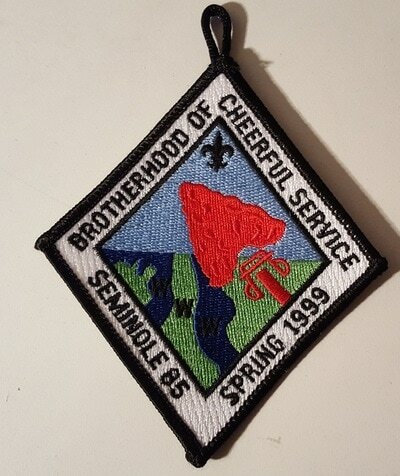 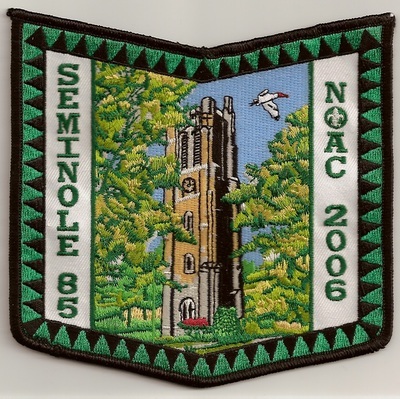 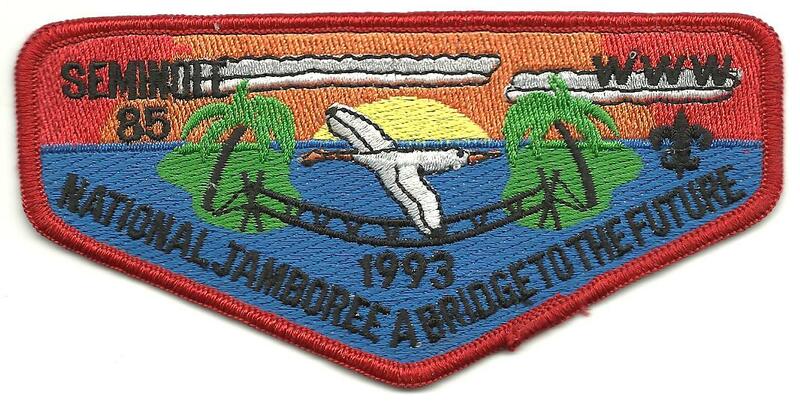 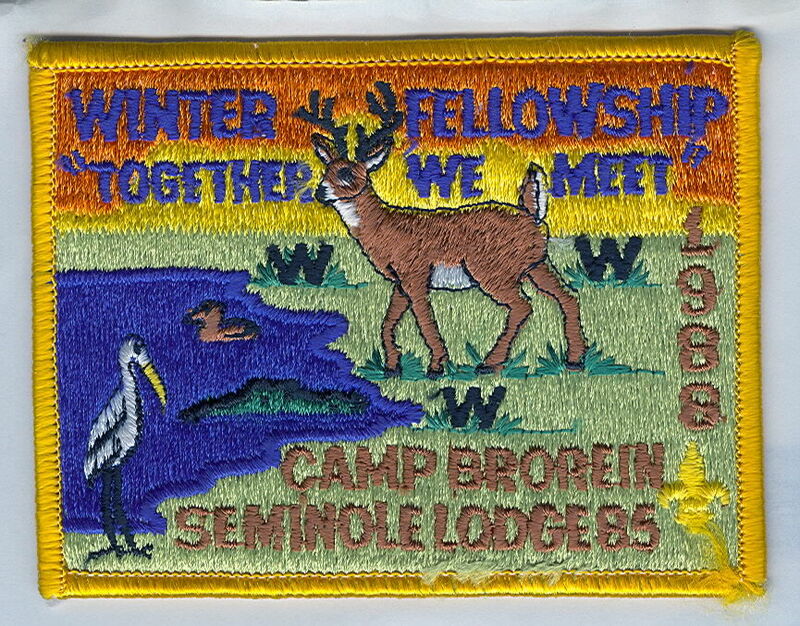 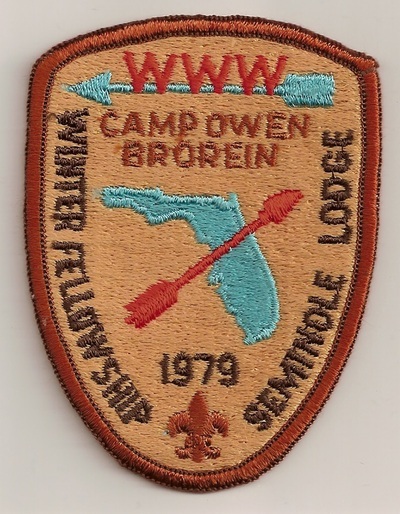 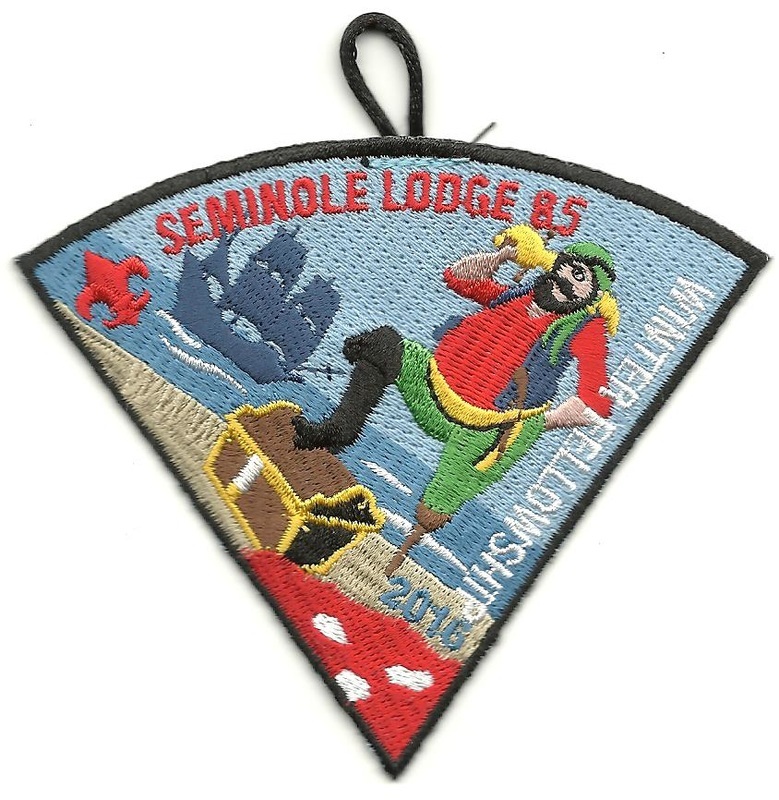 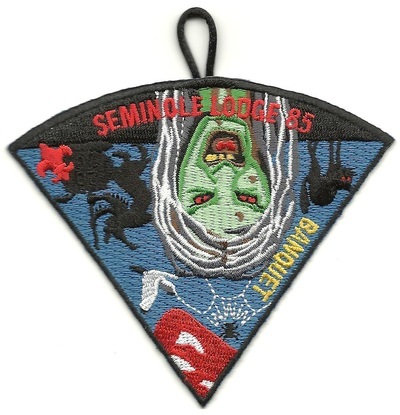 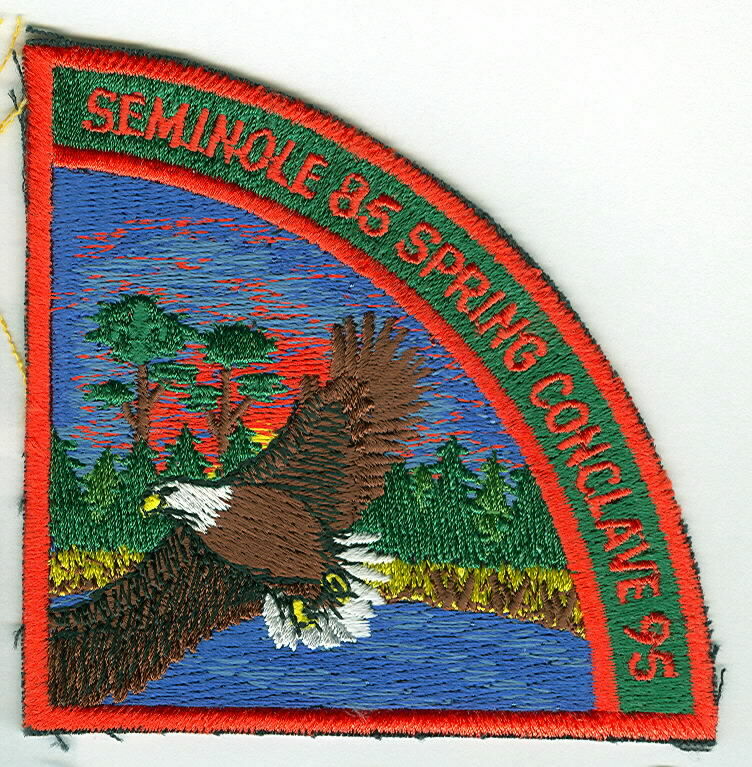 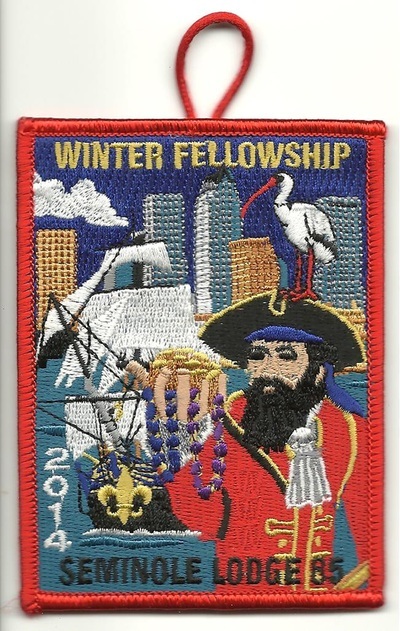 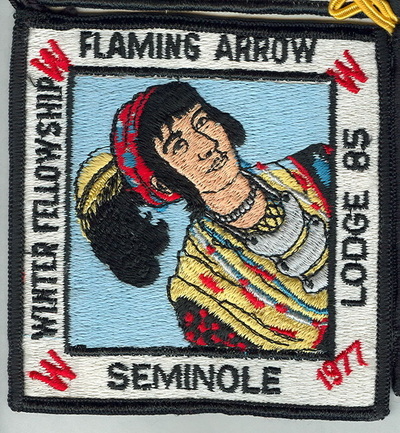 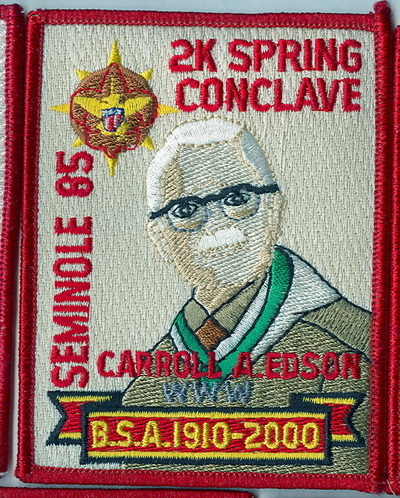 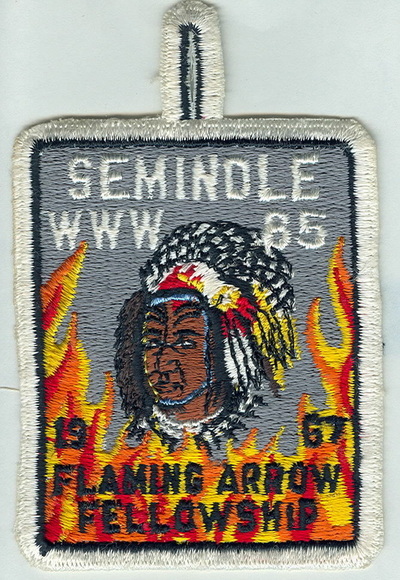 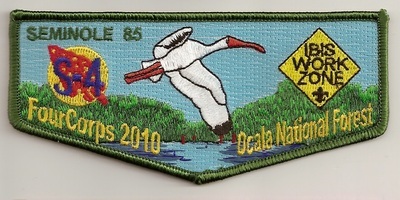 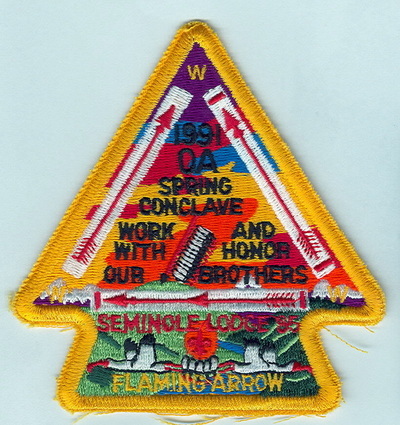 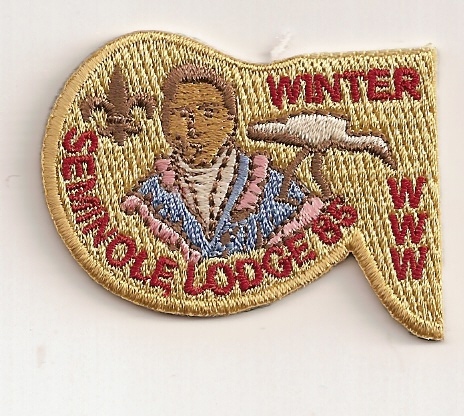 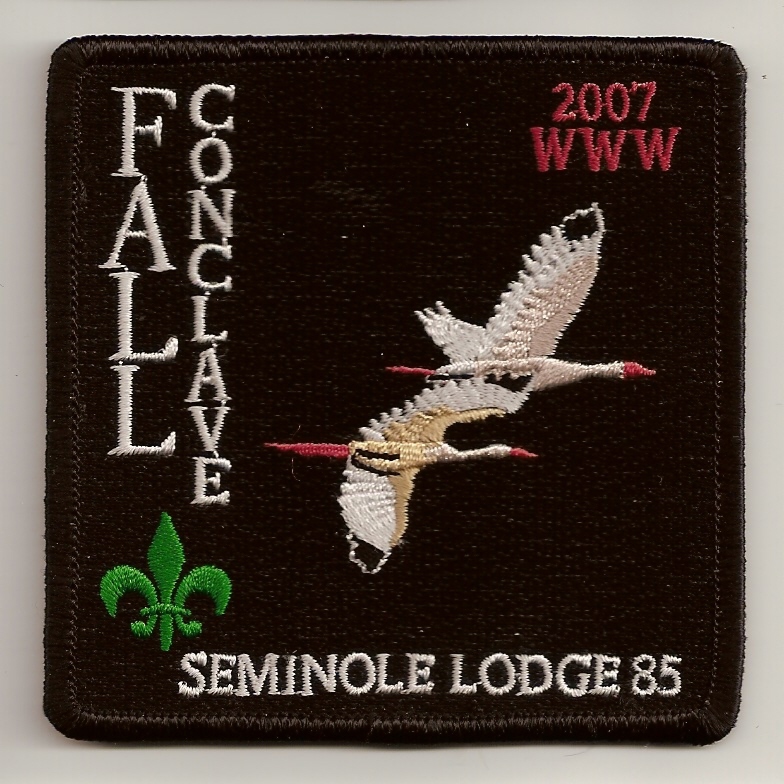 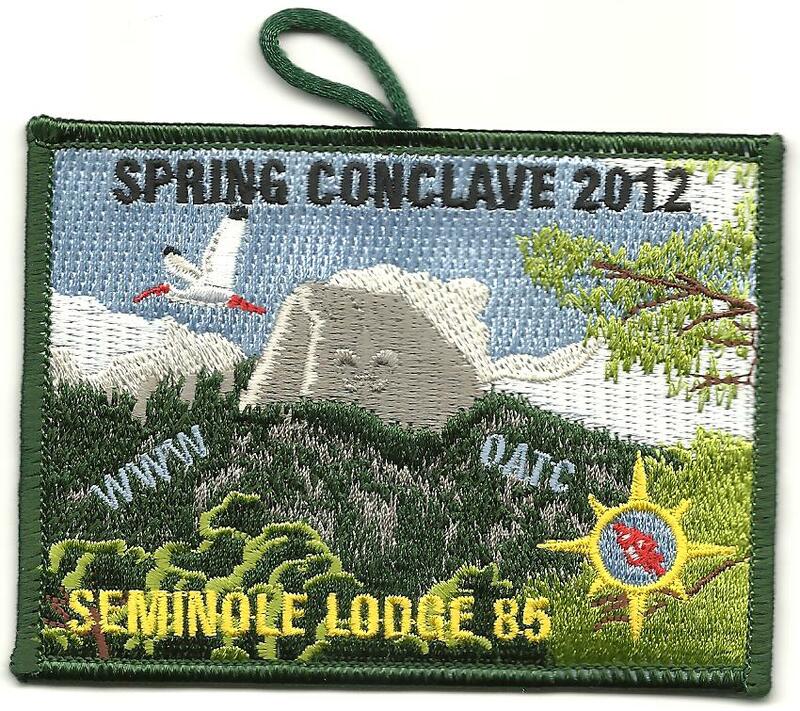 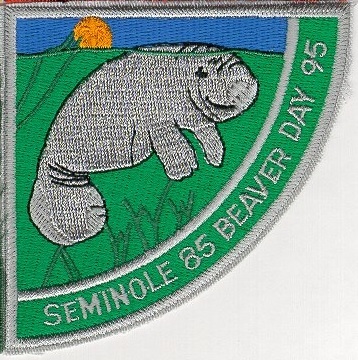 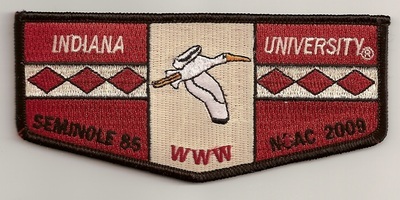 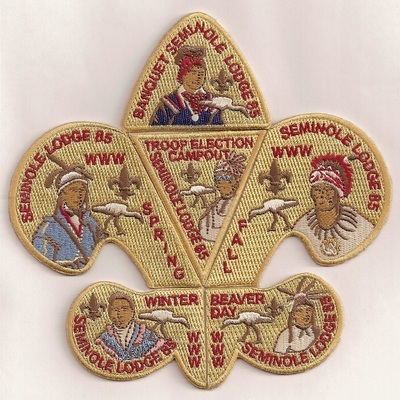 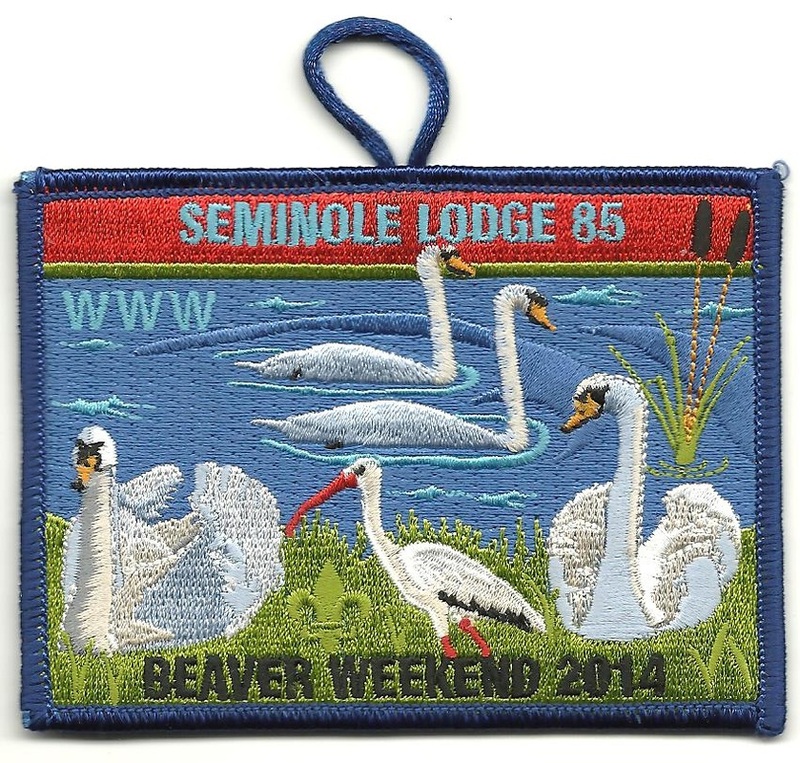 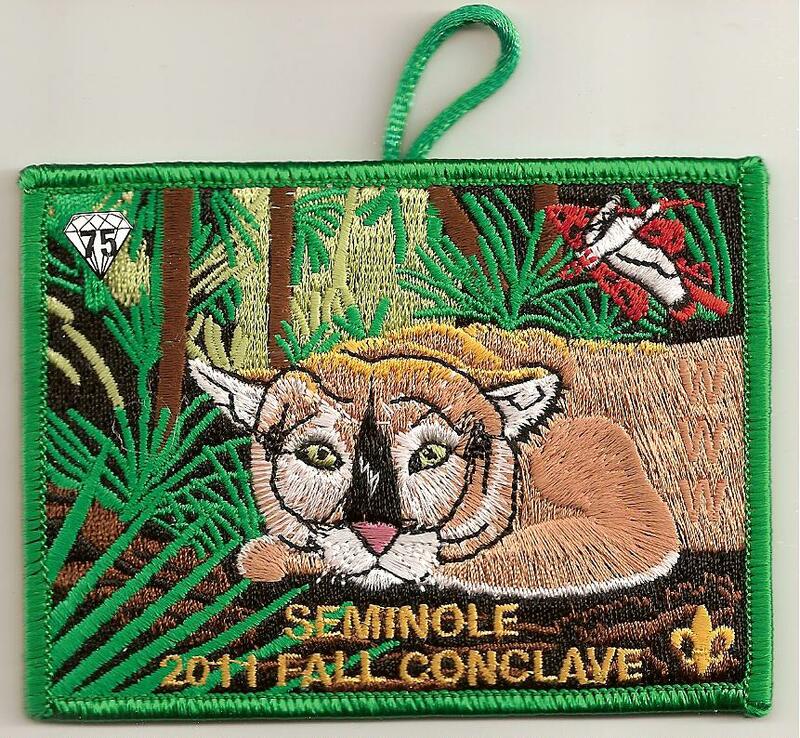 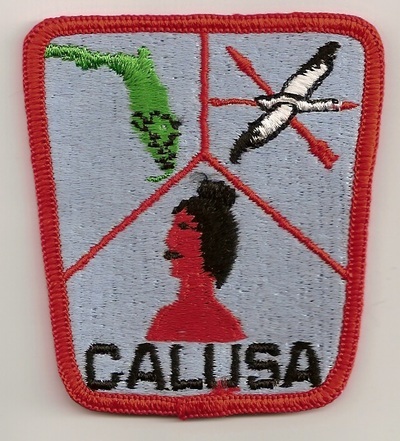 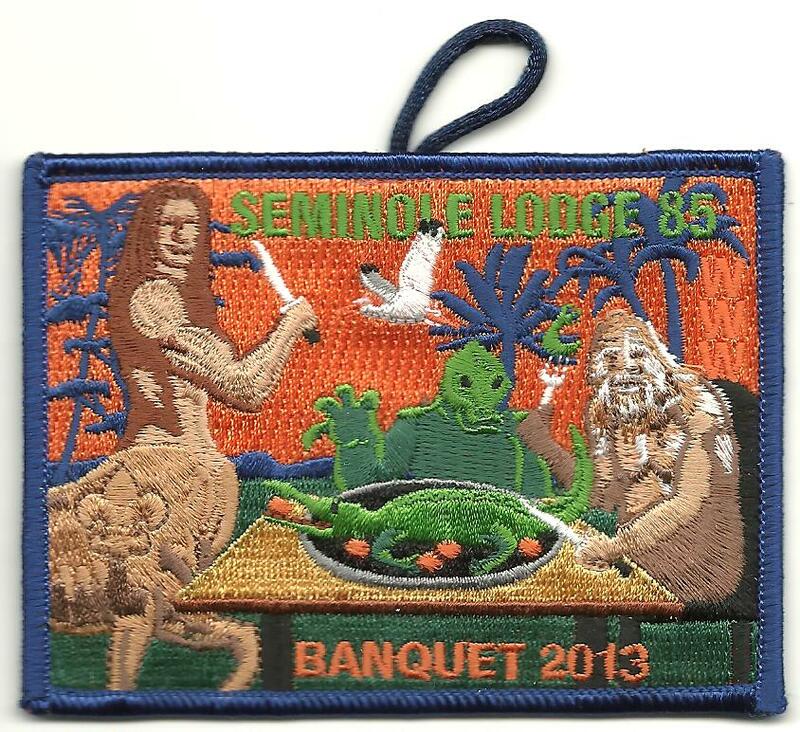 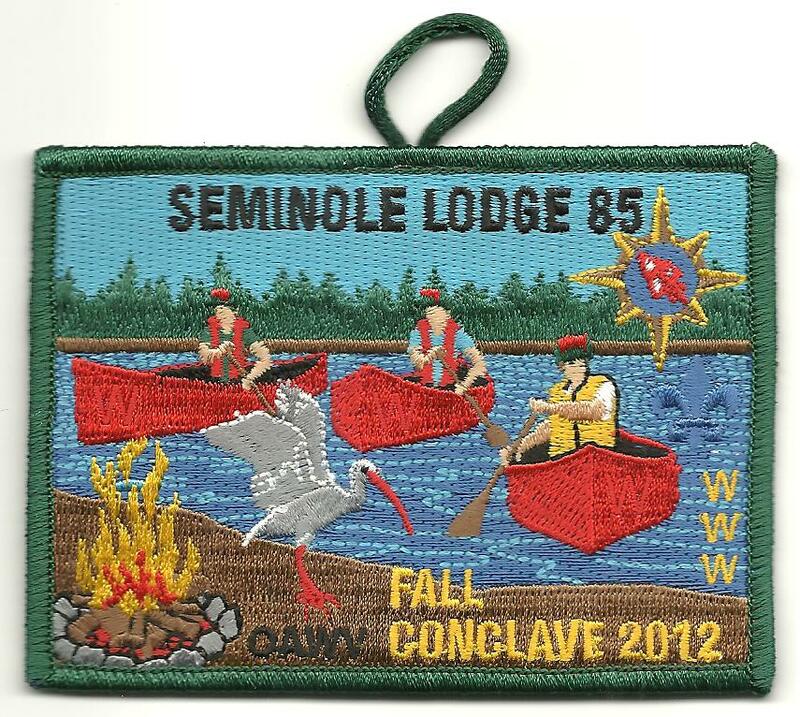 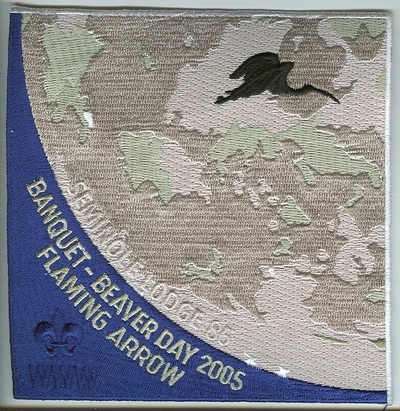 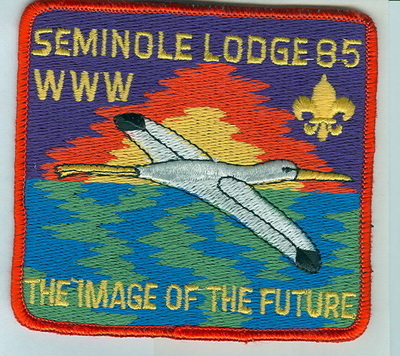 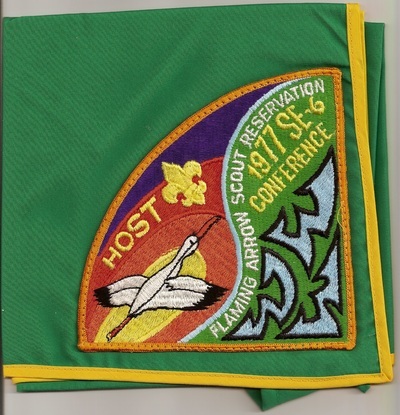 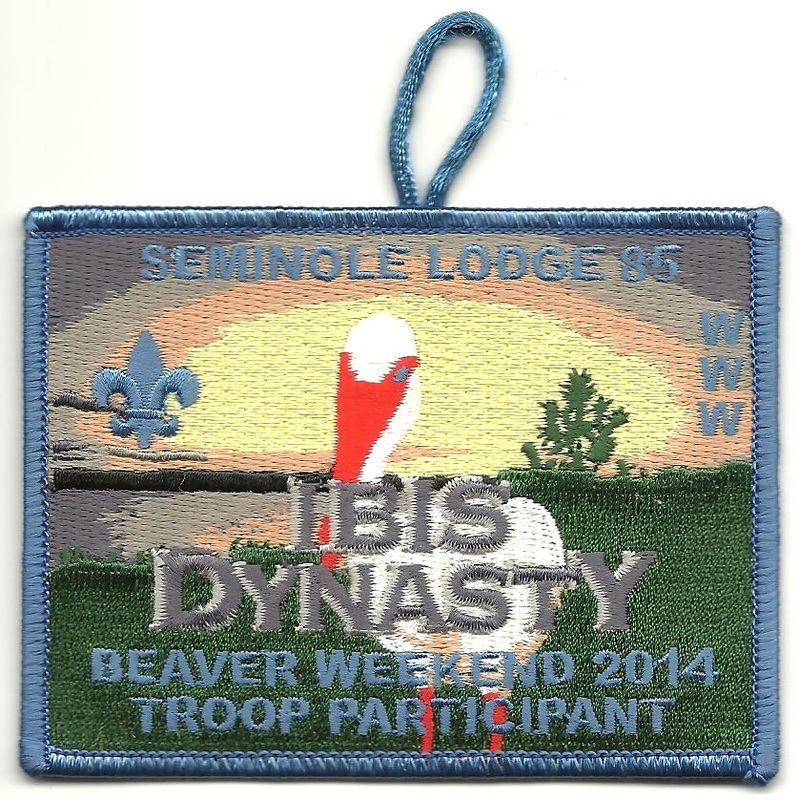 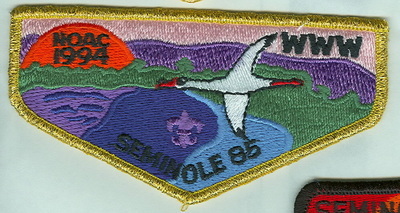 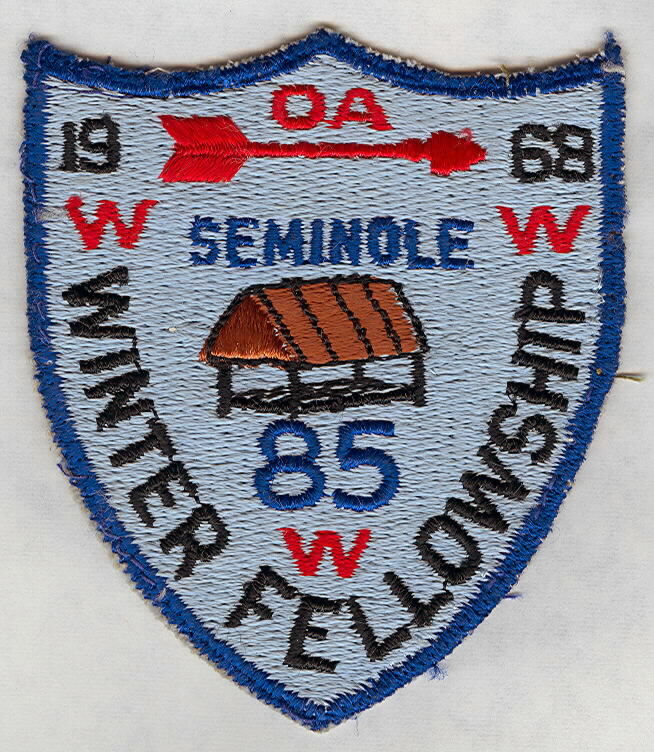 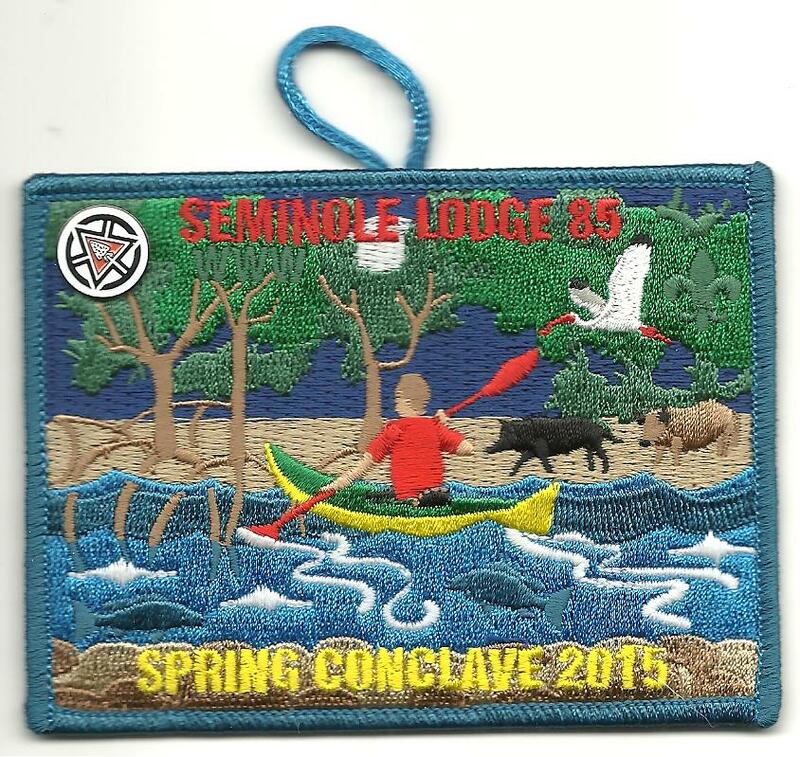 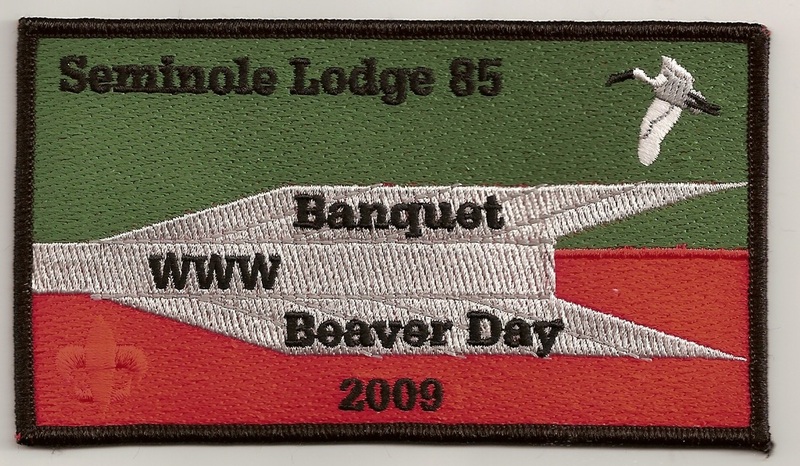 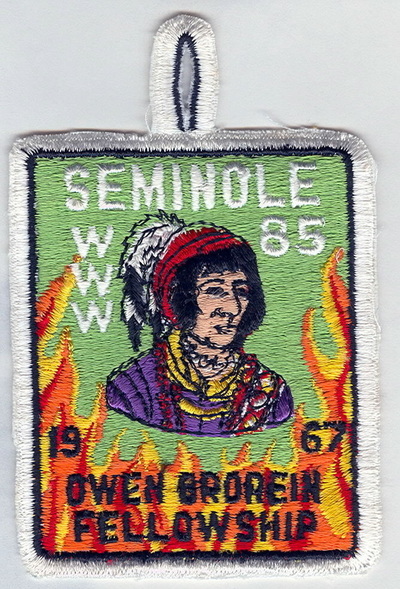 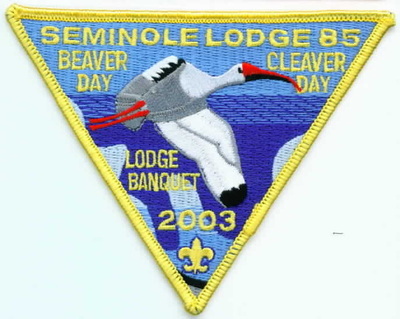 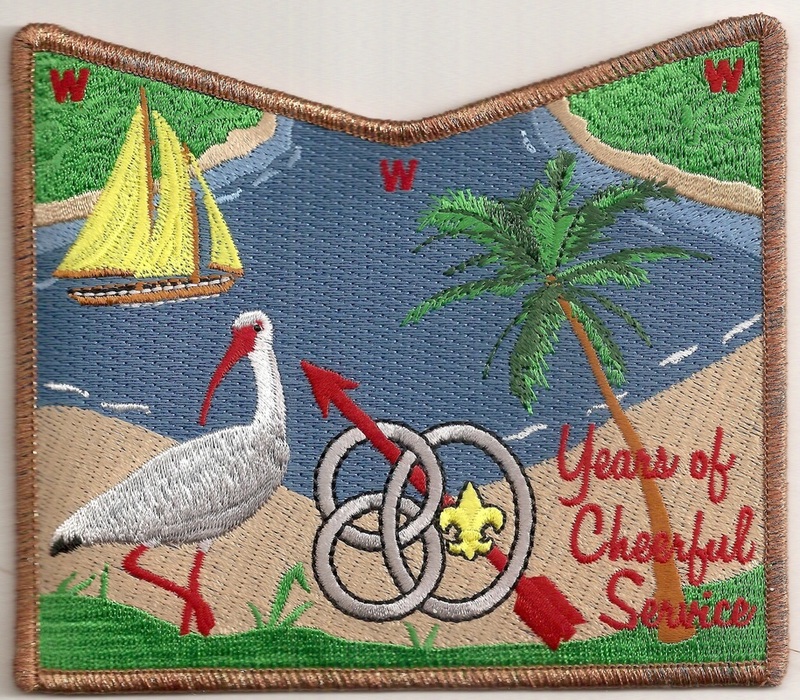 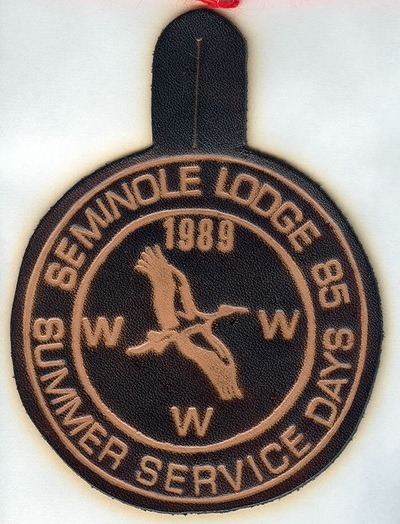 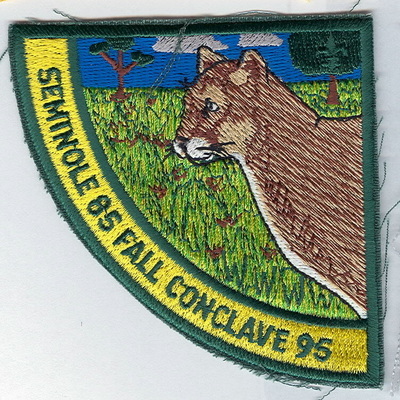 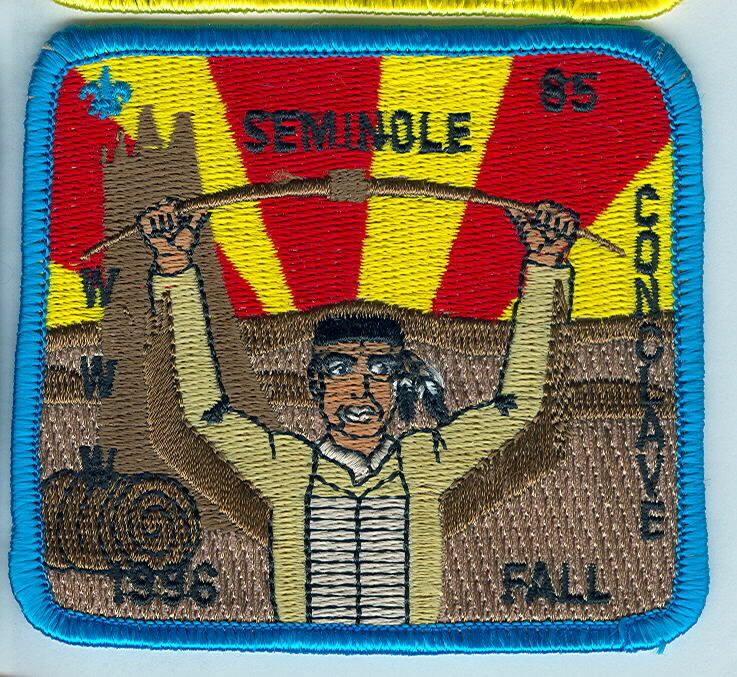 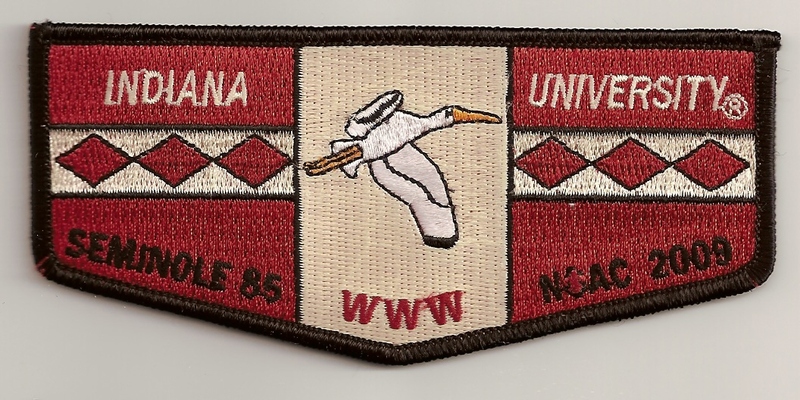 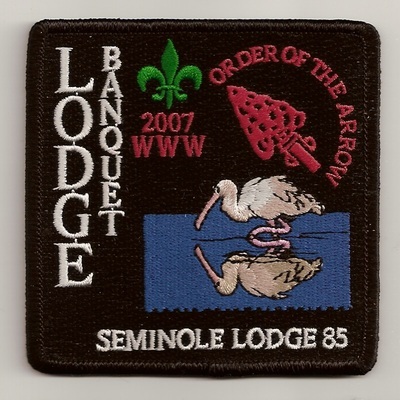 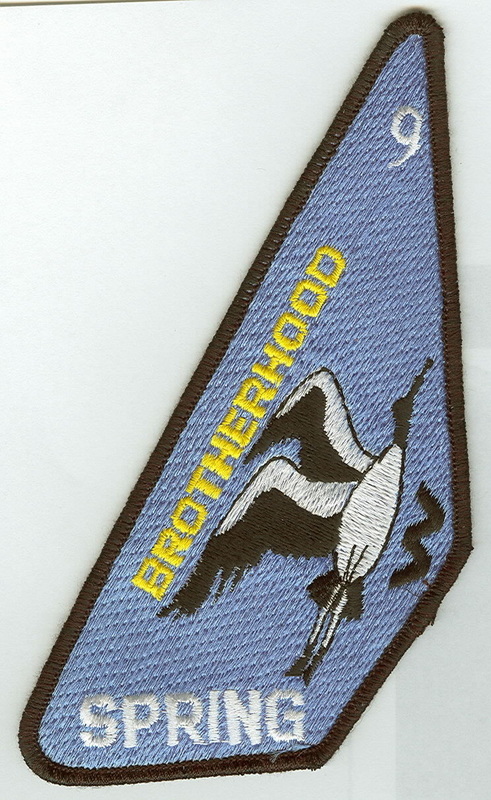 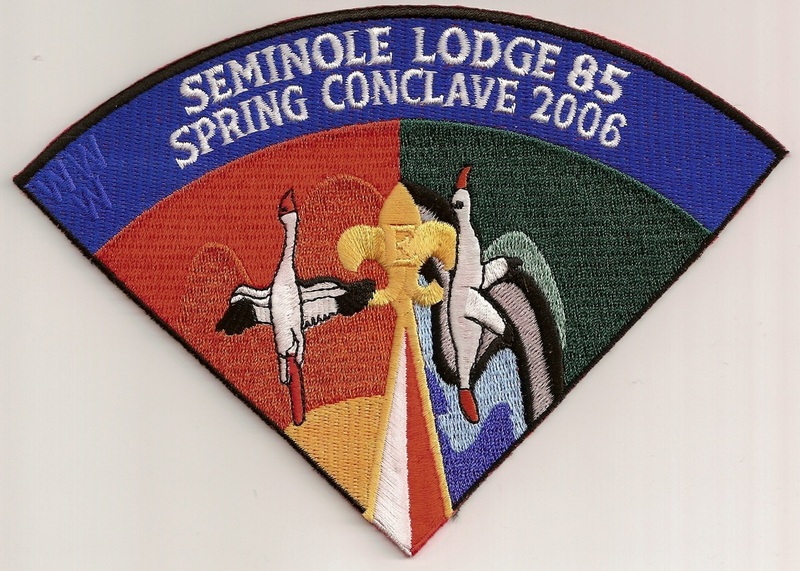 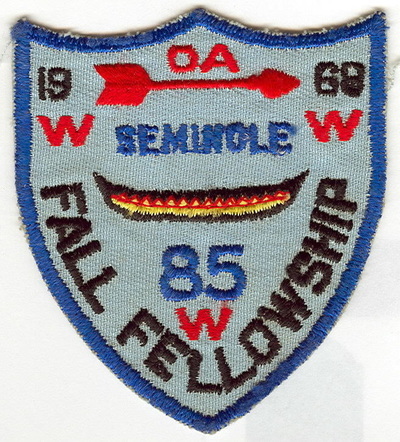 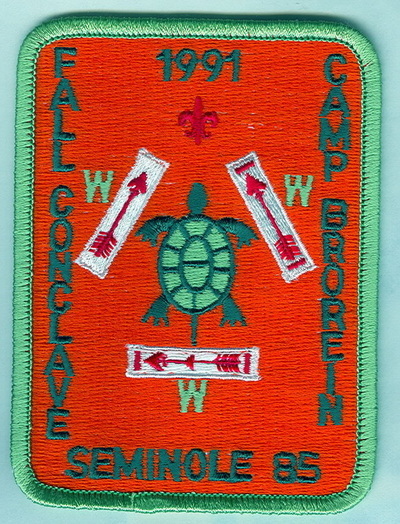 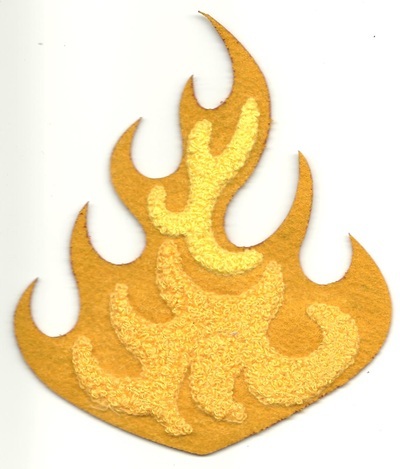 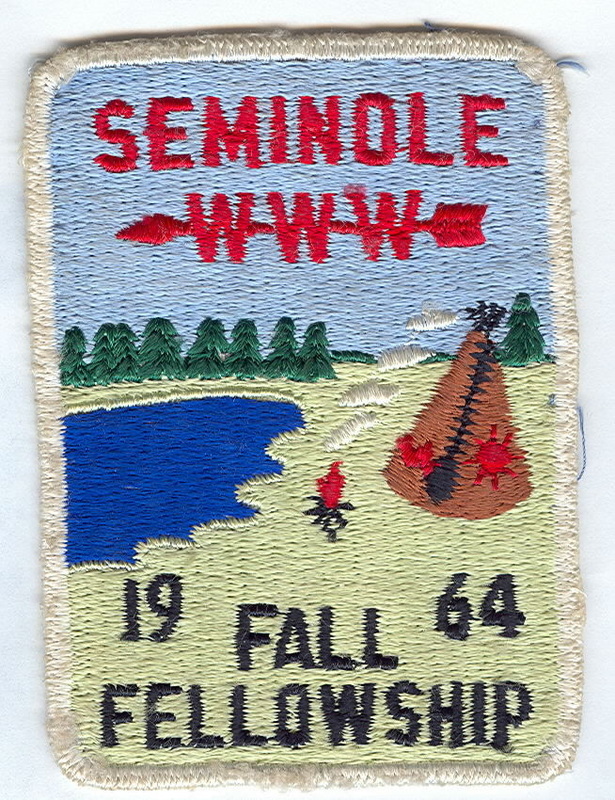 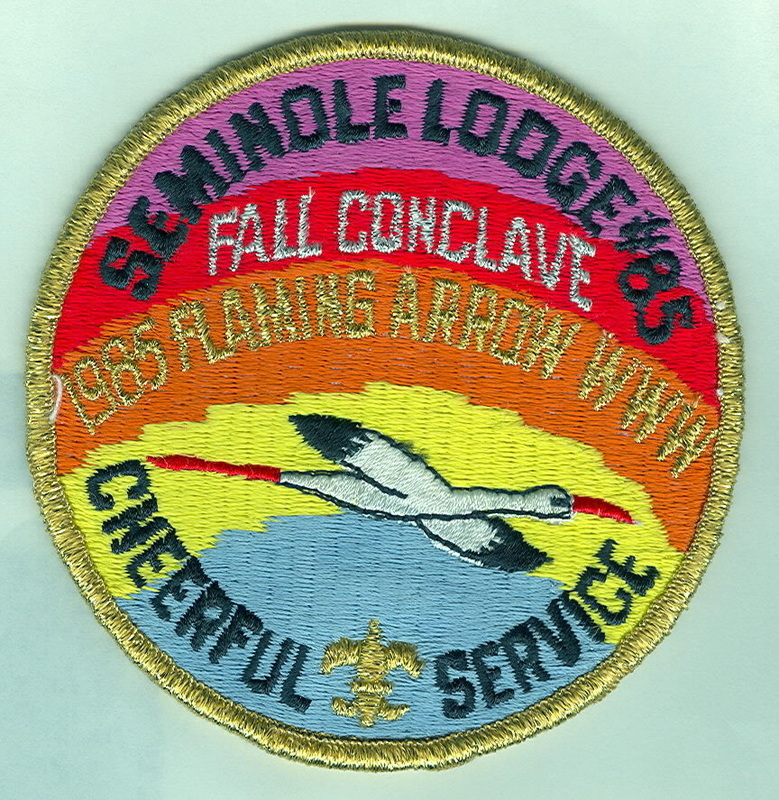 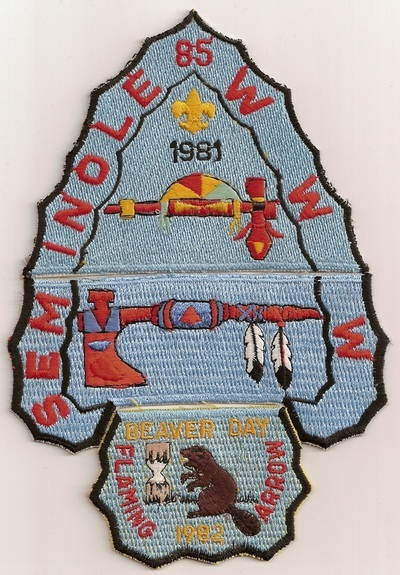 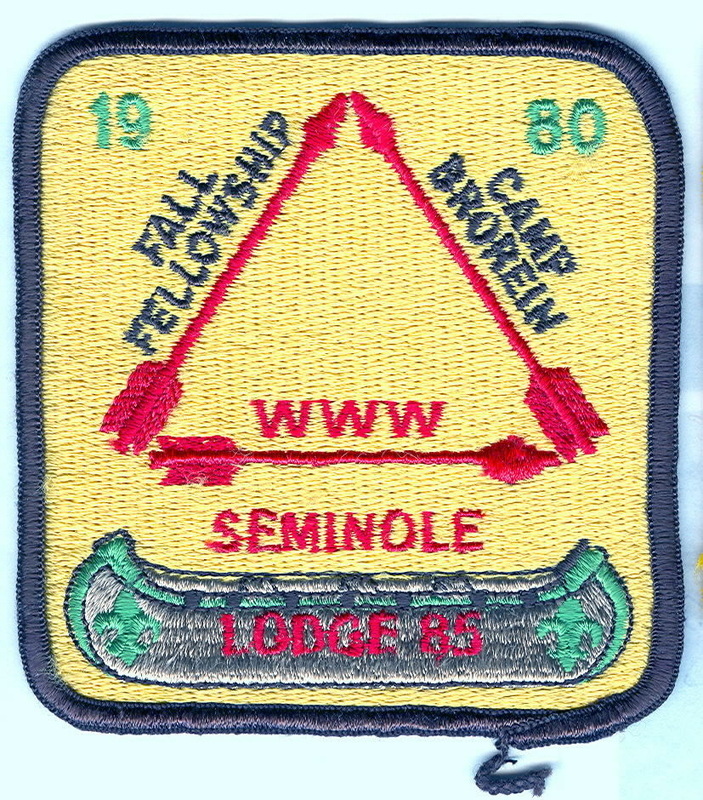 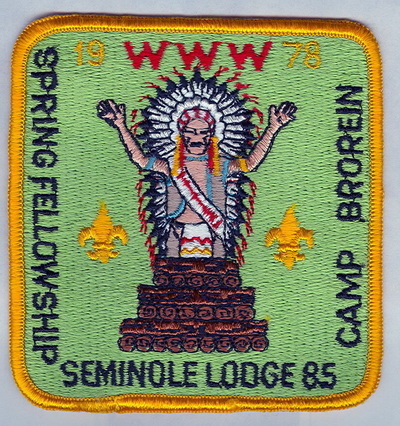 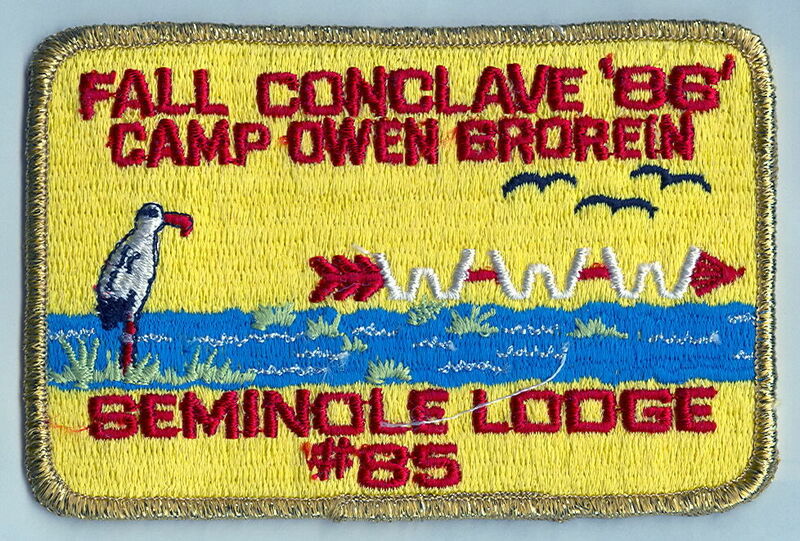 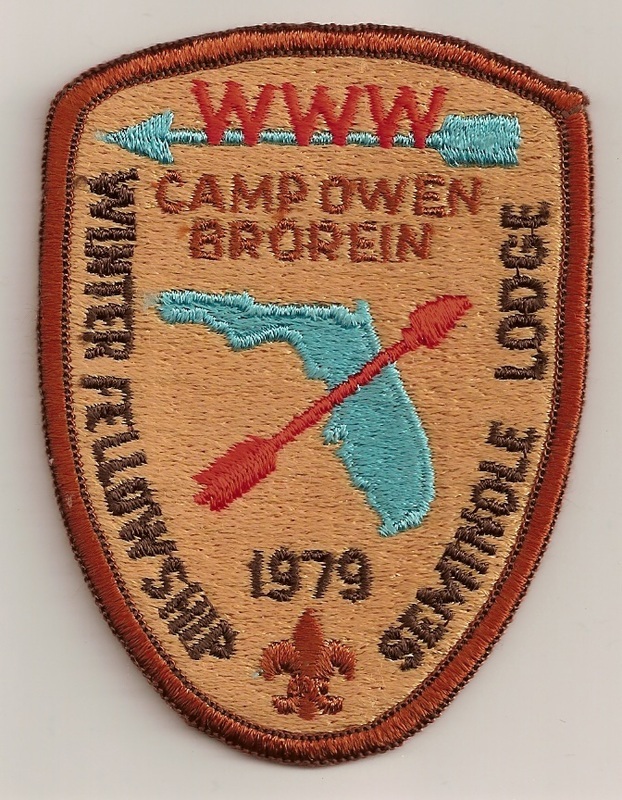 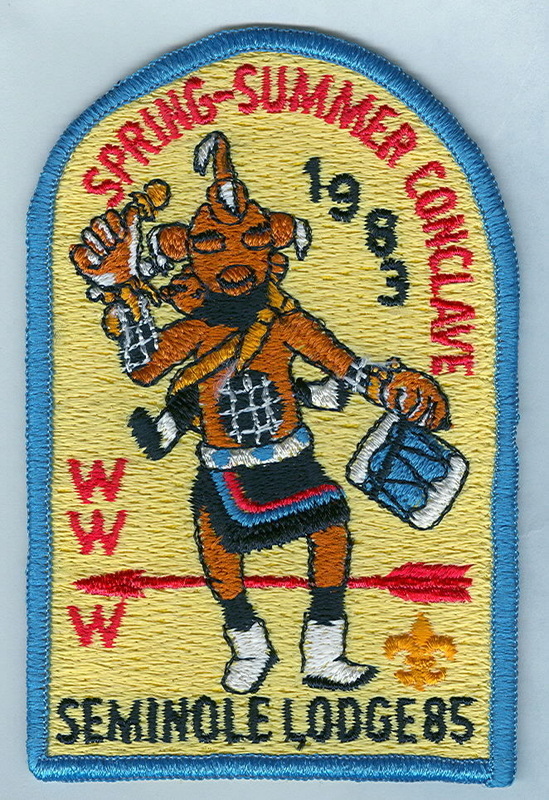 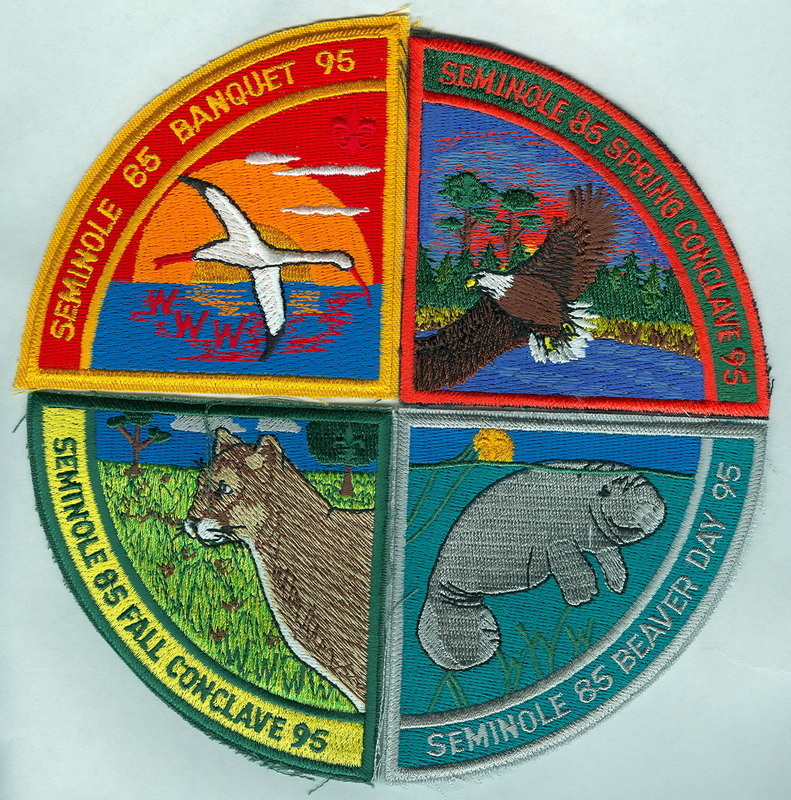 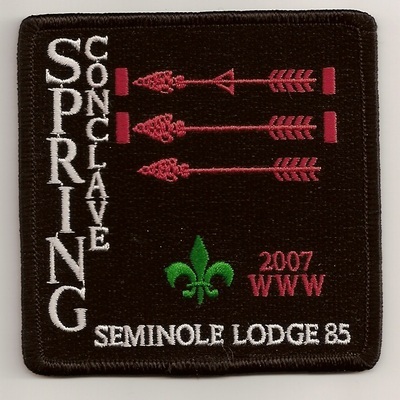 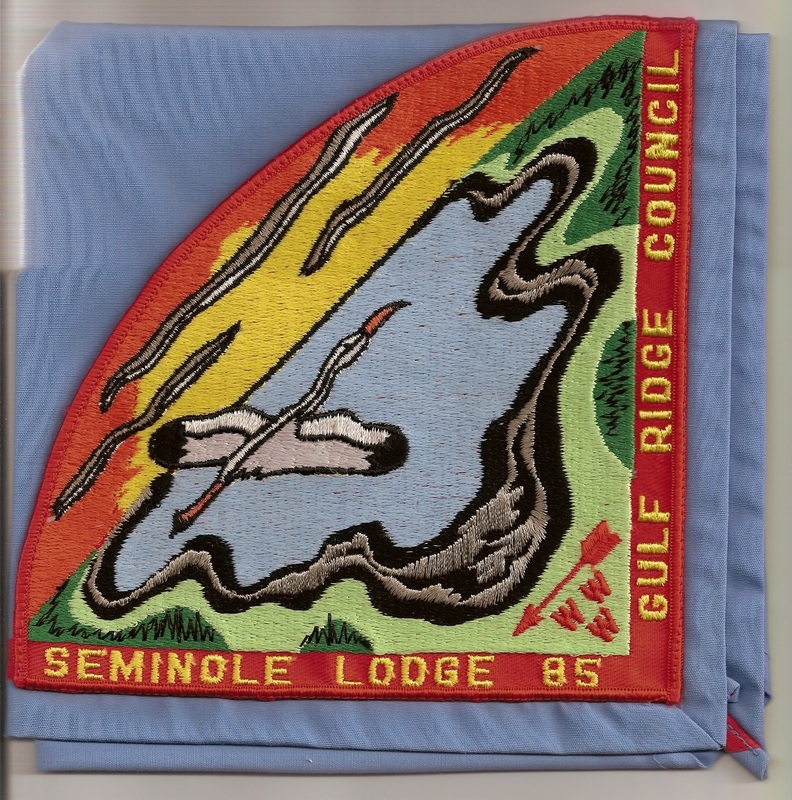 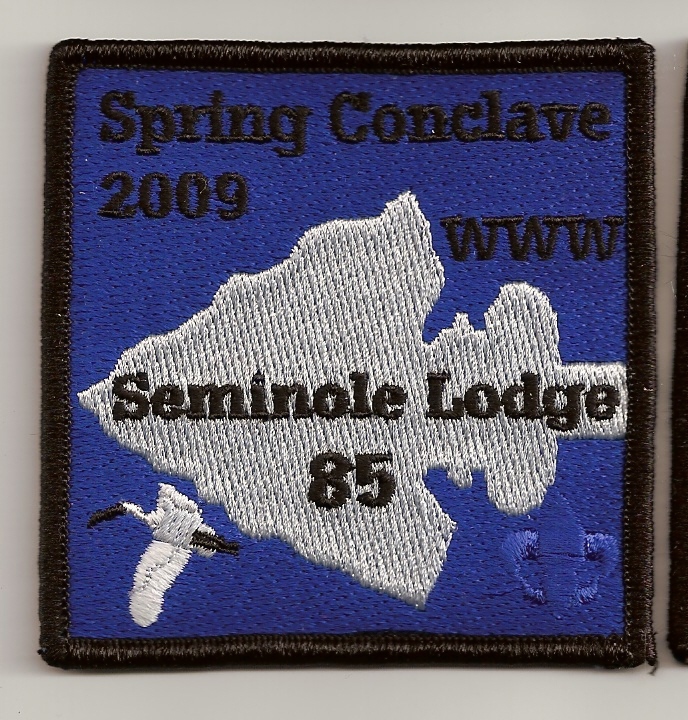 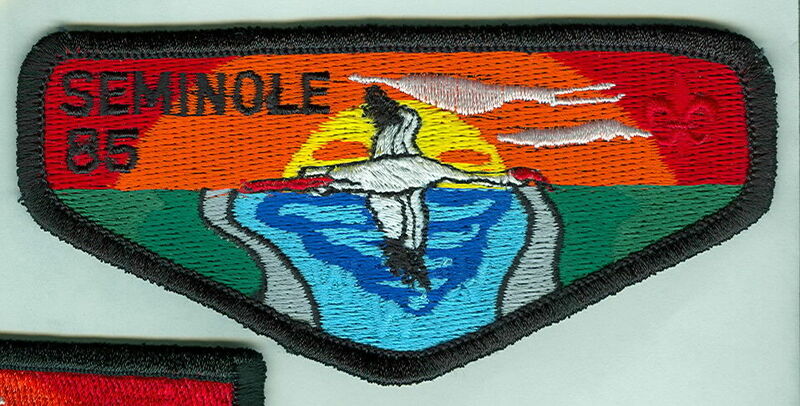 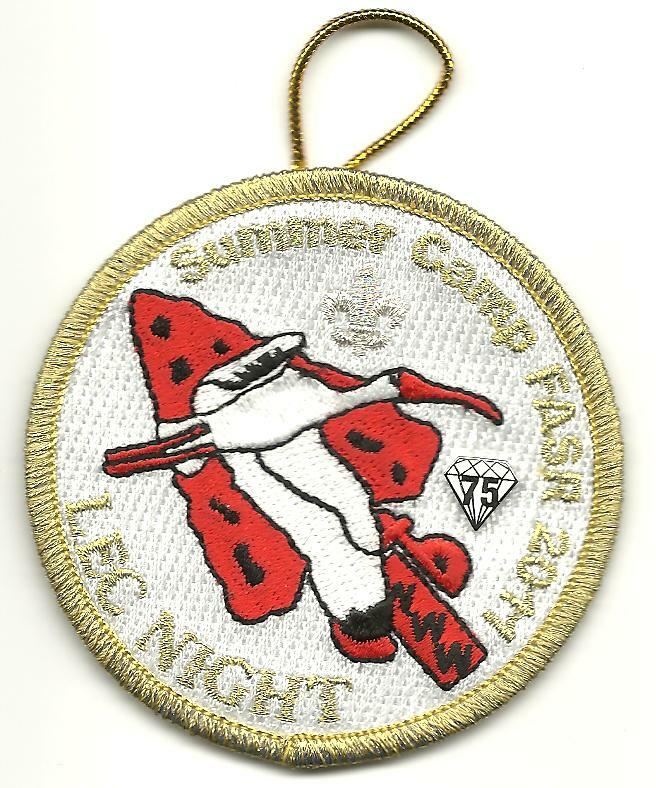 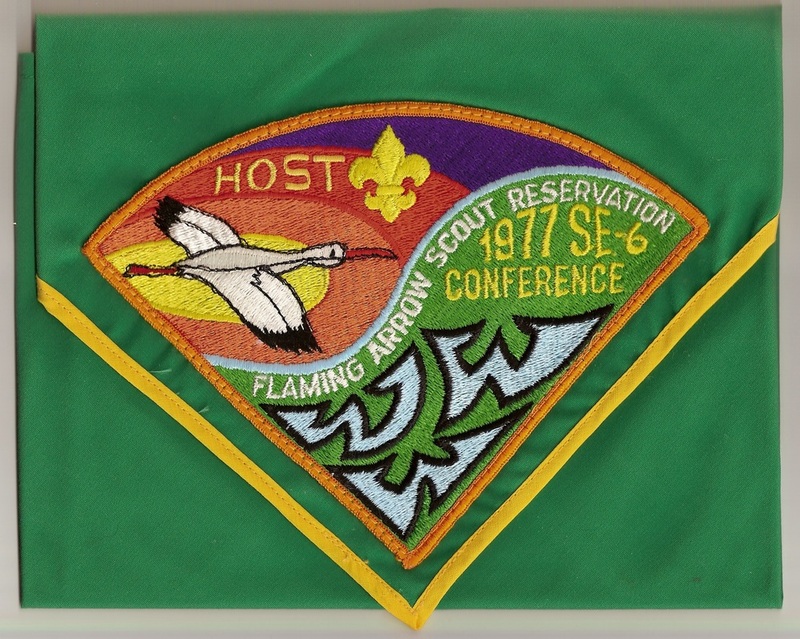 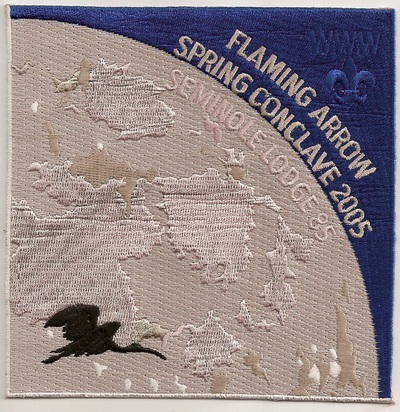 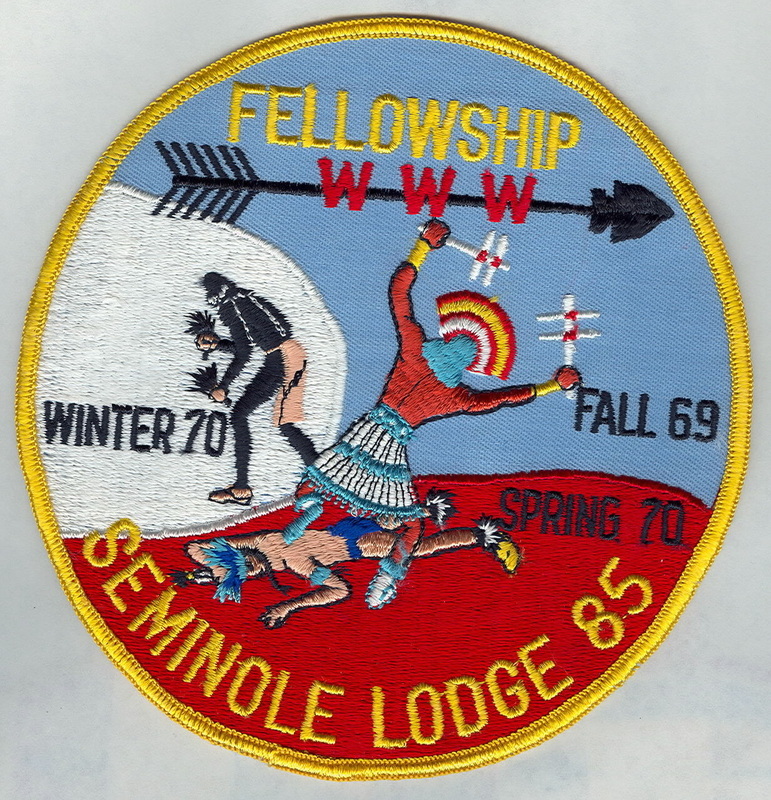 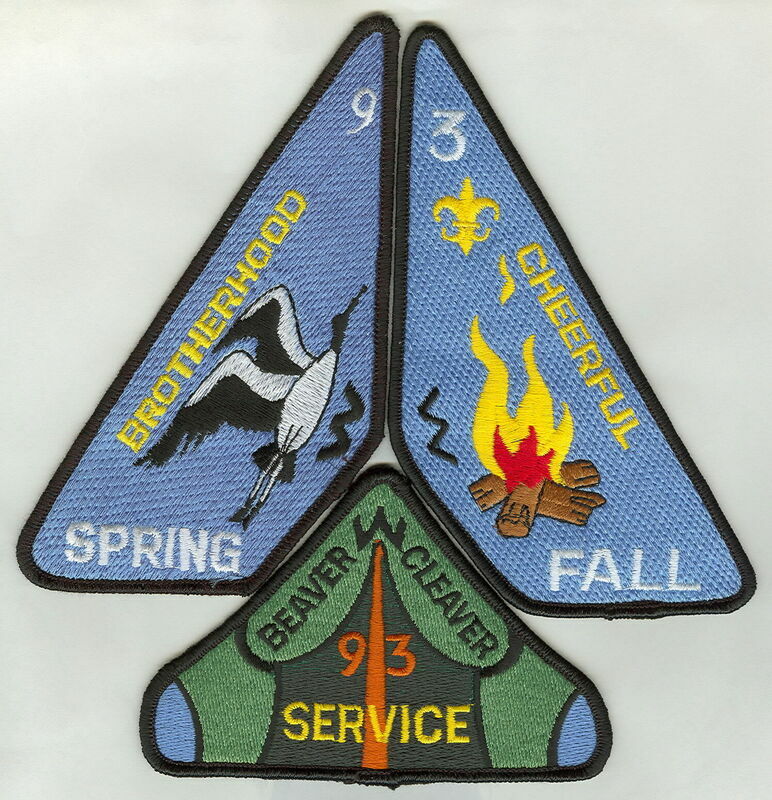 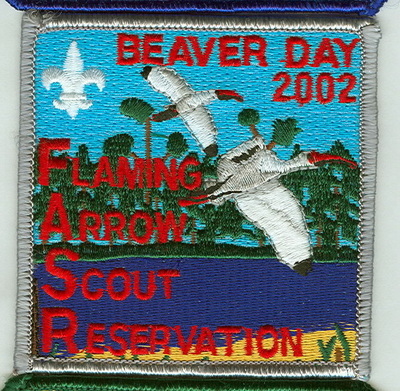 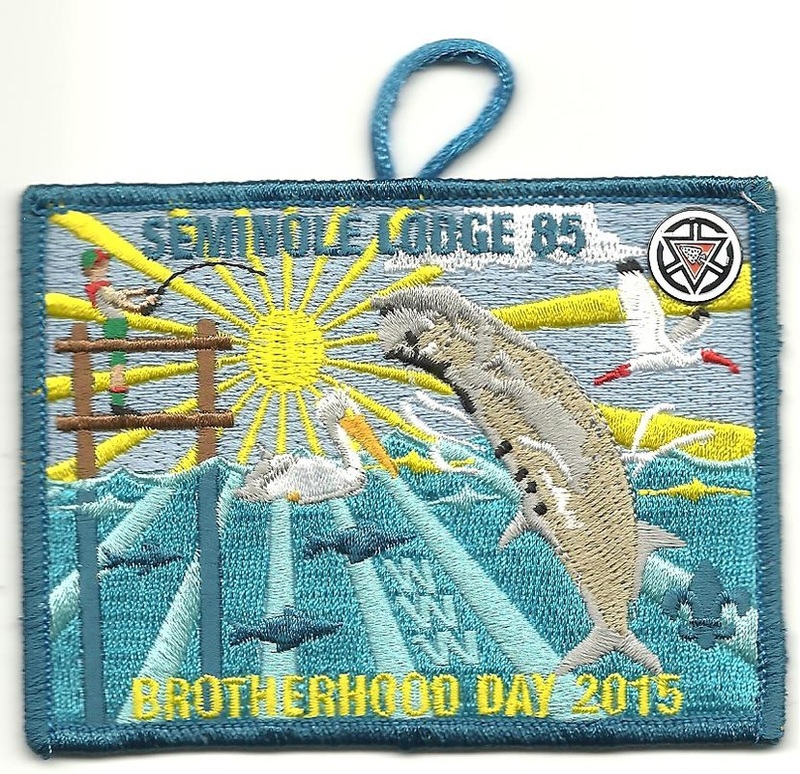 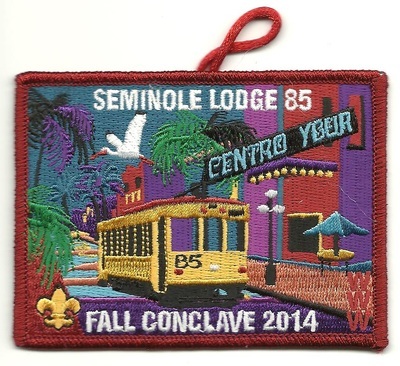 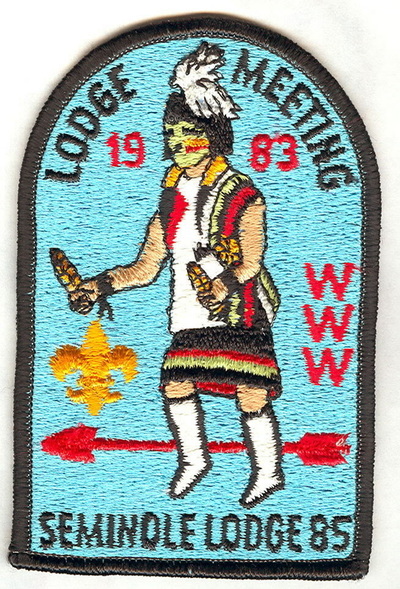 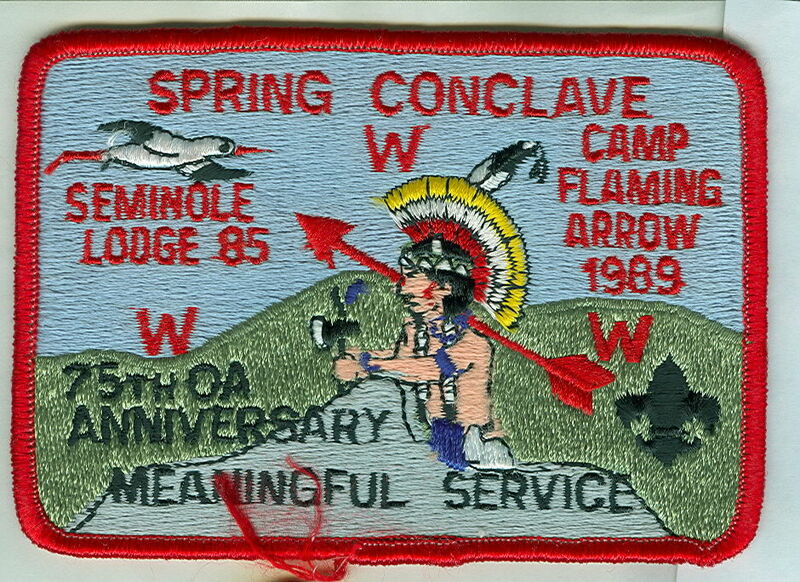 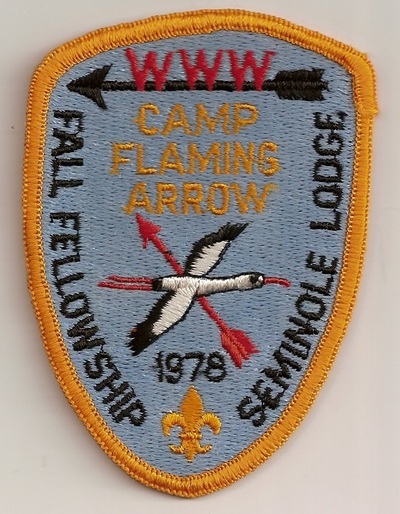 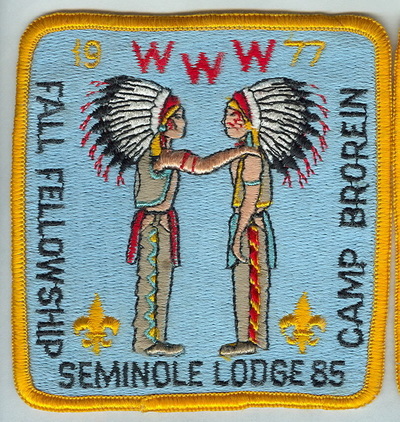 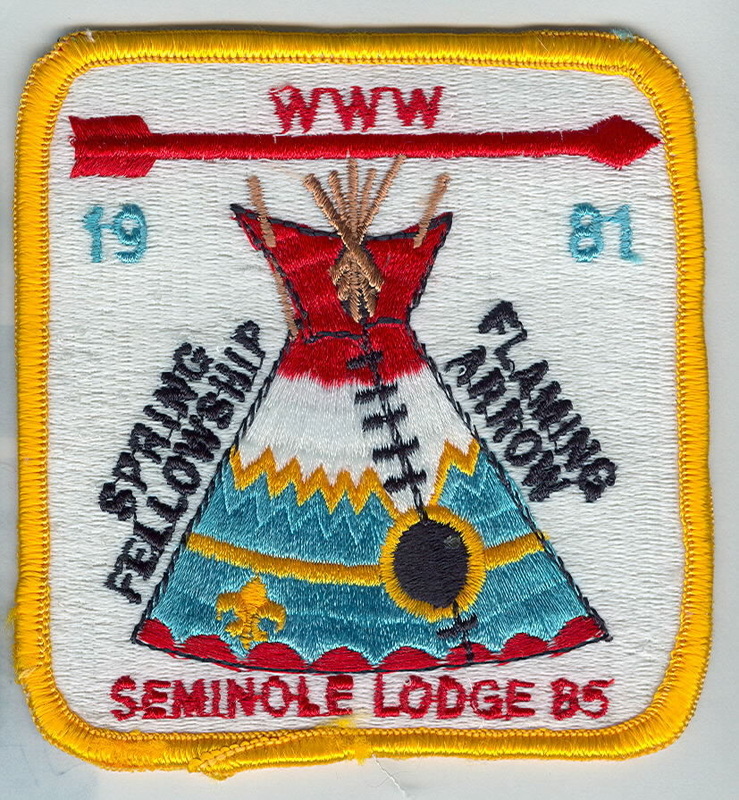 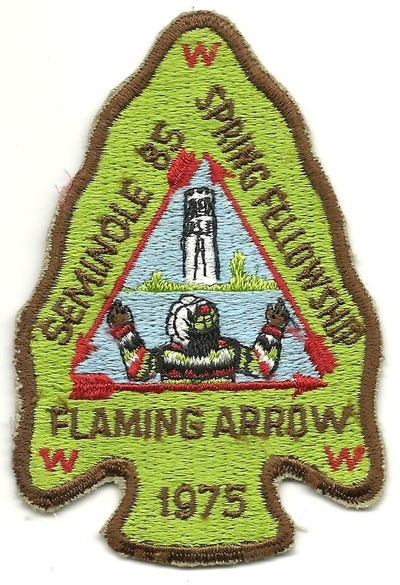 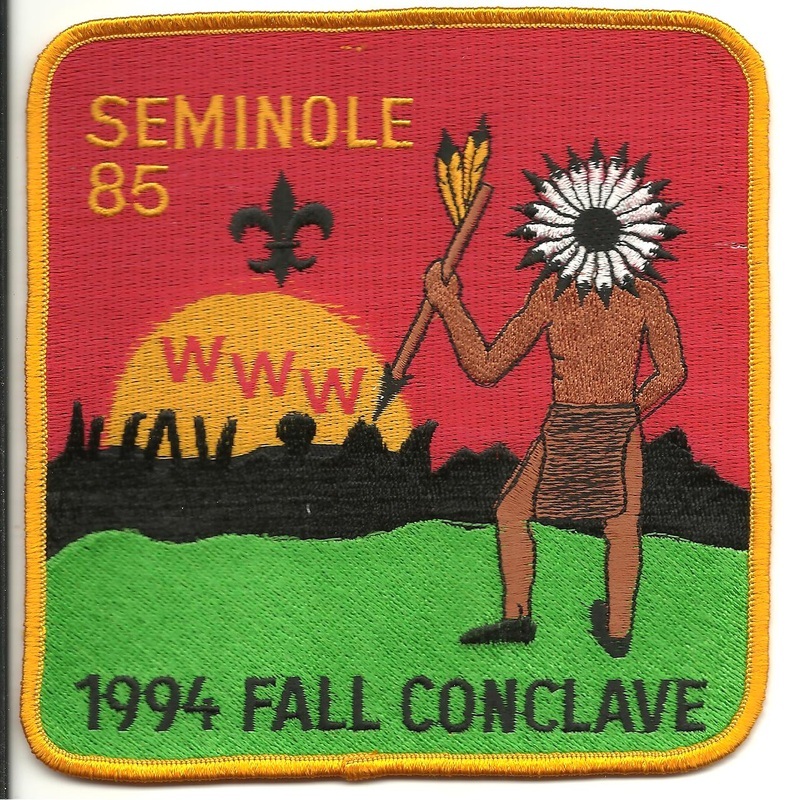 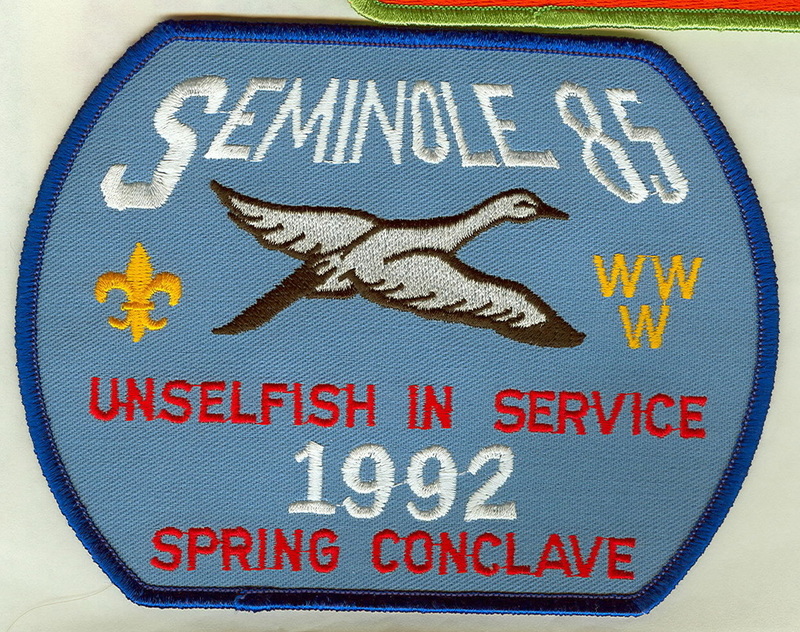 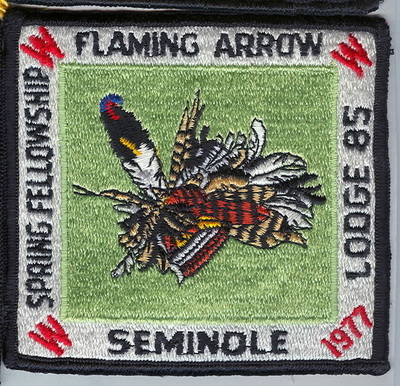 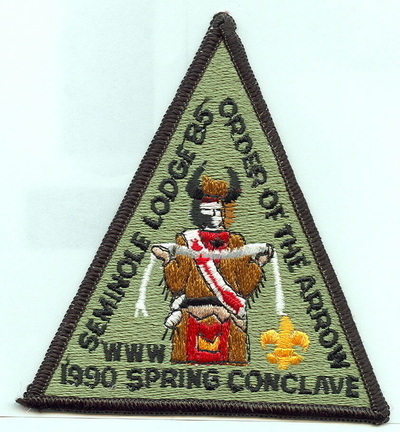 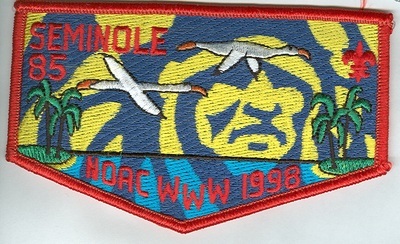 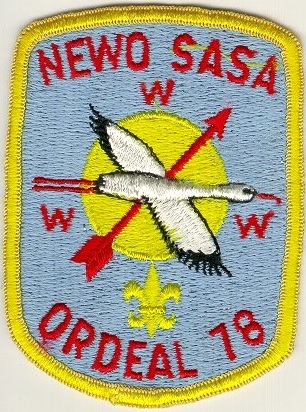 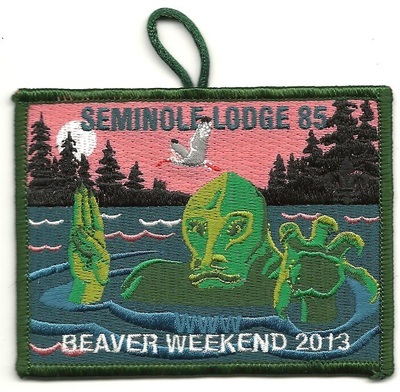 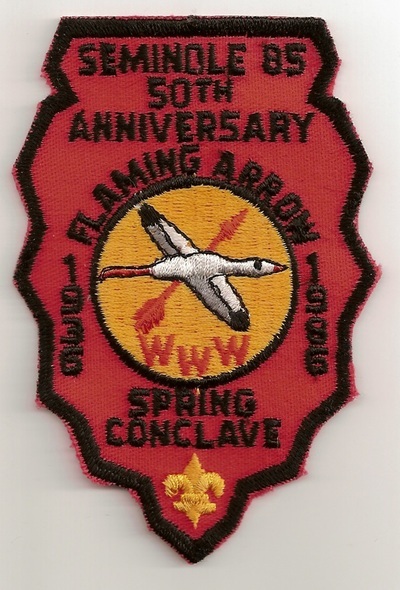 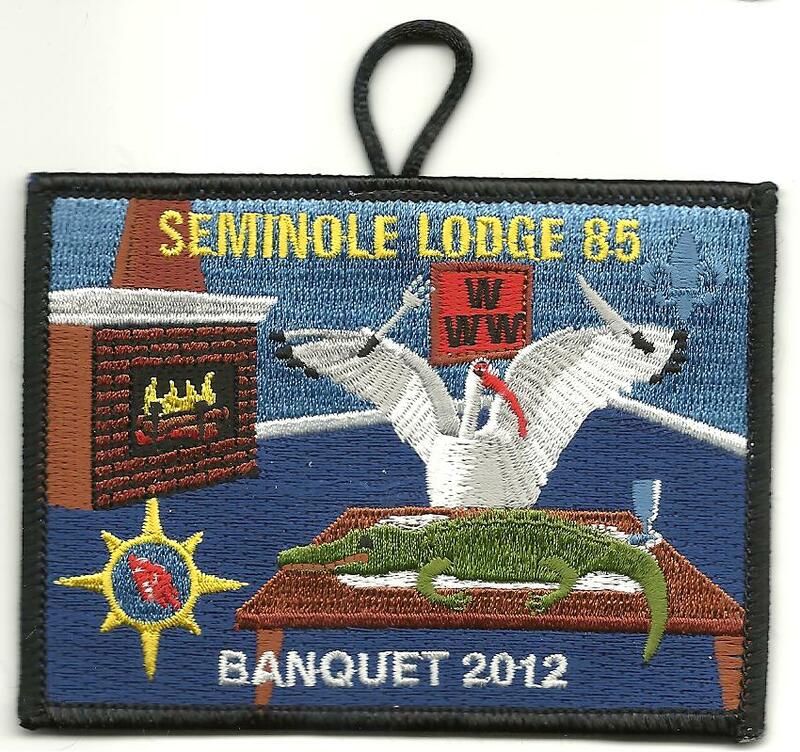 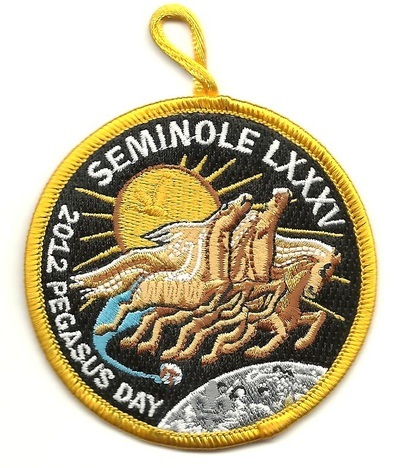 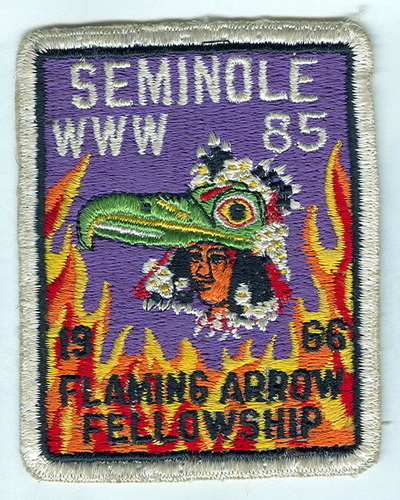 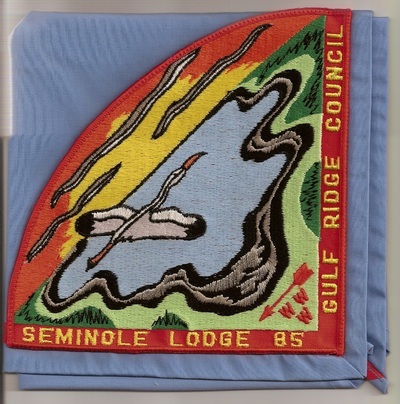 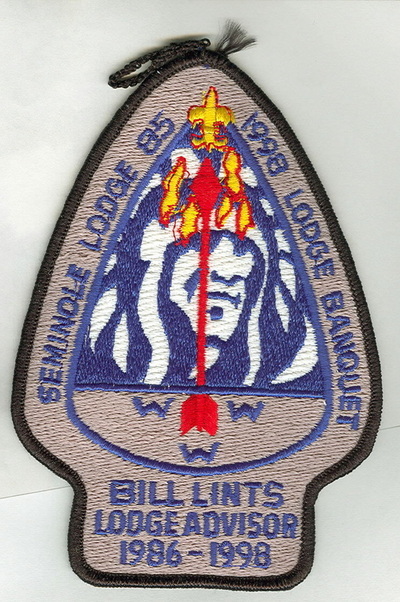 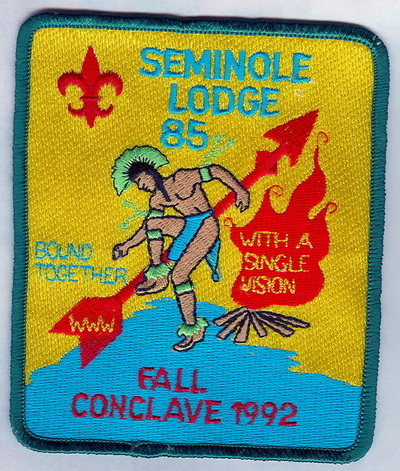 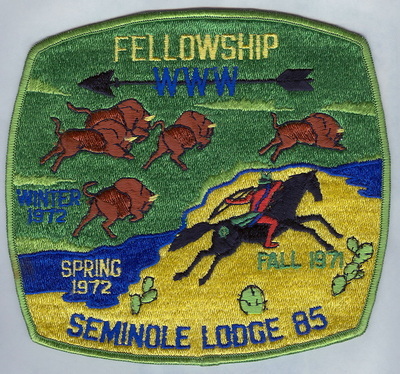 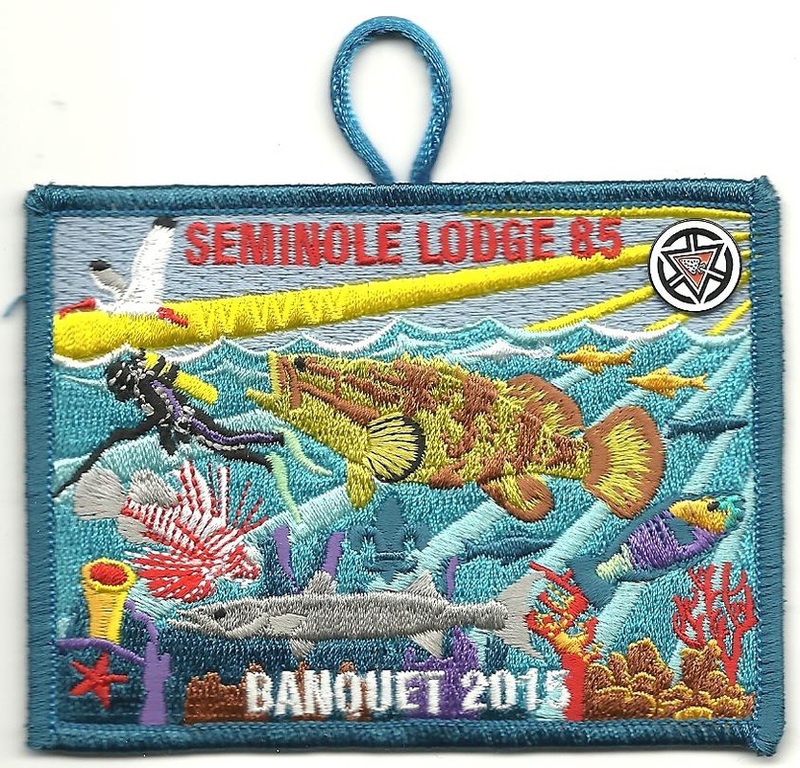 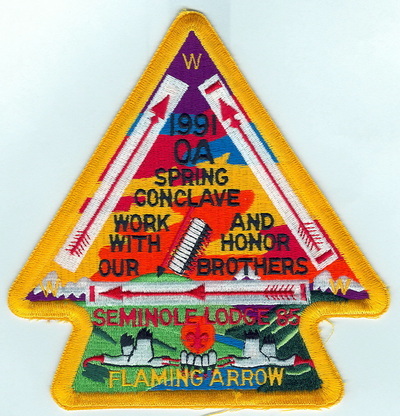 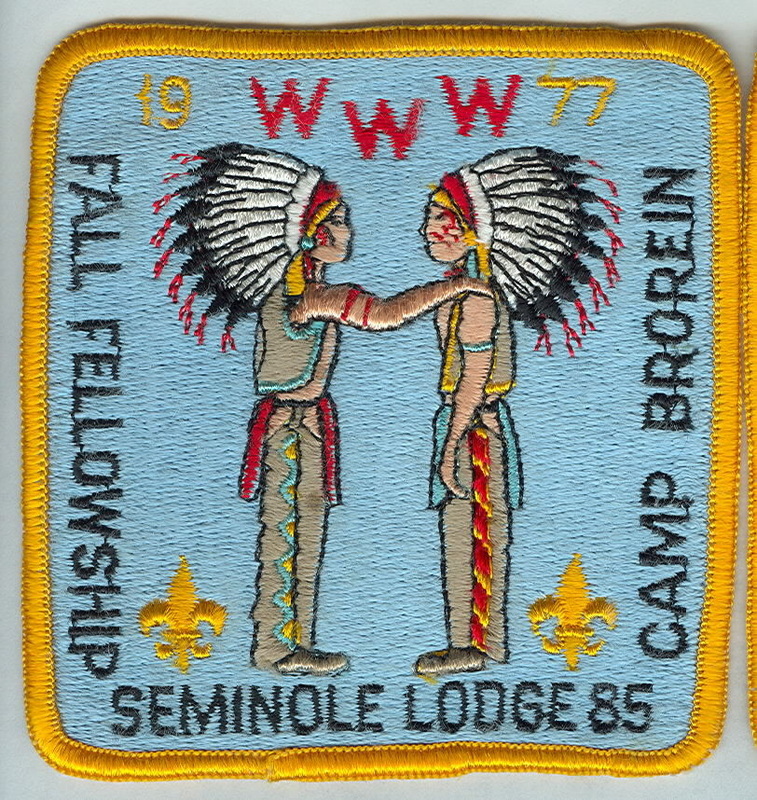 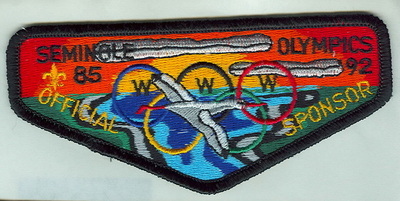 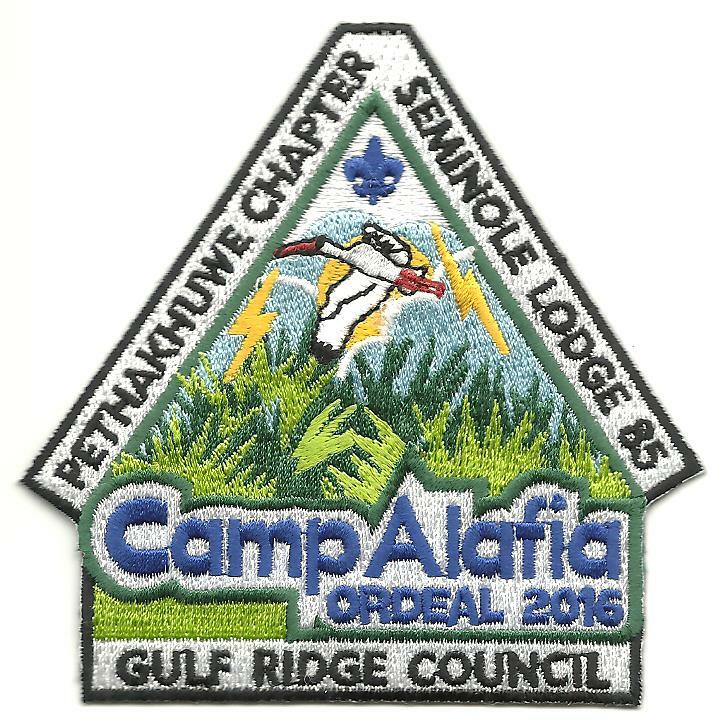 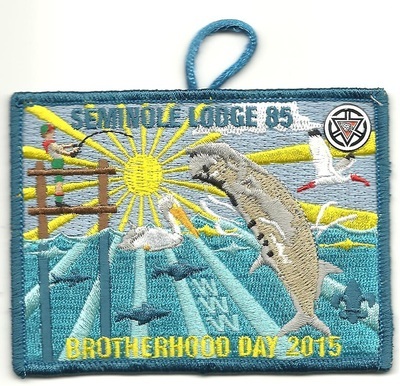 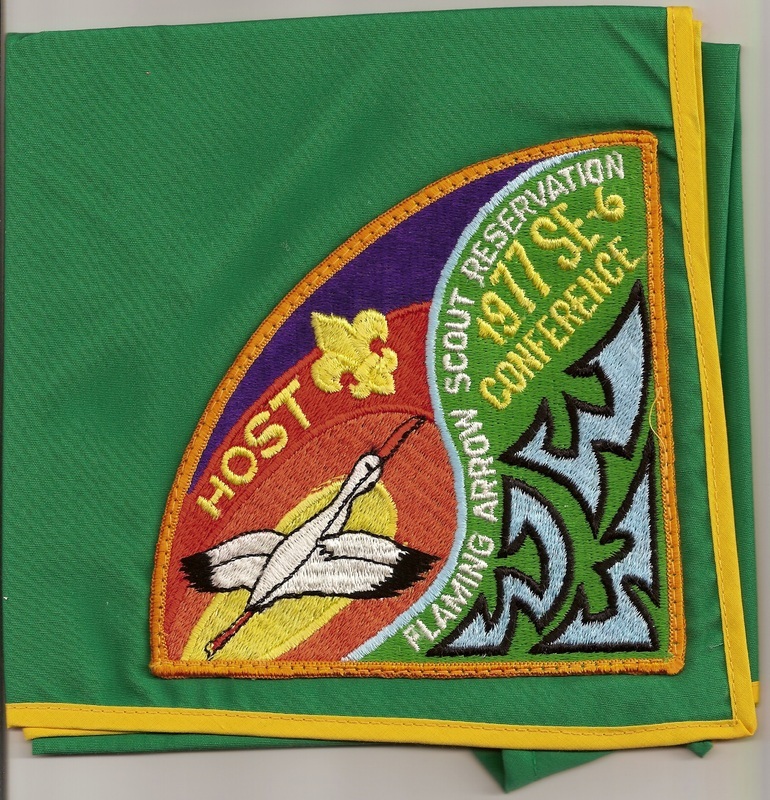 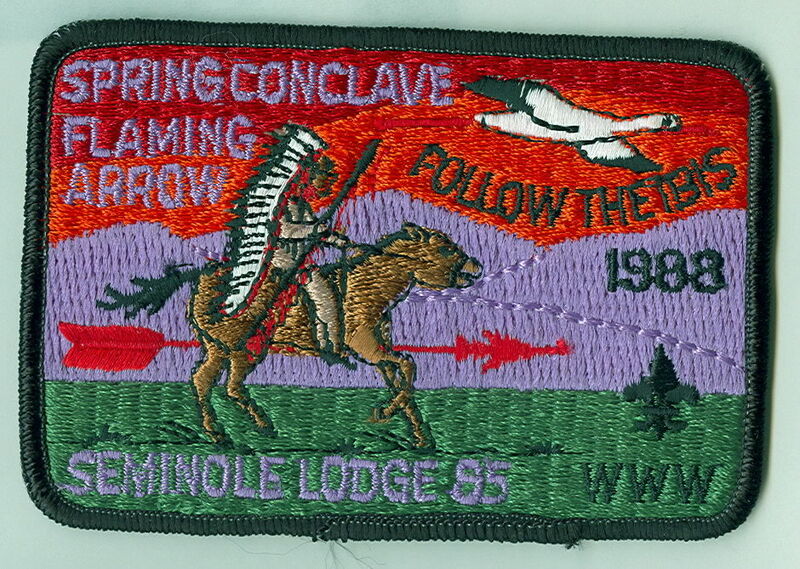 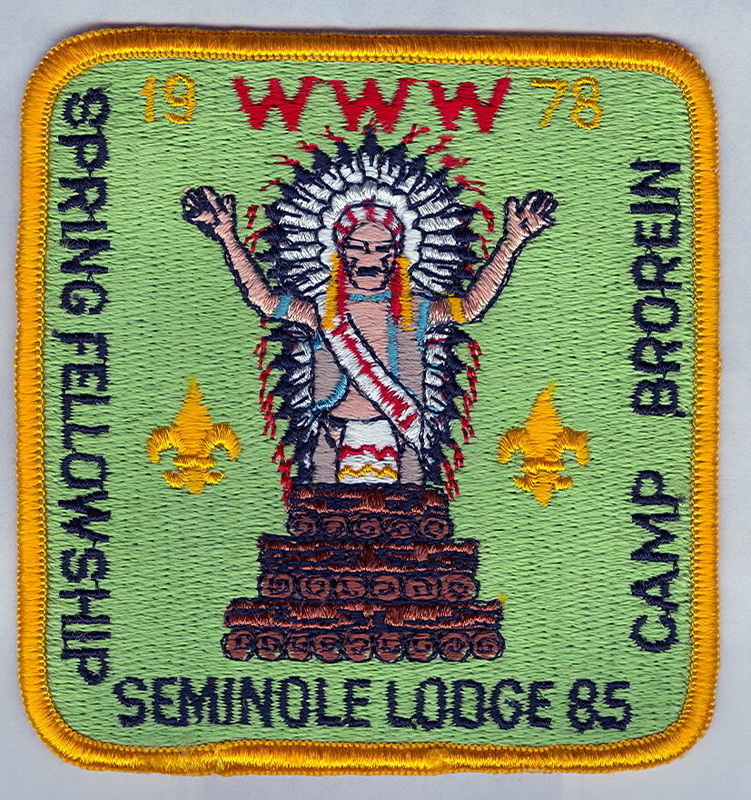 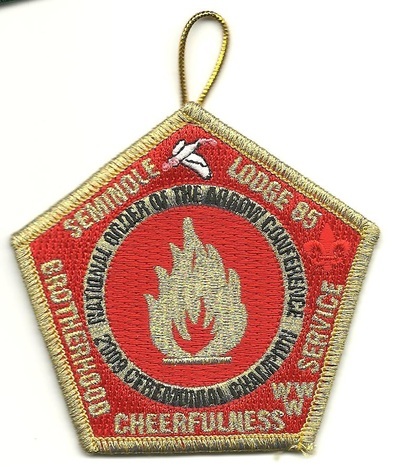 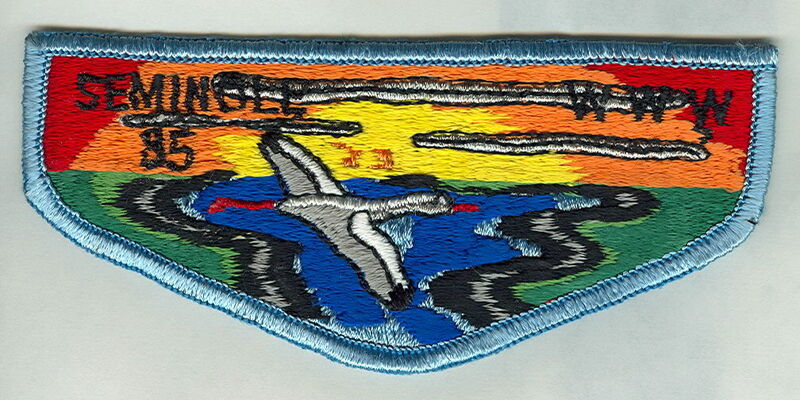 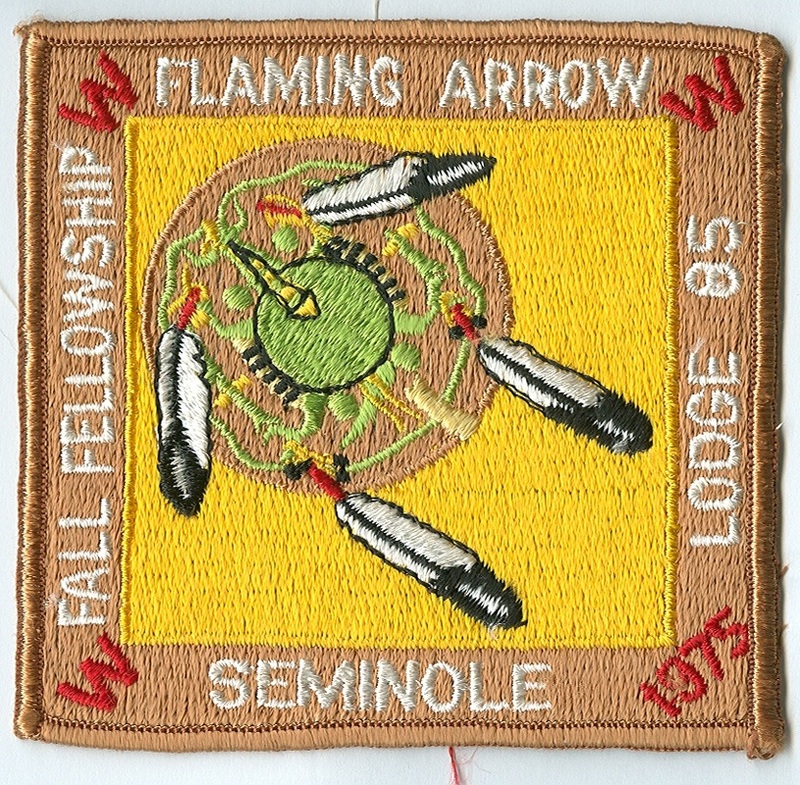 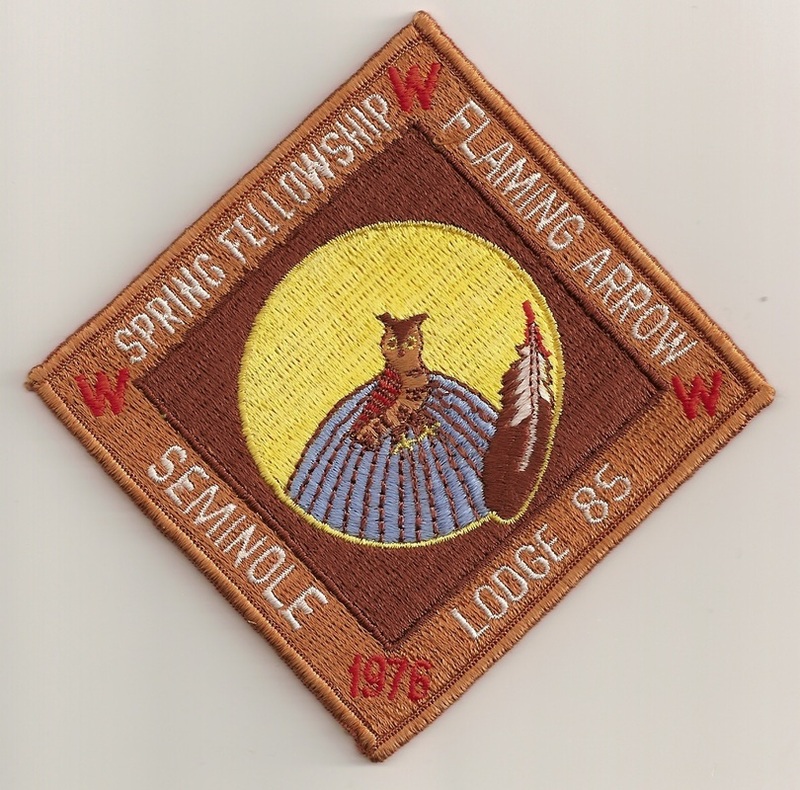 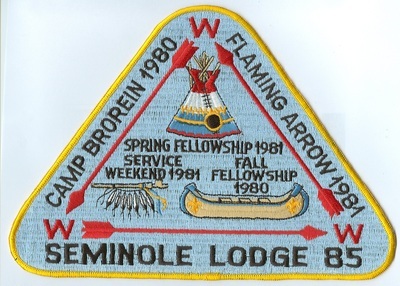 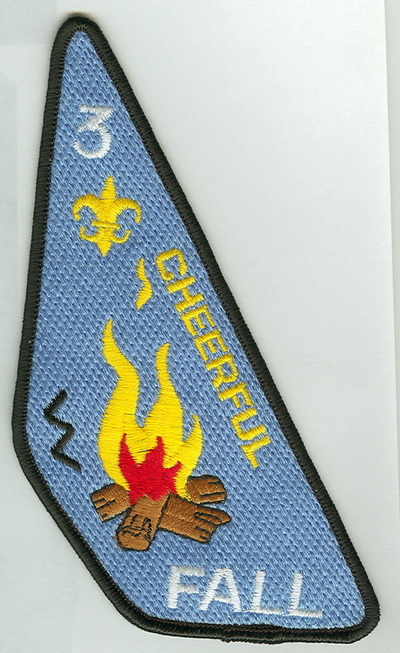 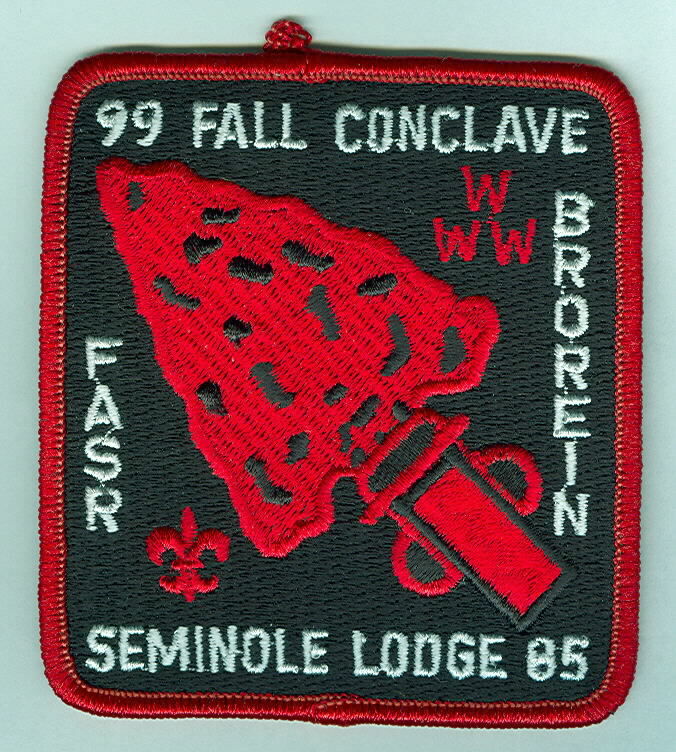 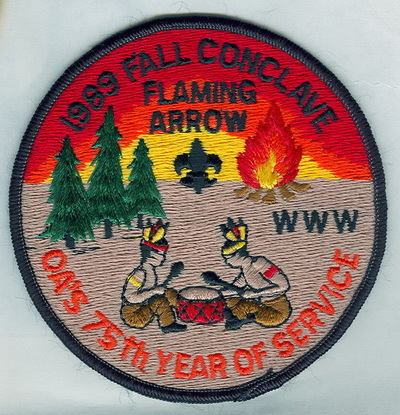 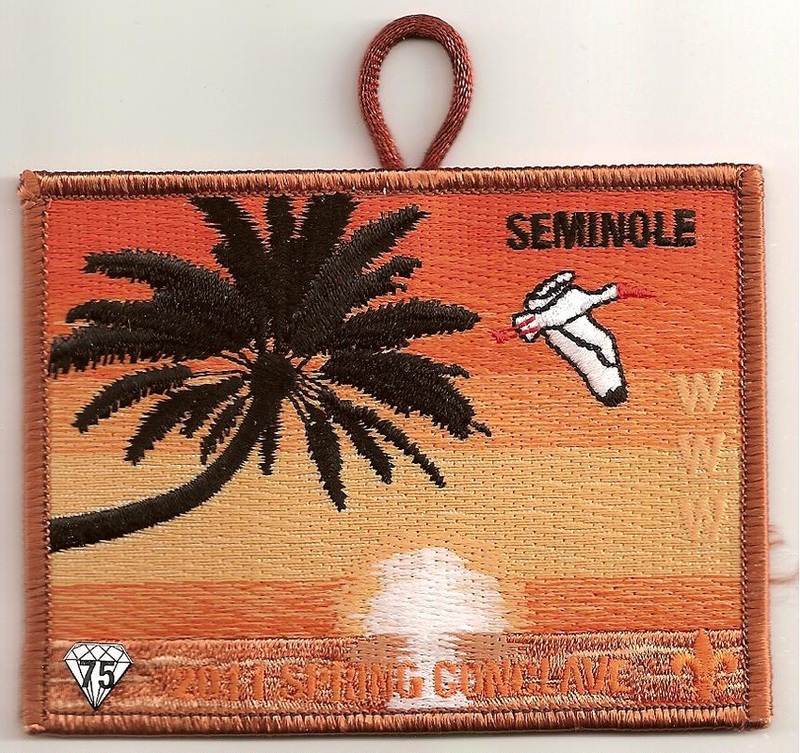 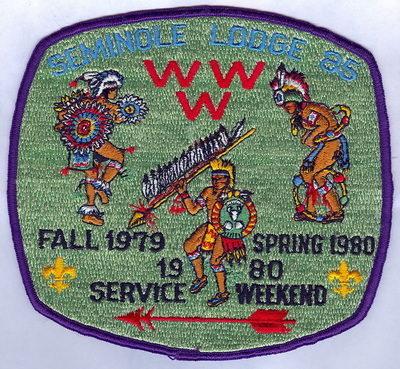 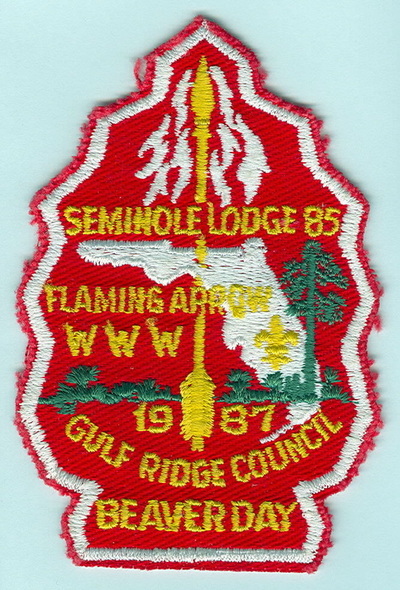 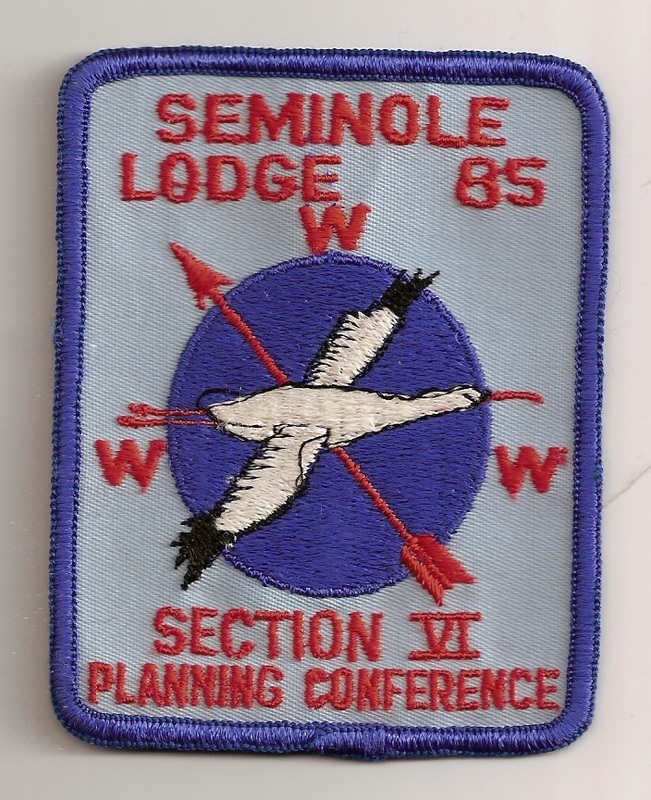 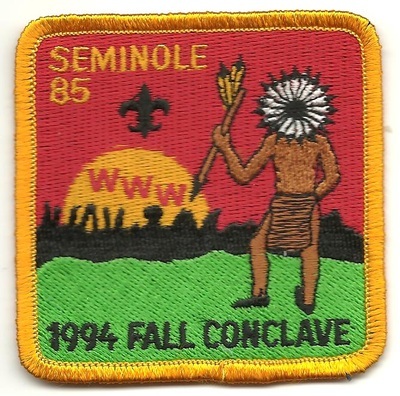 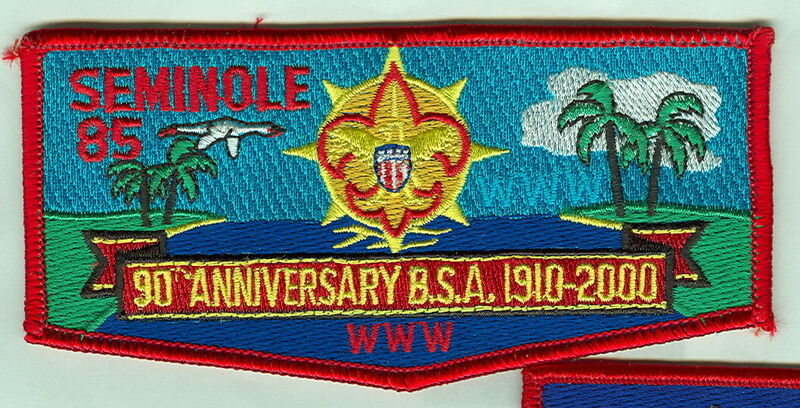 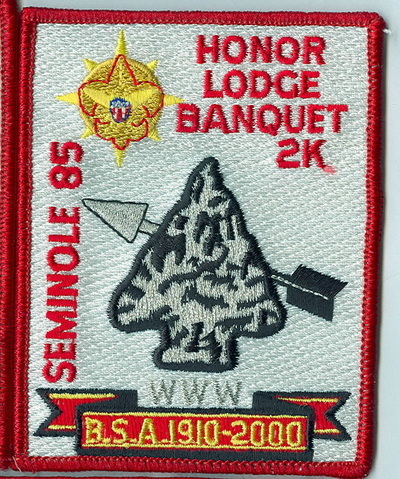 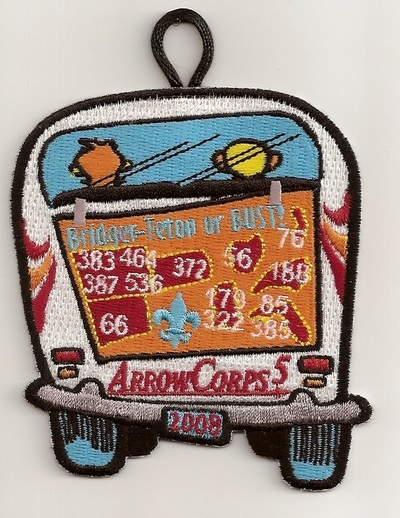 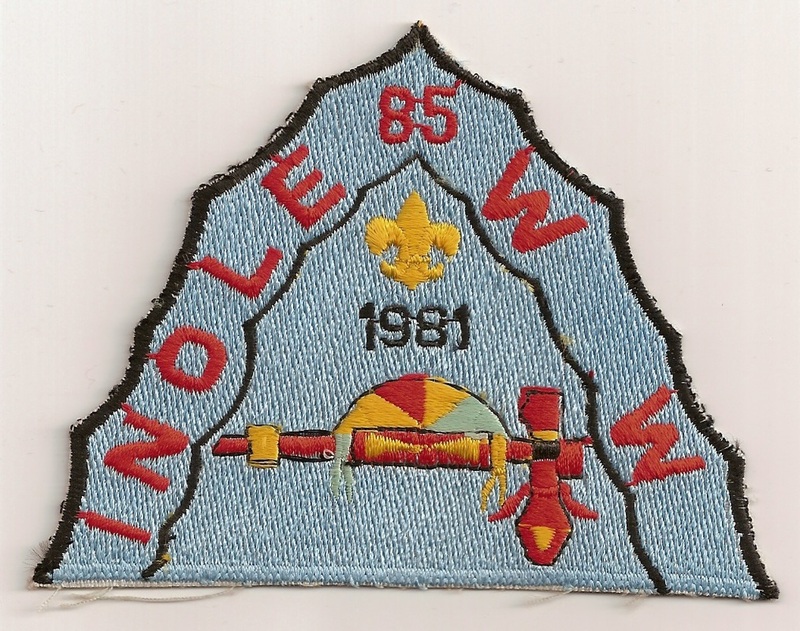 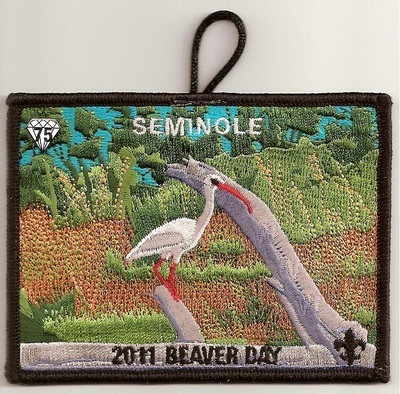 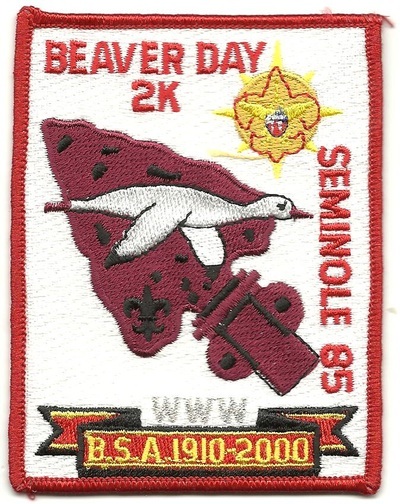 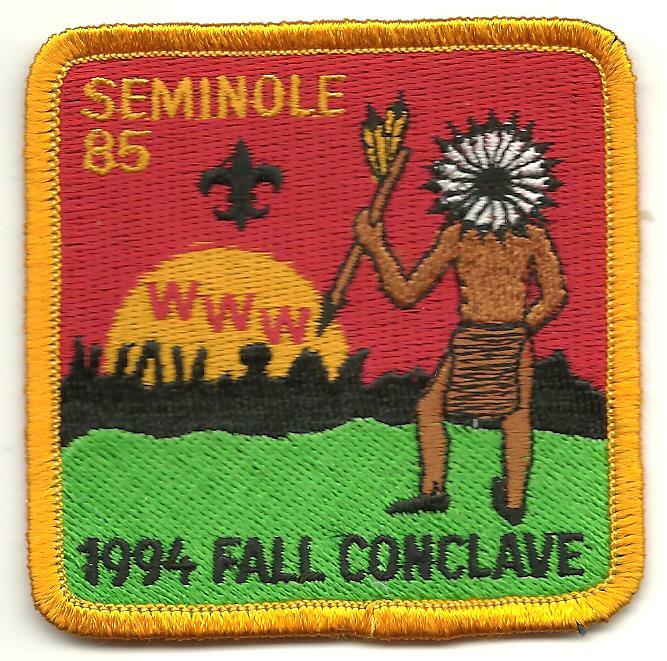 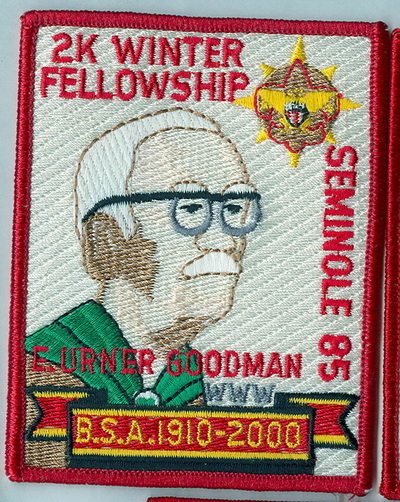 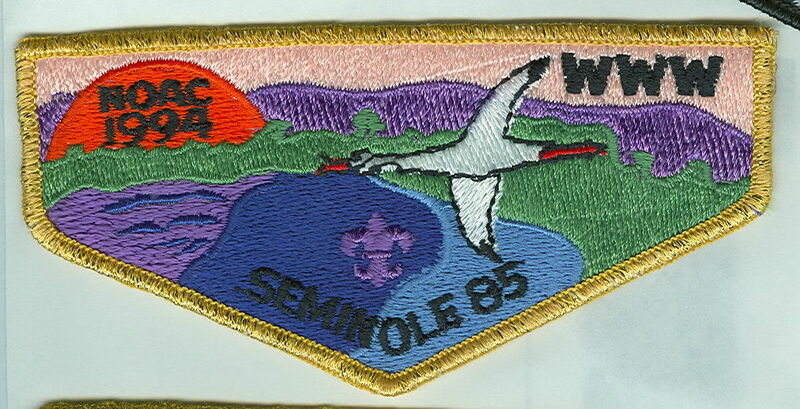 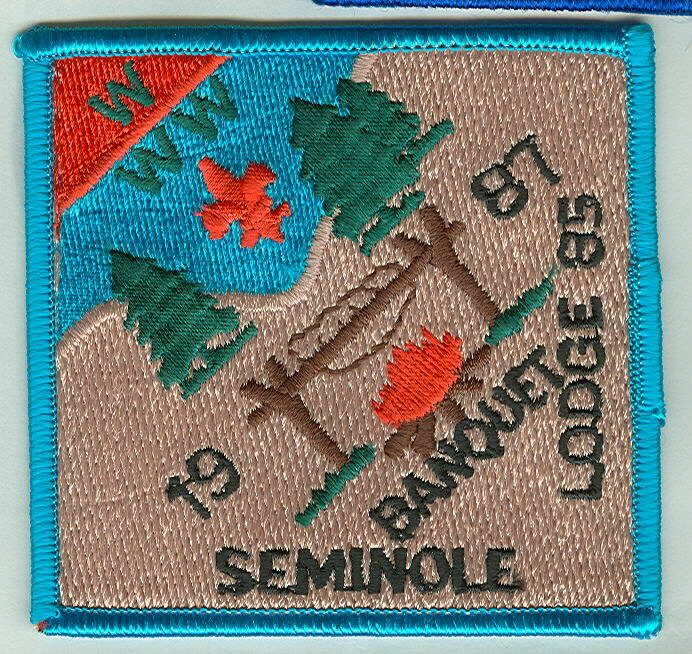 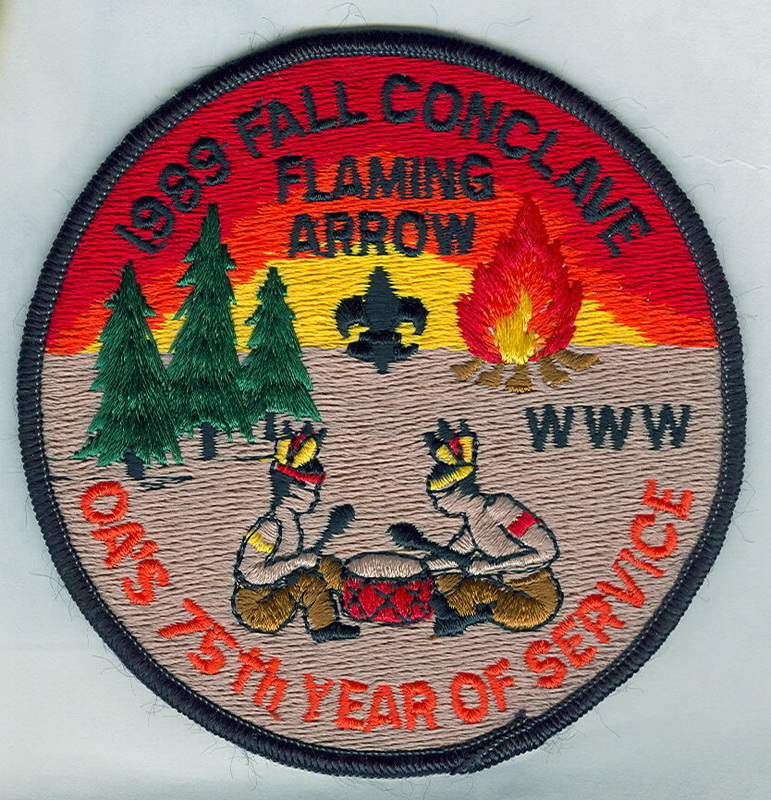 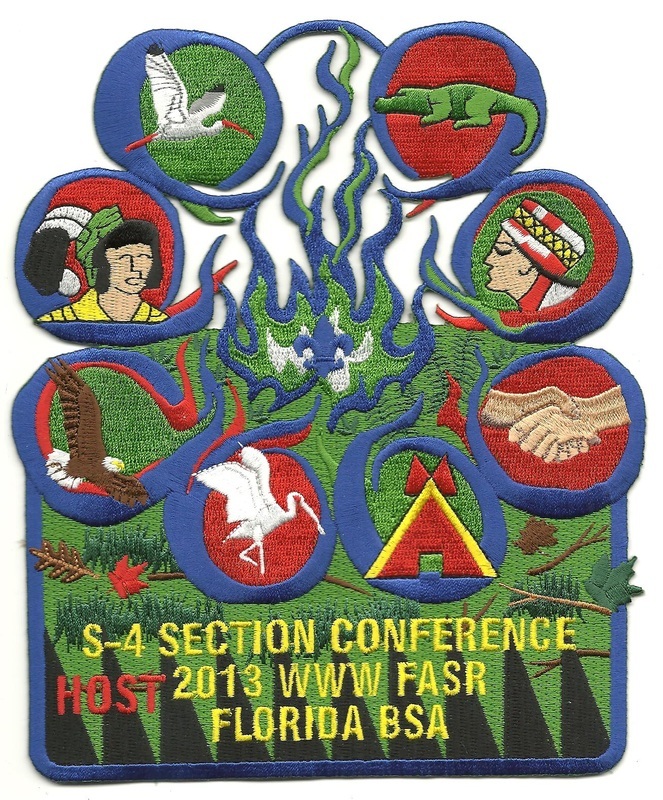 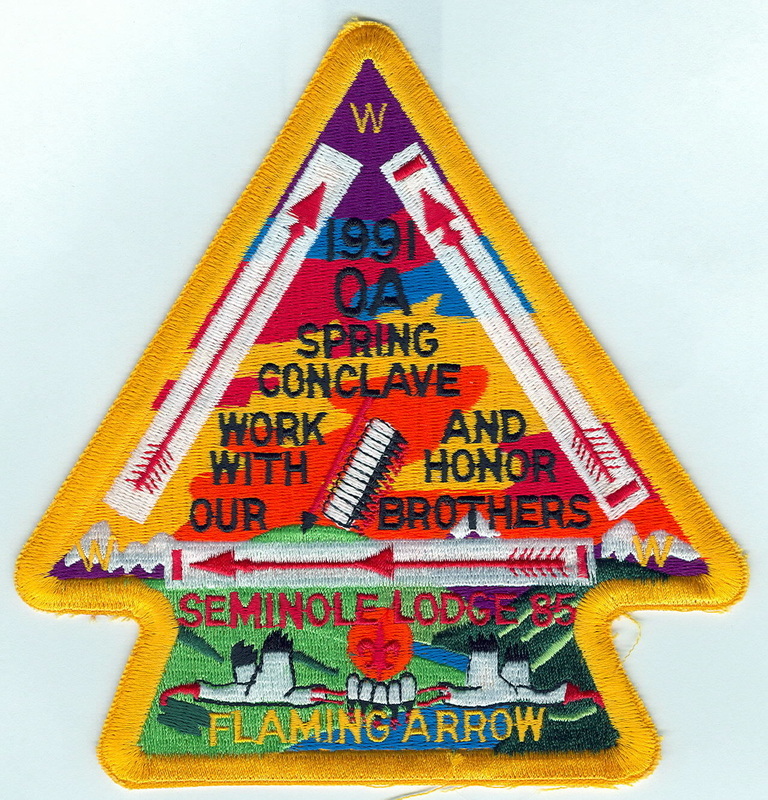 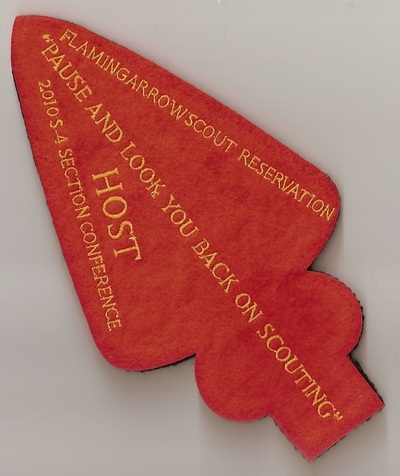 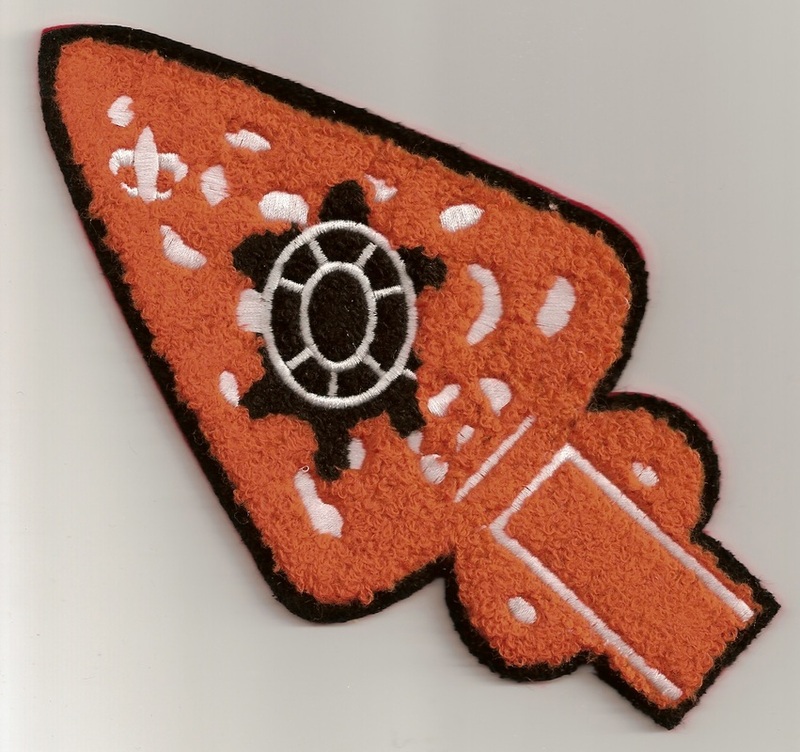 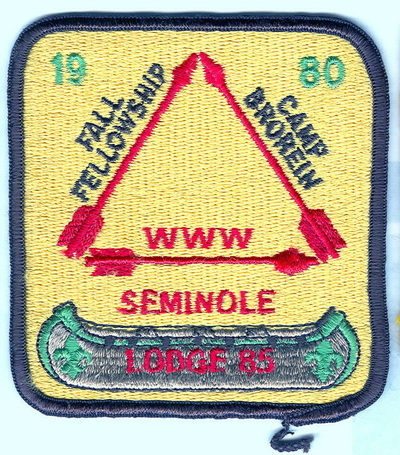 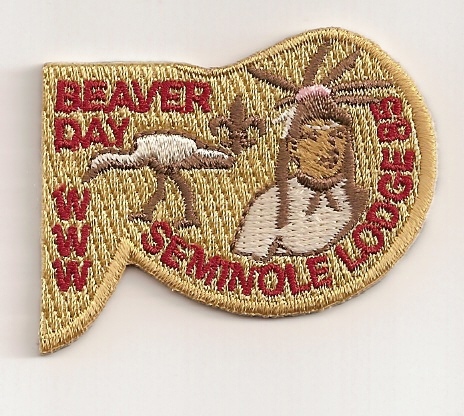 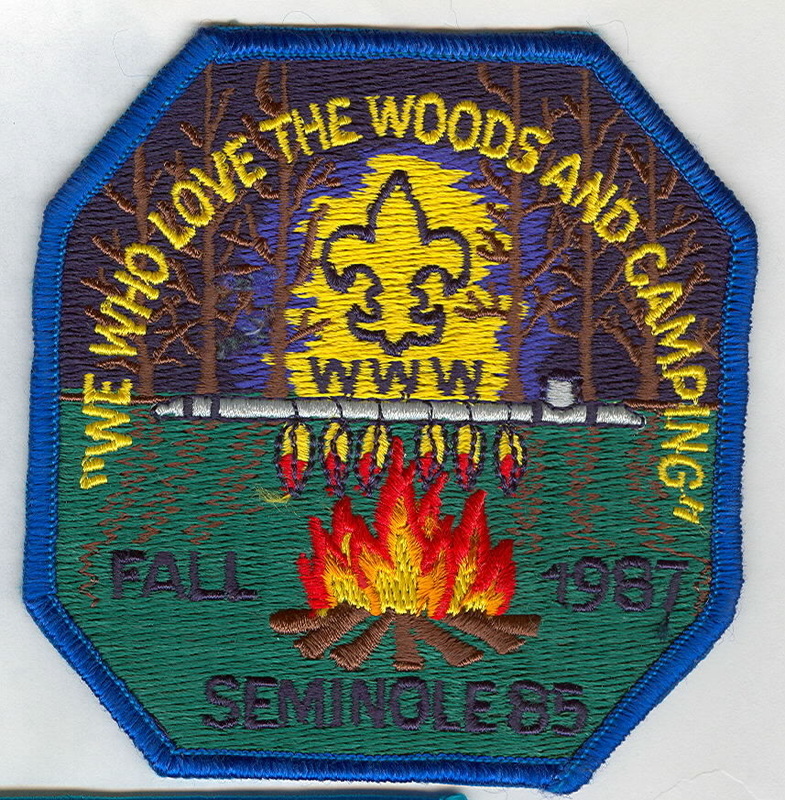 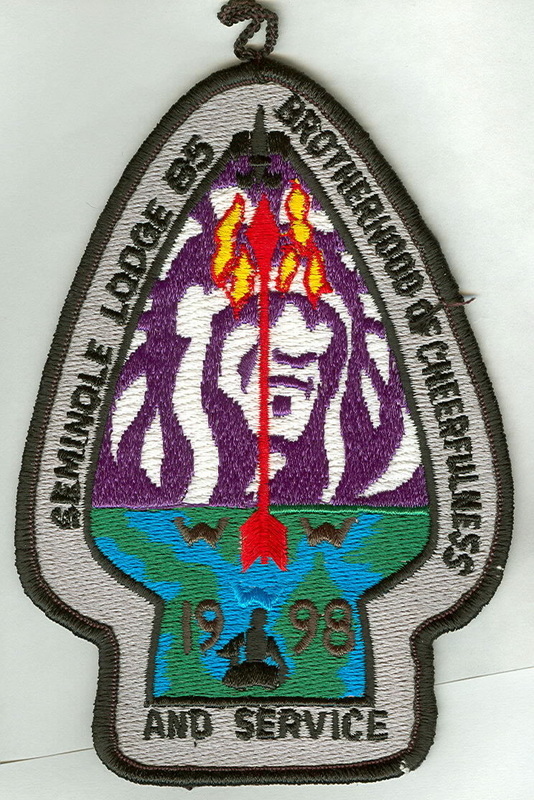 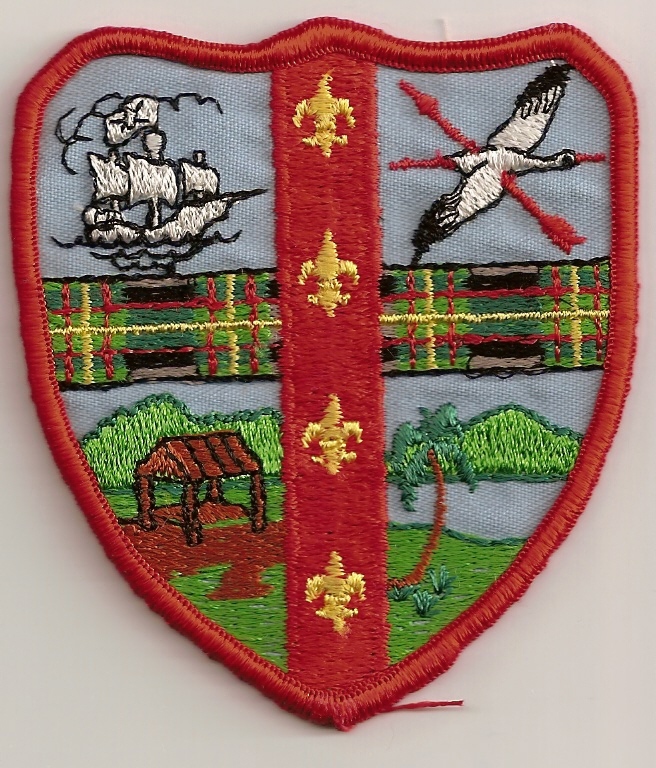 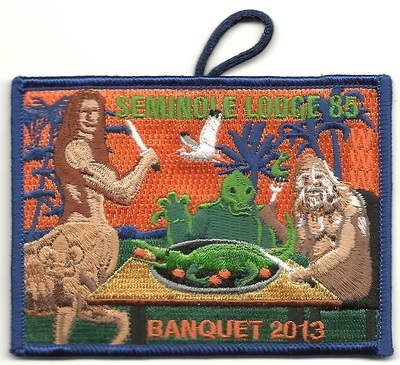 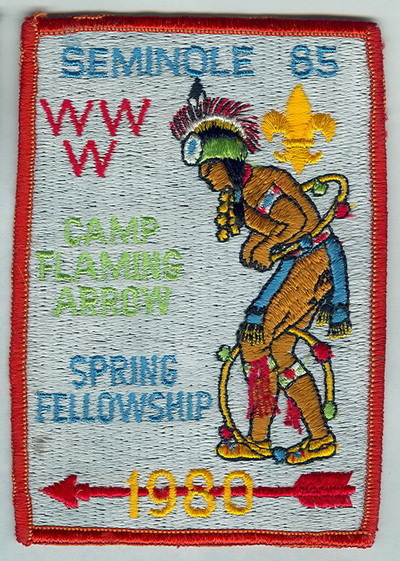 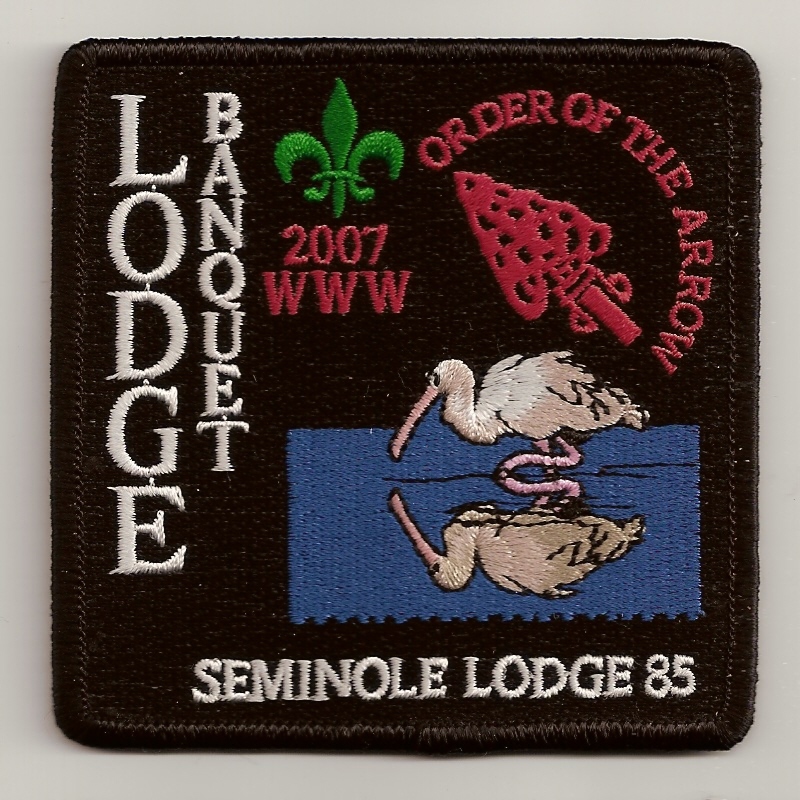 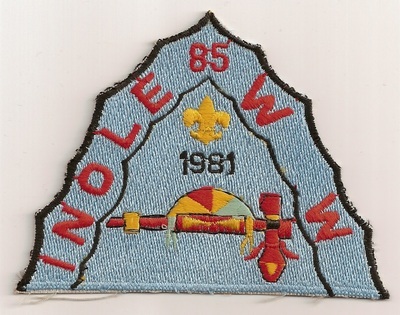 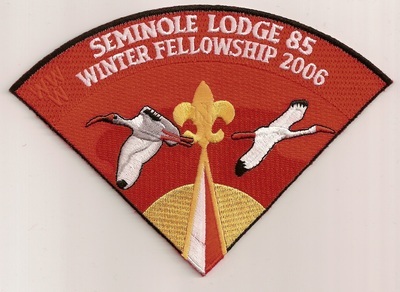 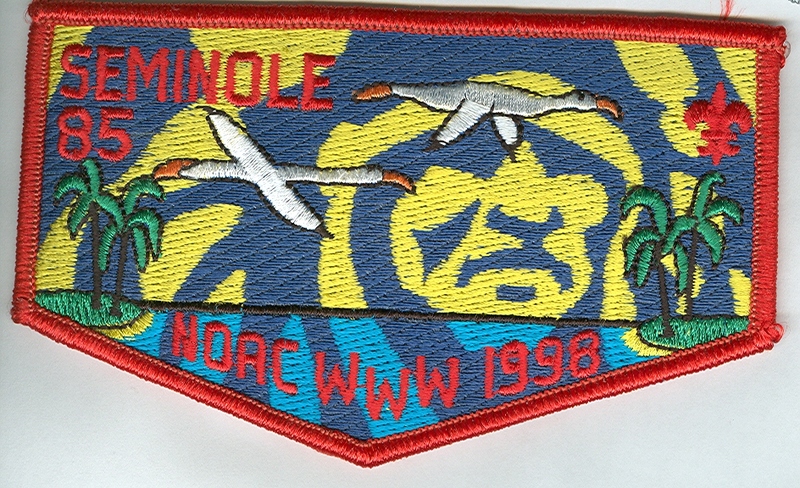 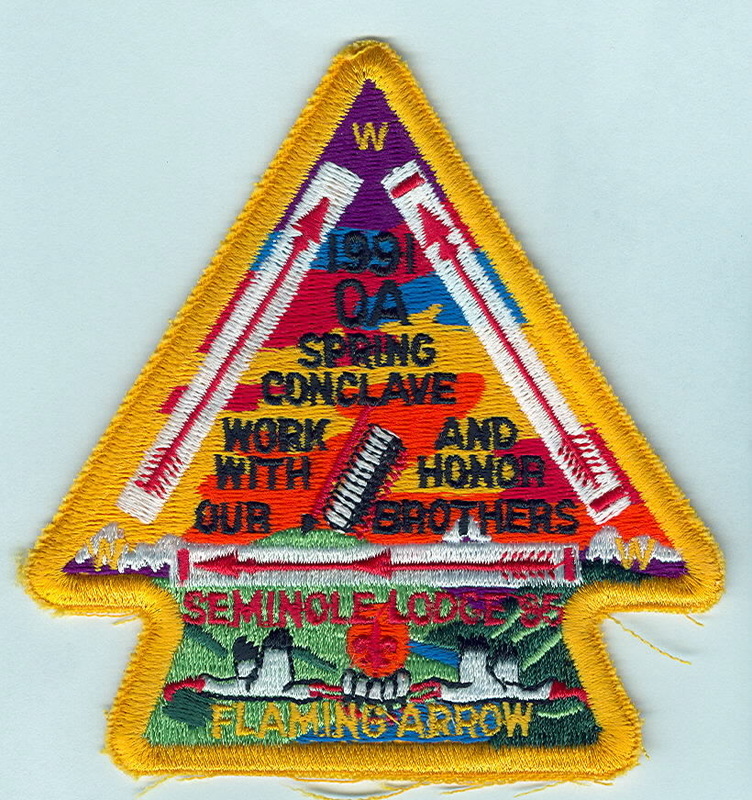 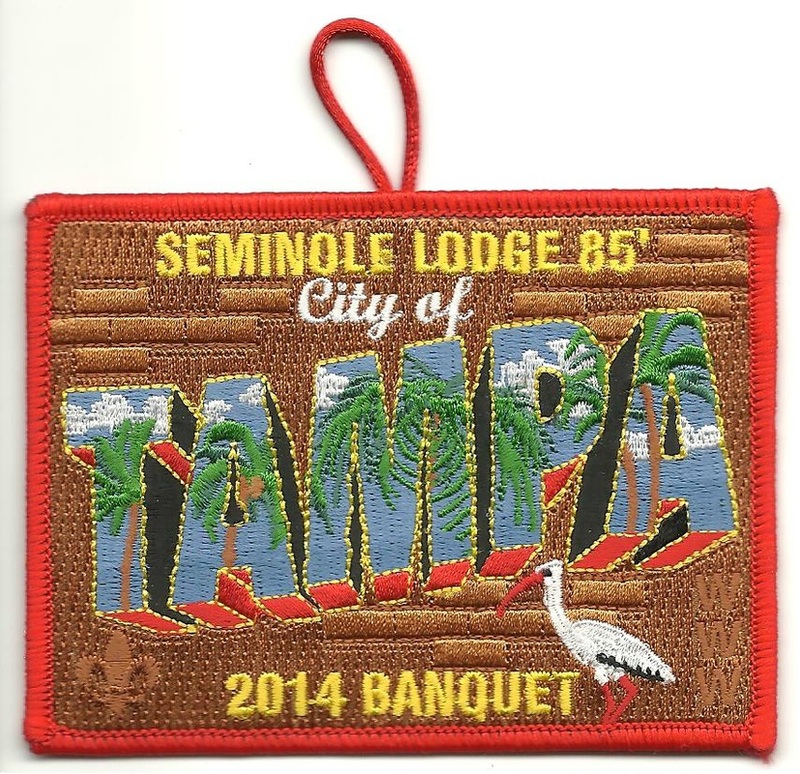 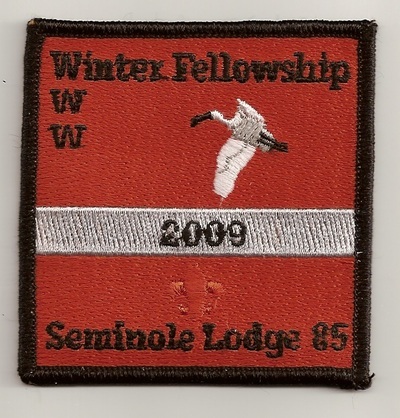 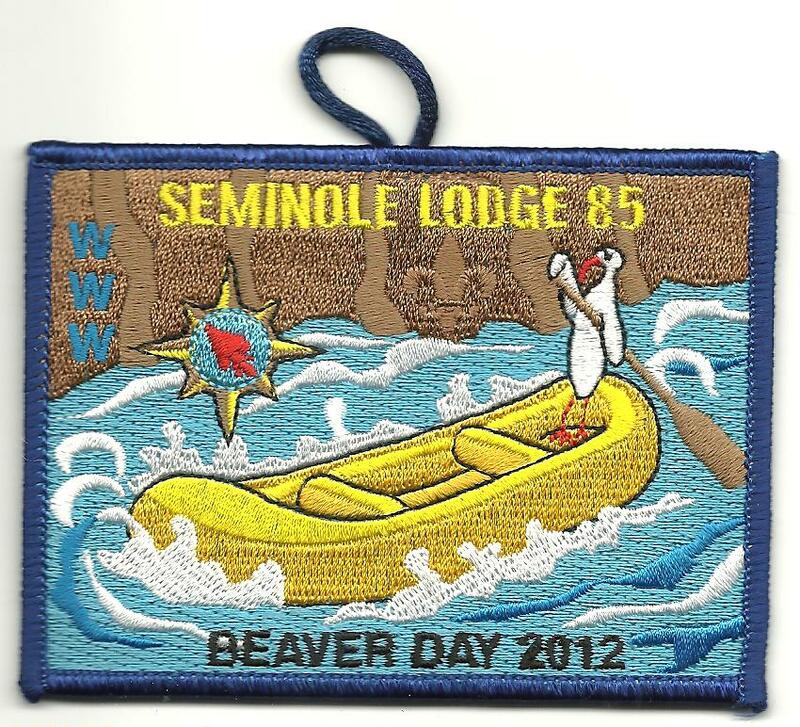 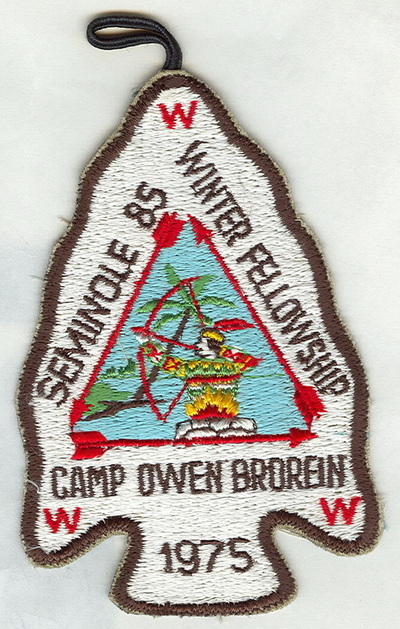 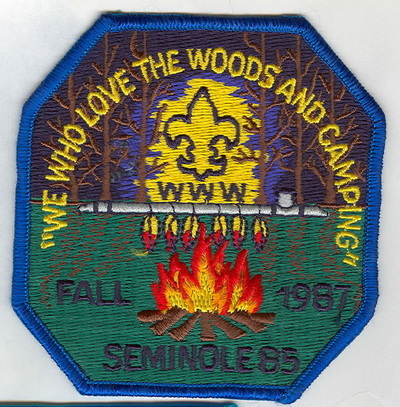 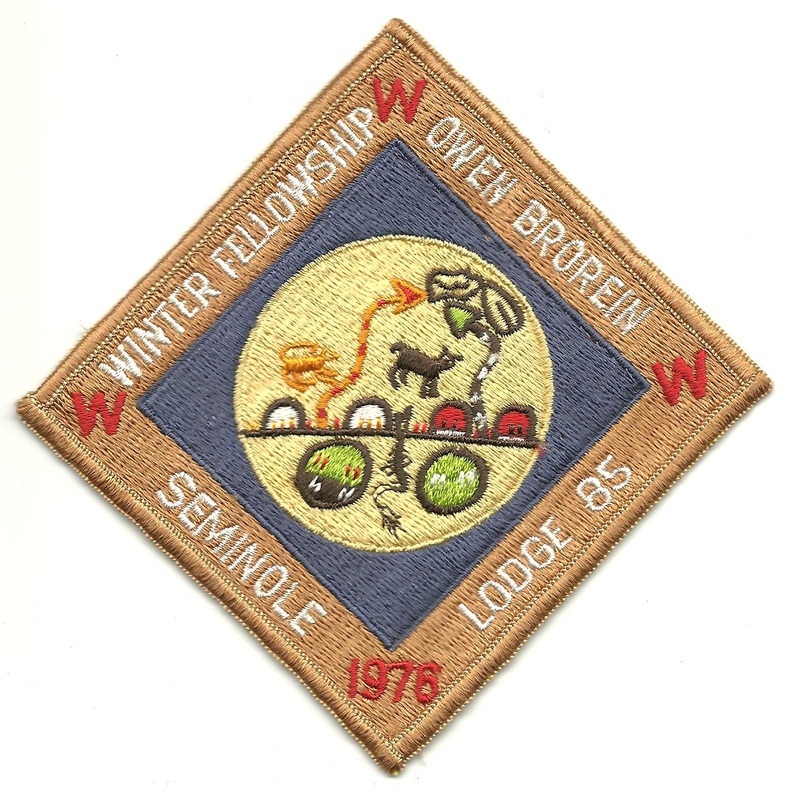 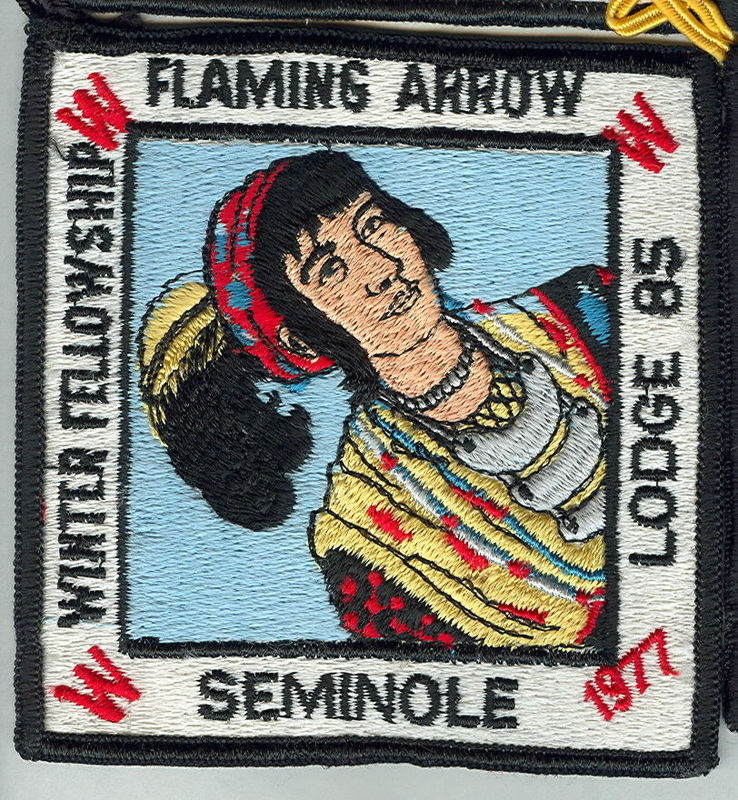 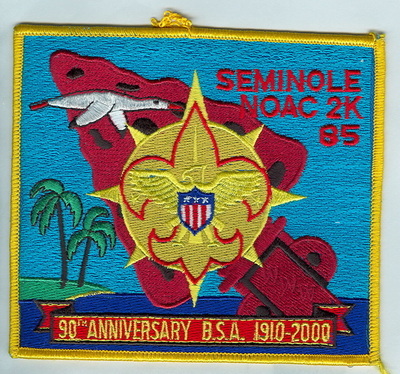 > Activities held at Flaming Arrow Scout Reservation (Lake Wales); Camp Owen Brorein (Tampa). 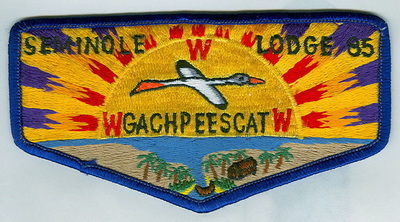 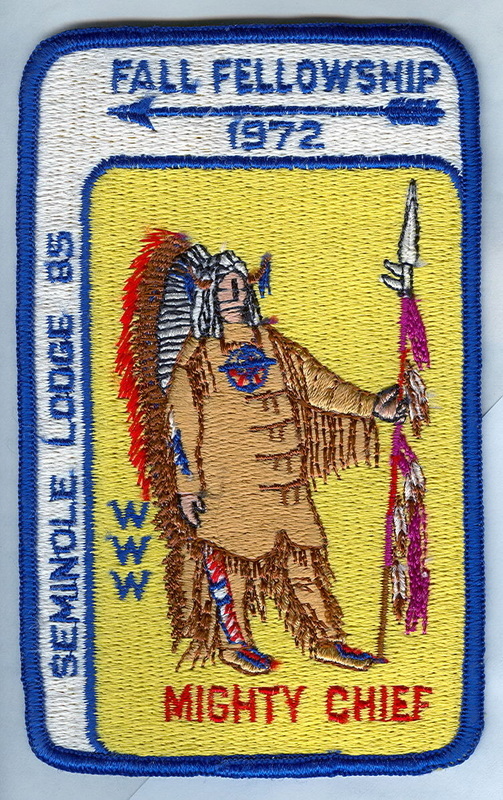 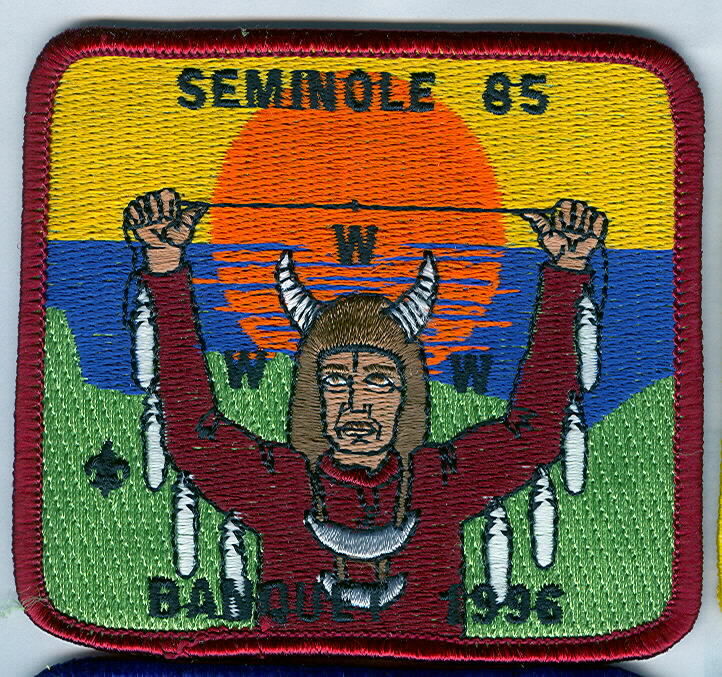 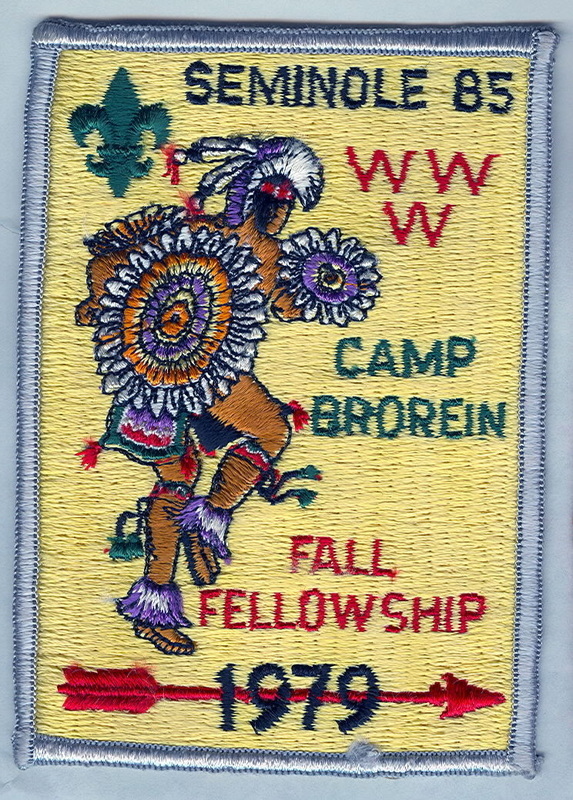 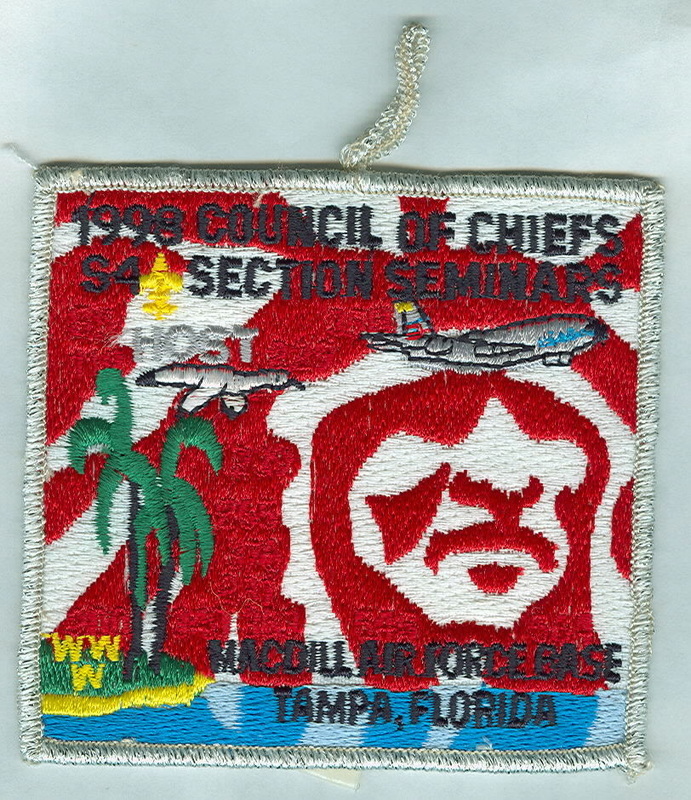 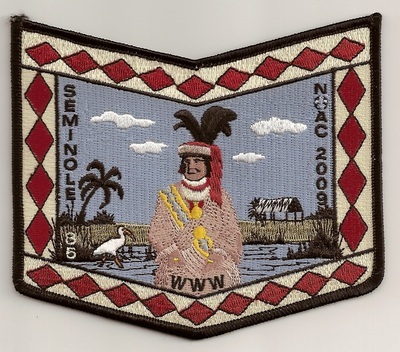 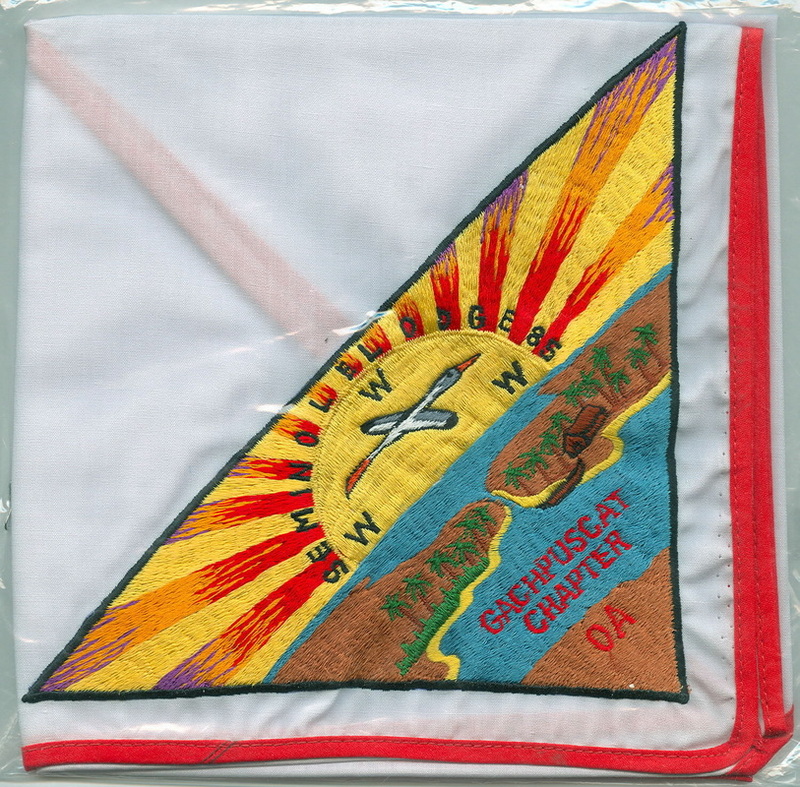 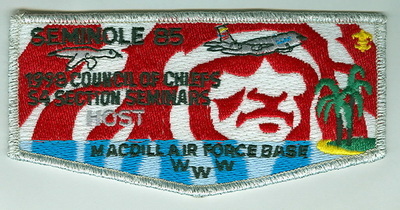 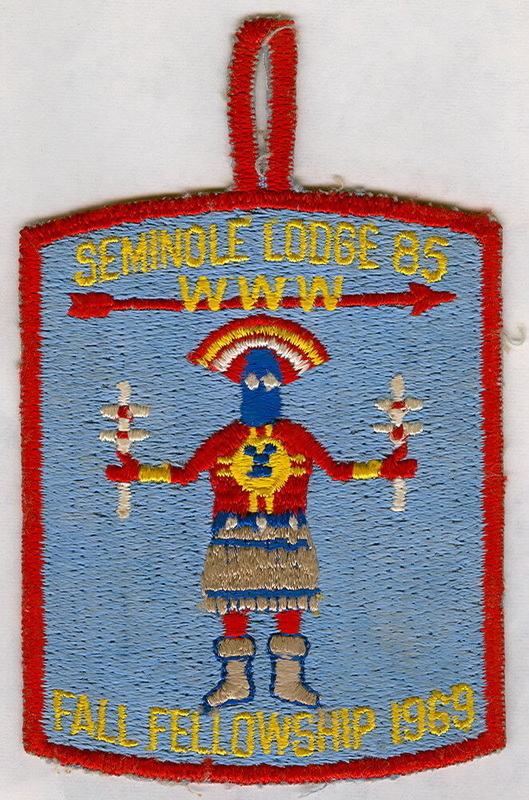 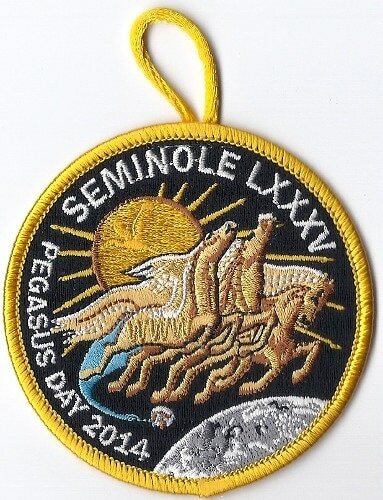 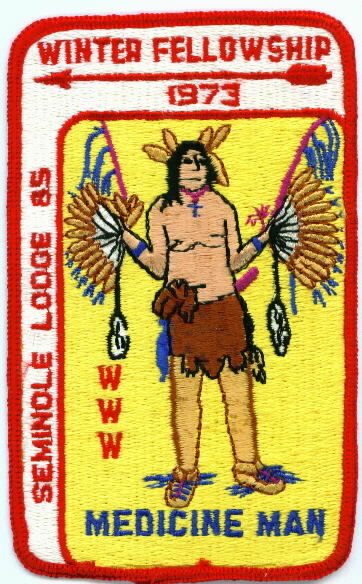 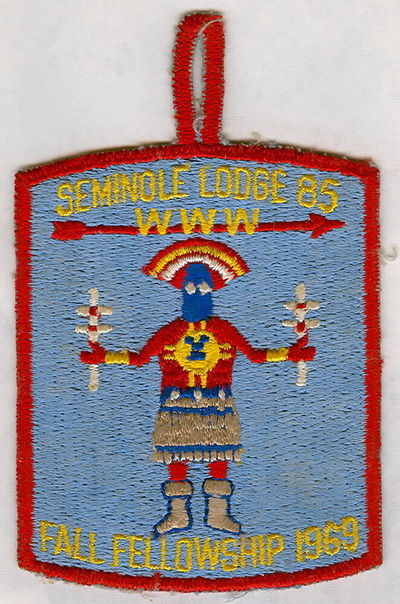 085-S-43 2003; HOME OF THE NATIONAL CHIEF; GMY border; given away by Nick Digirolamo; 100 made. 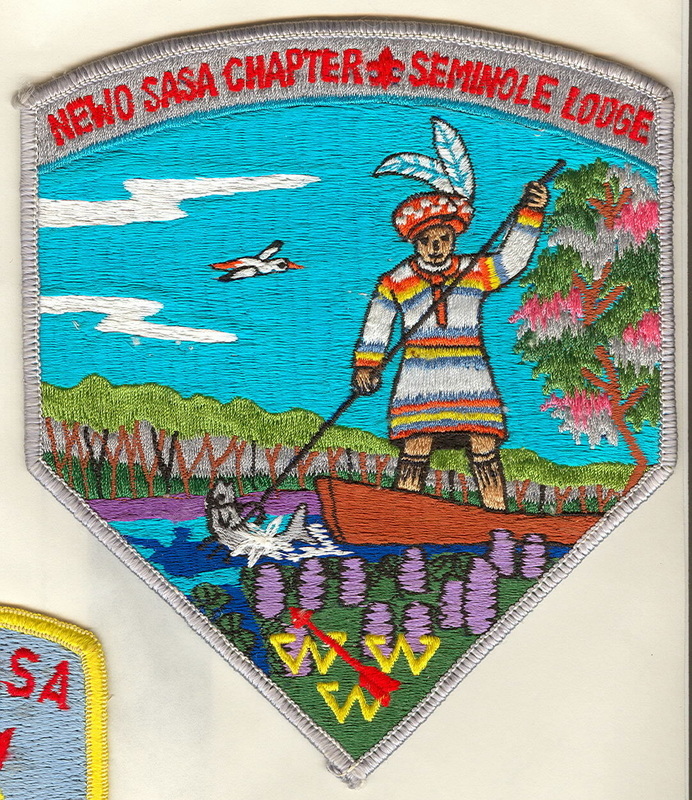 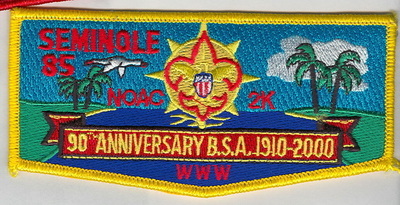 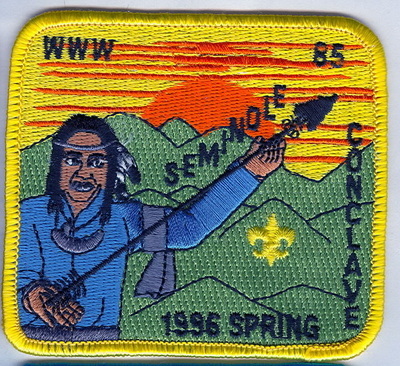 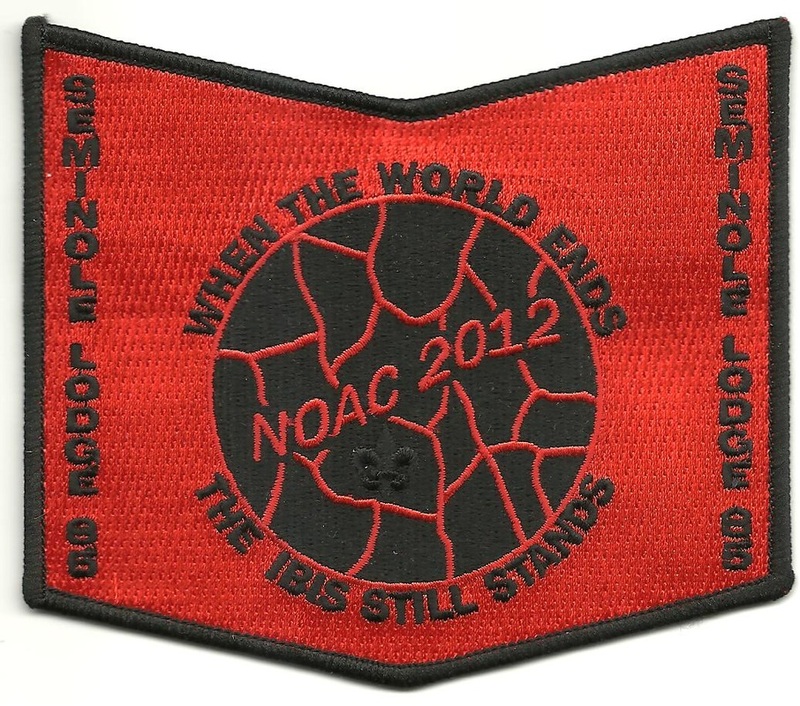 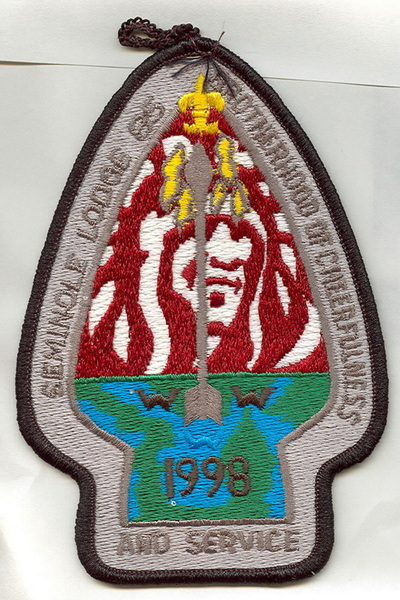 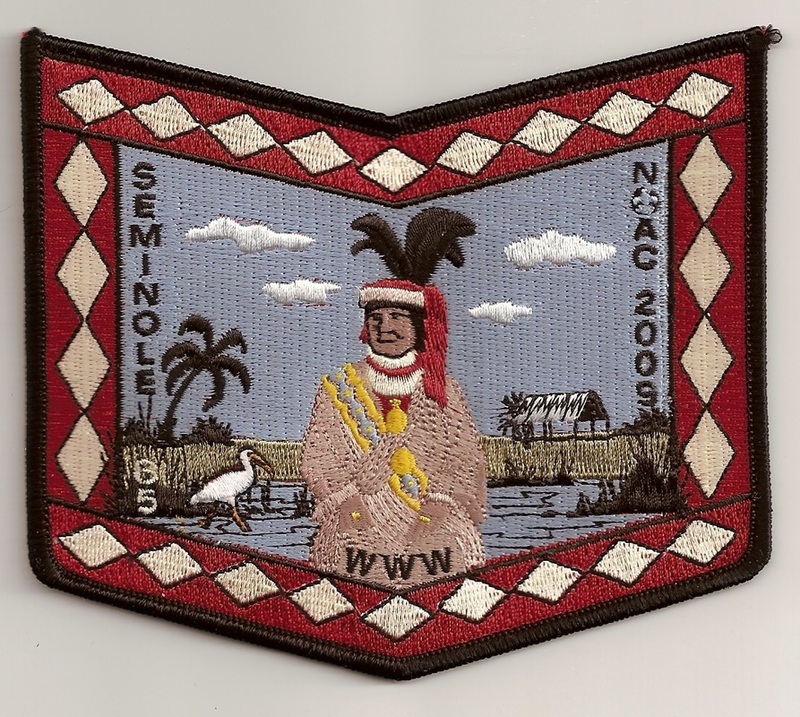 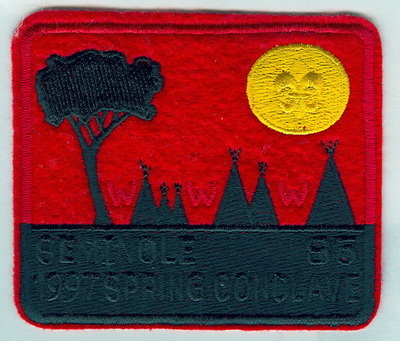 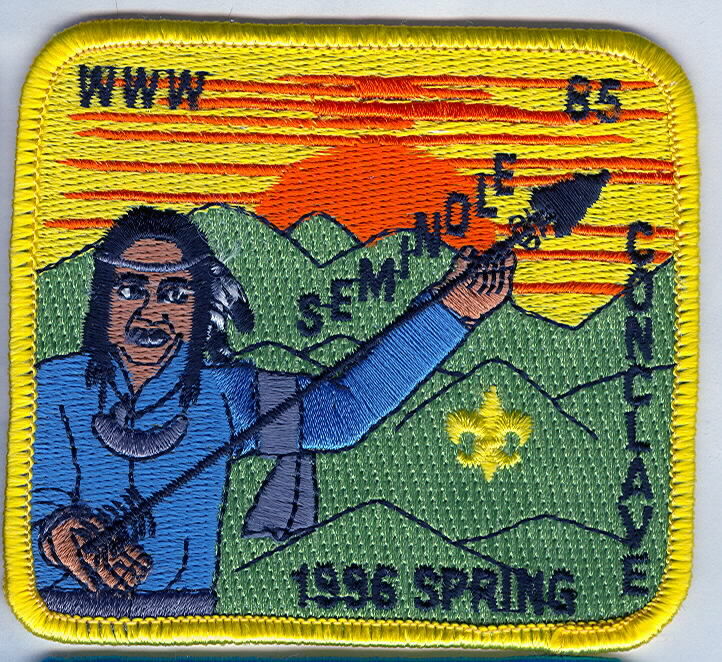 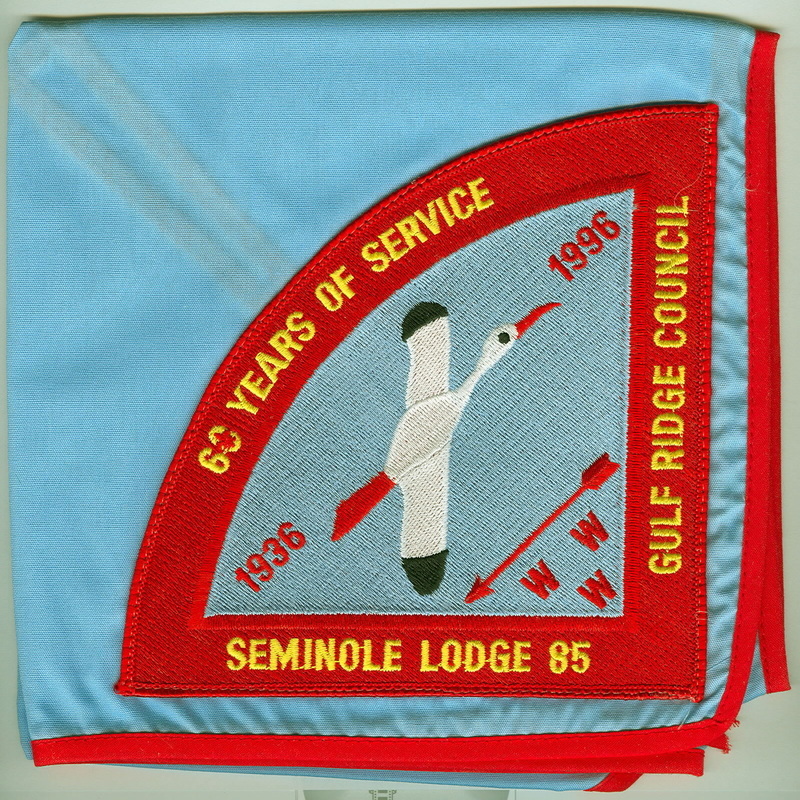 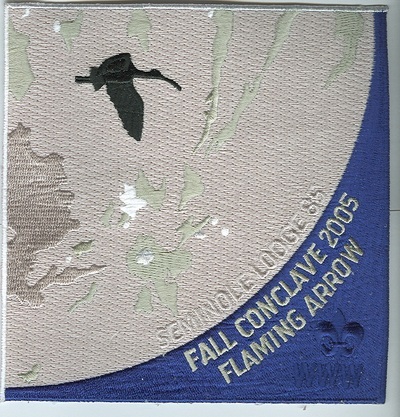 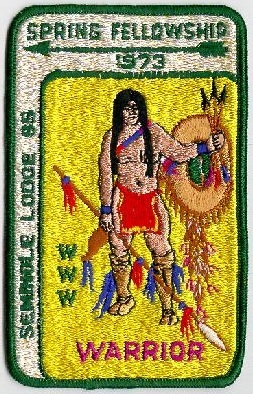 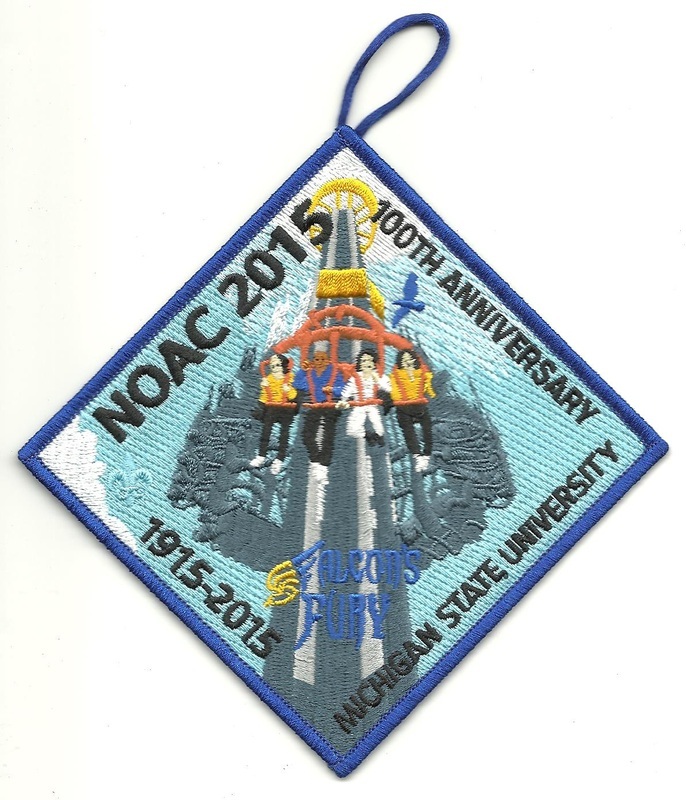 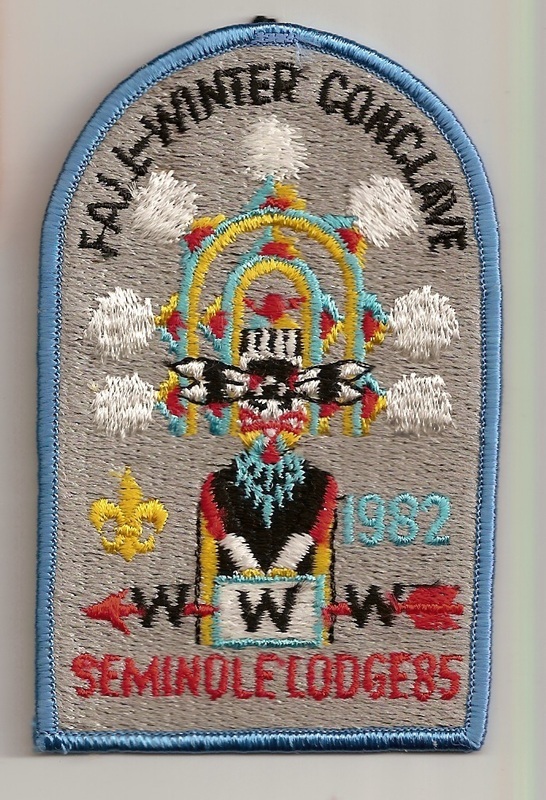 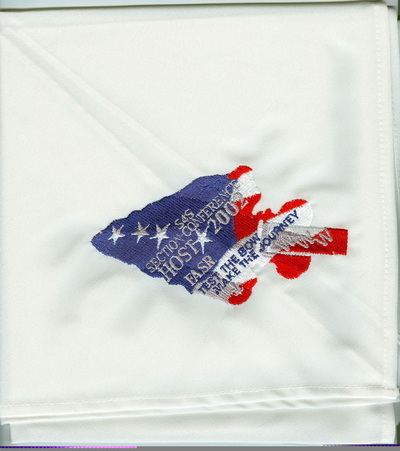 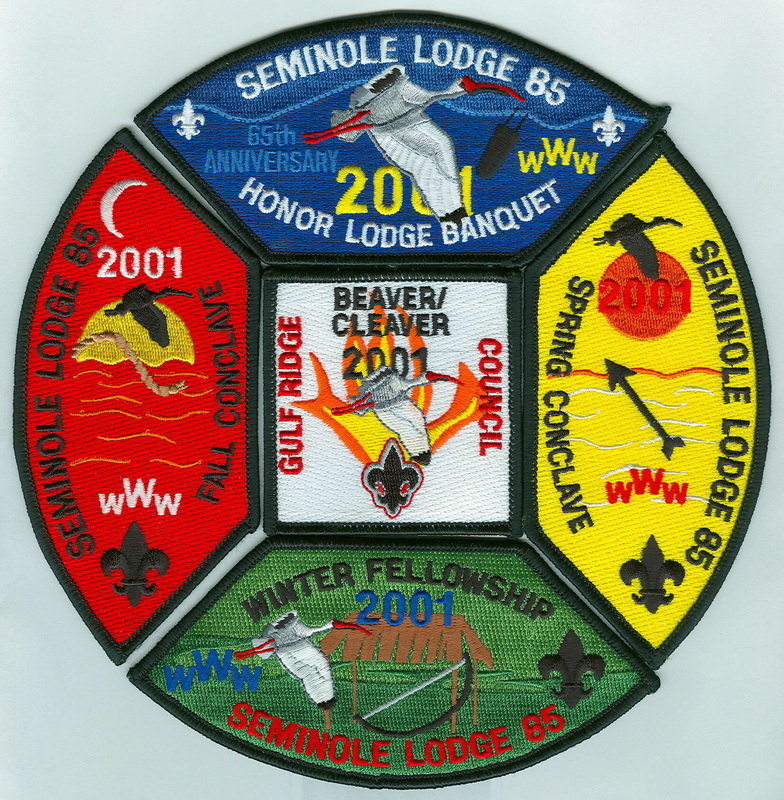 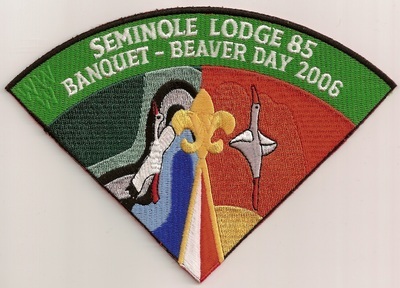 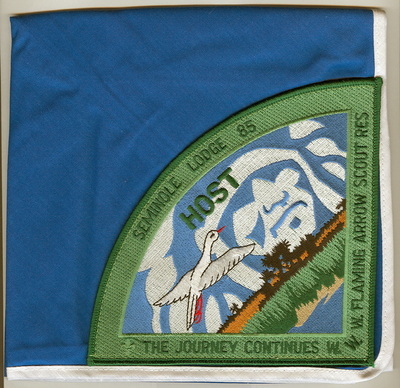 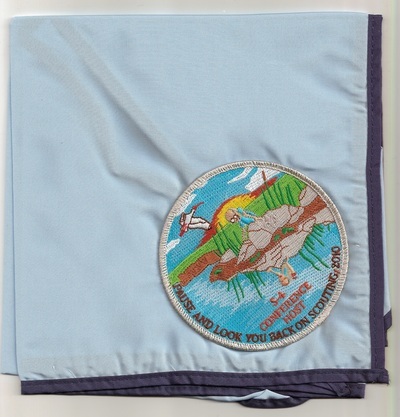 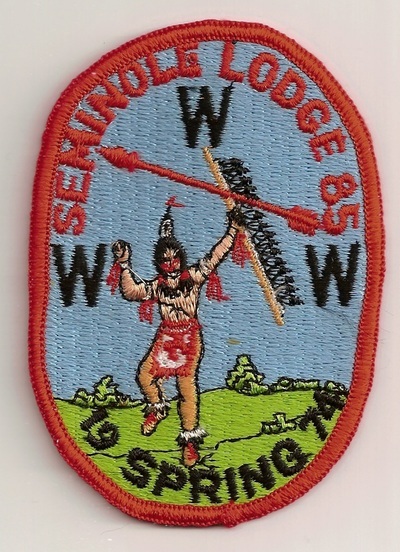 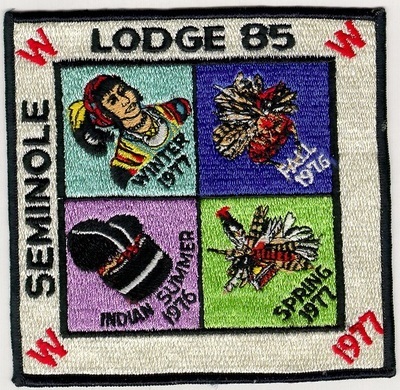 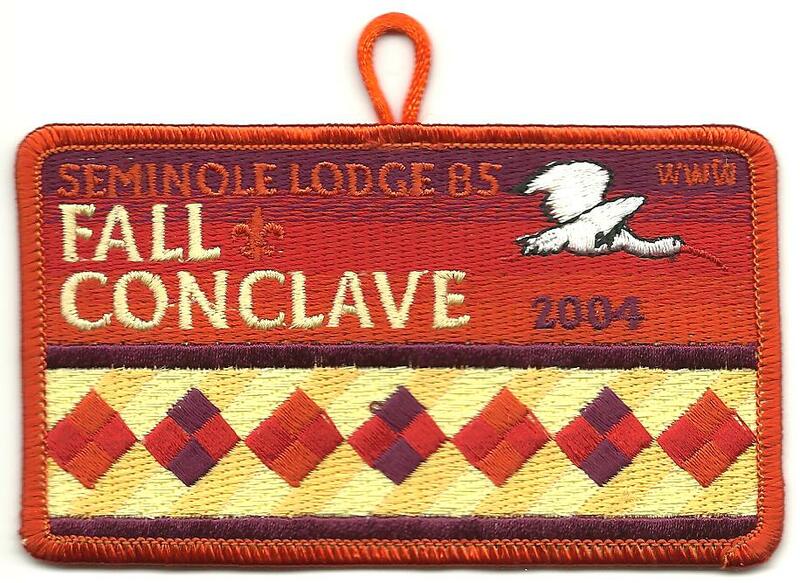 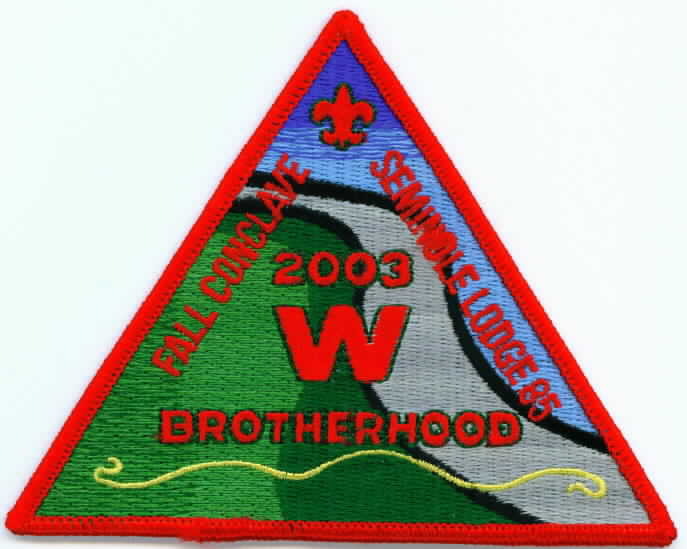 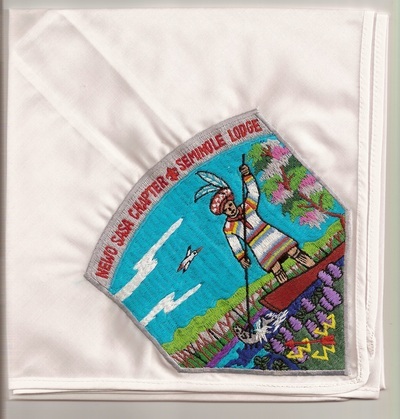 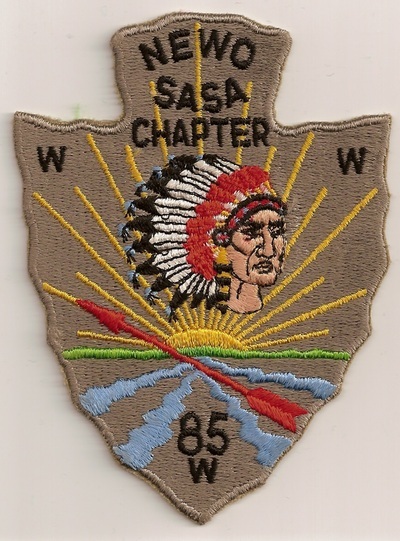 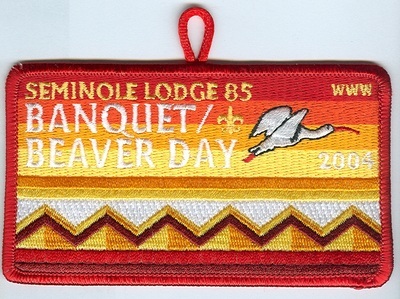 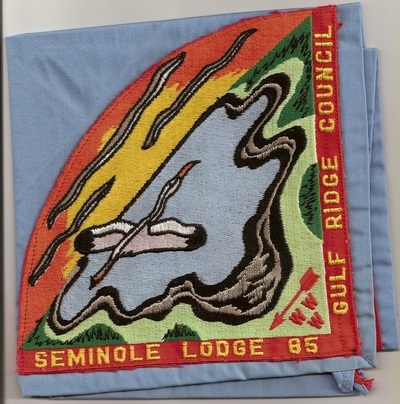 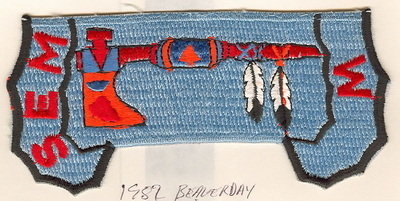 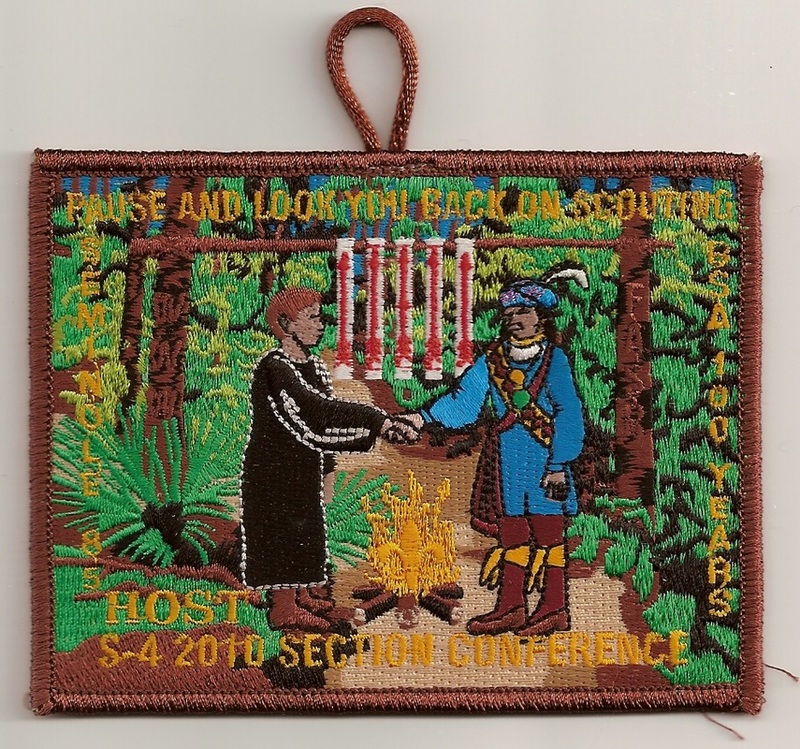 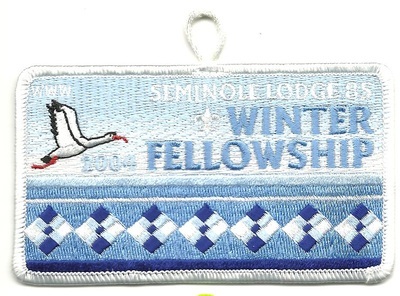 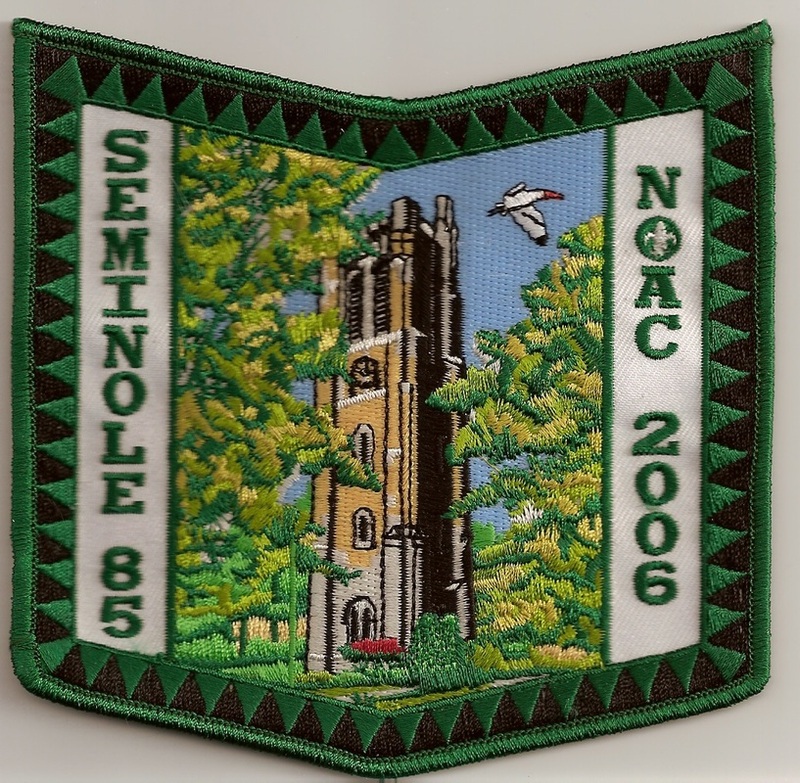 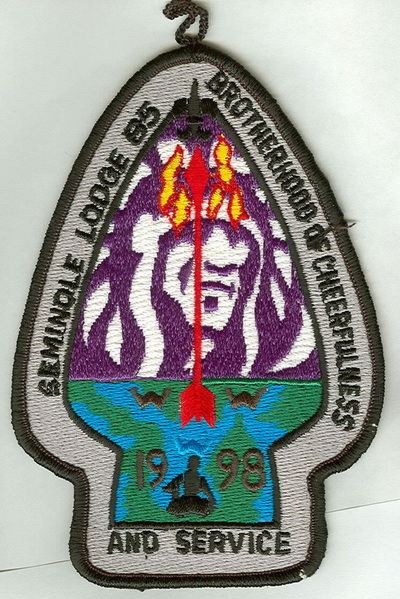 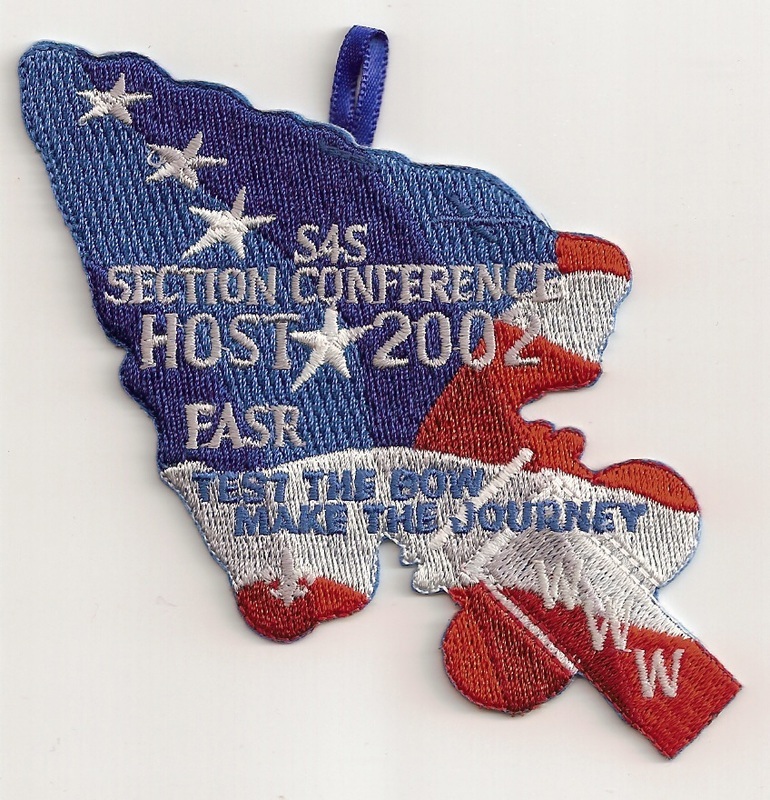 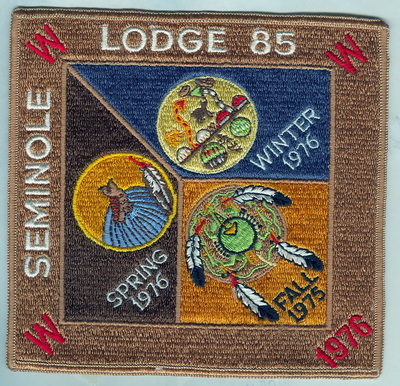 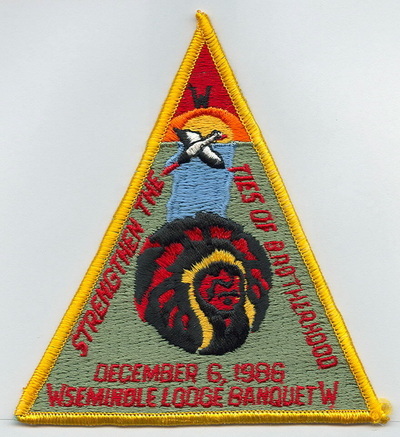 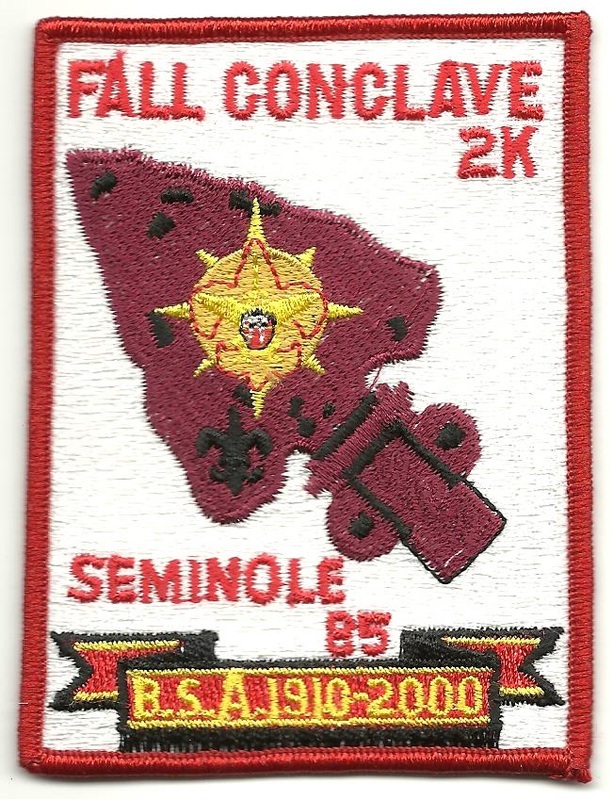 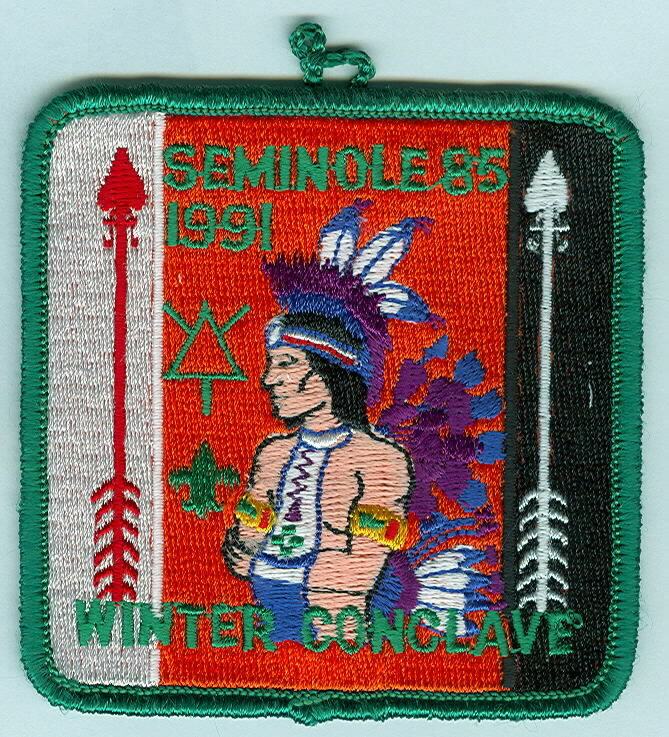 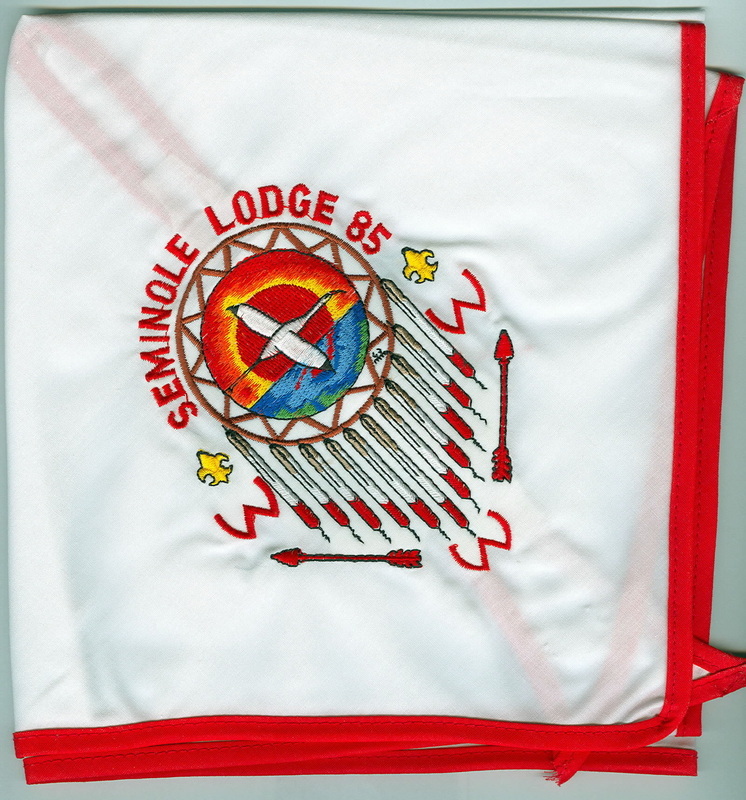 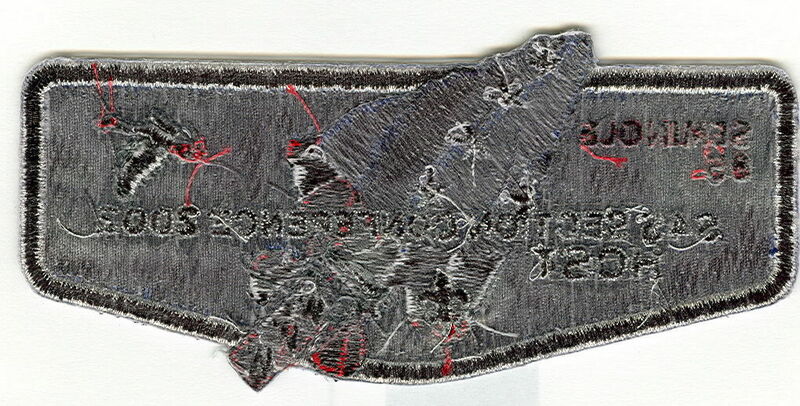 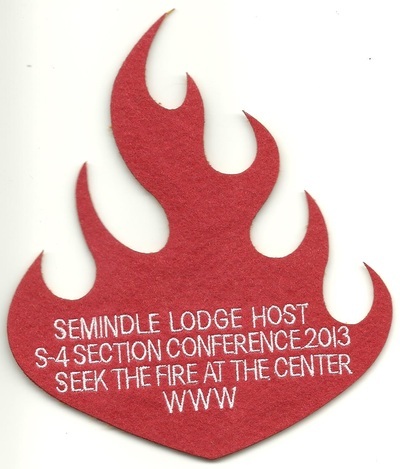 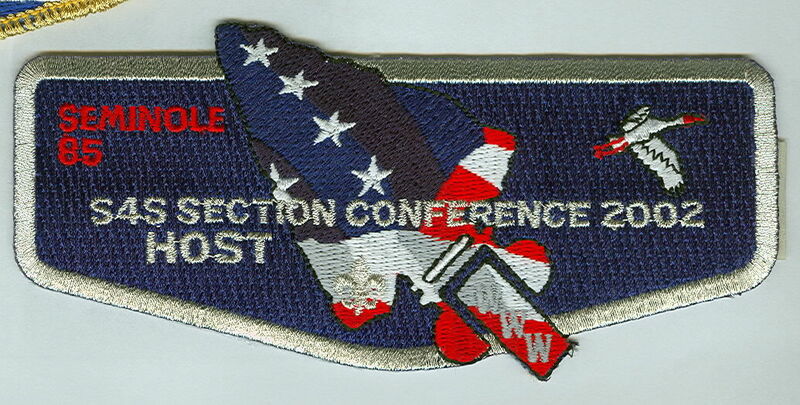 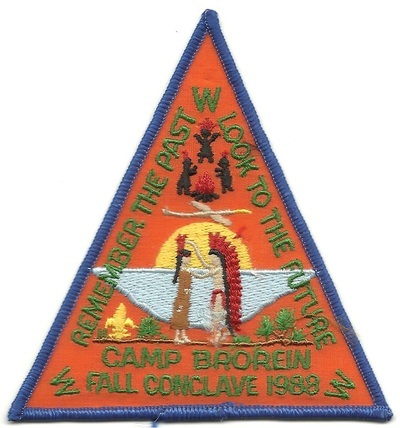 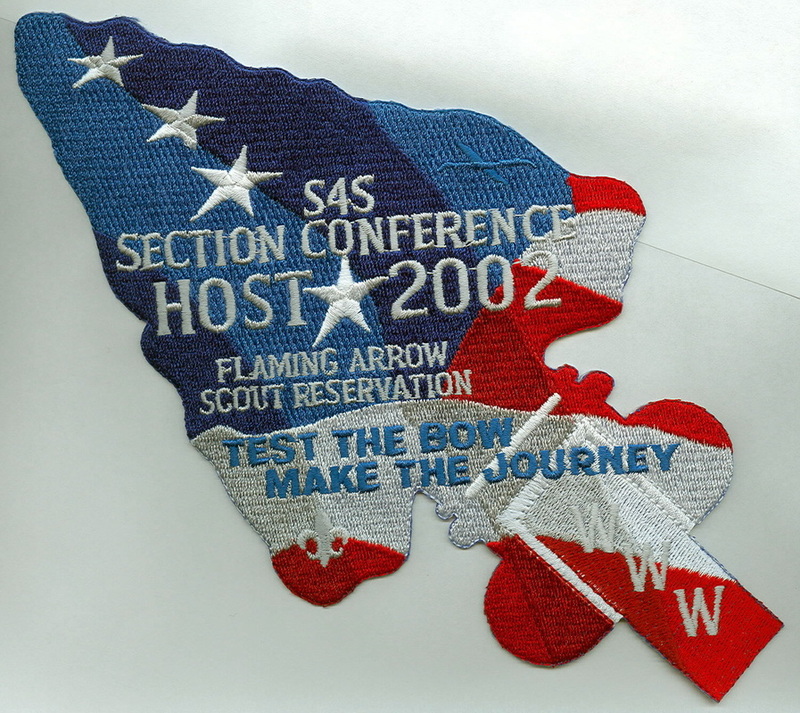 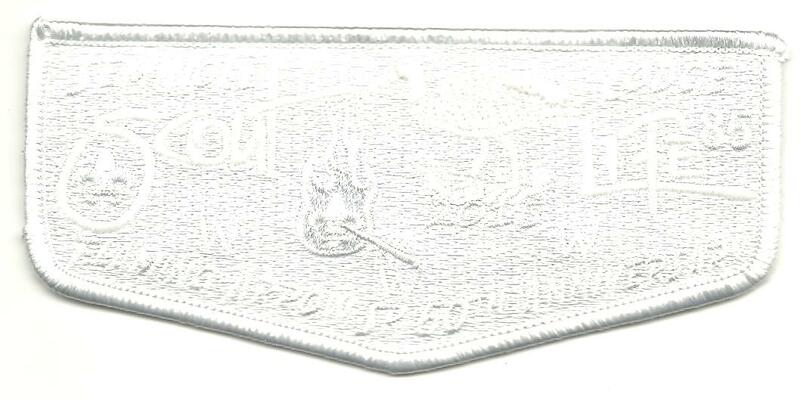 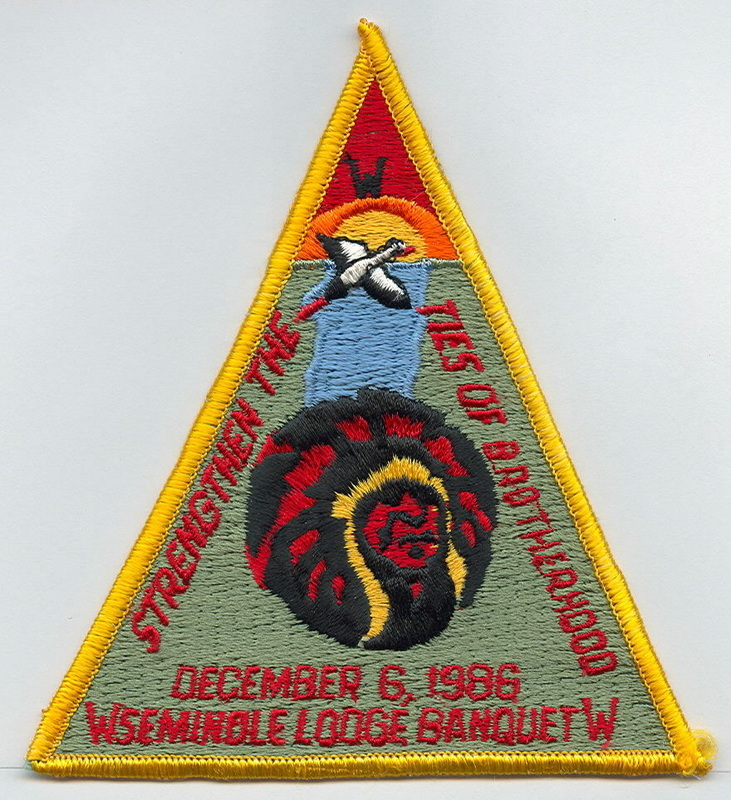 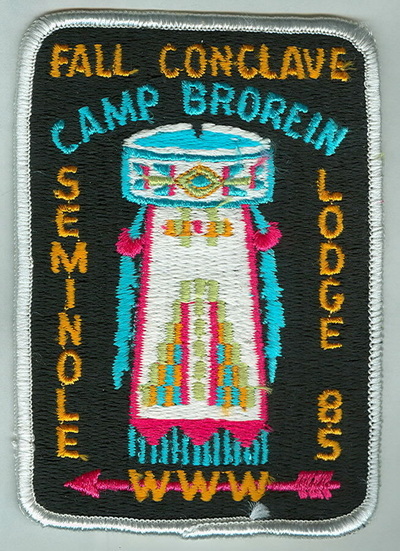 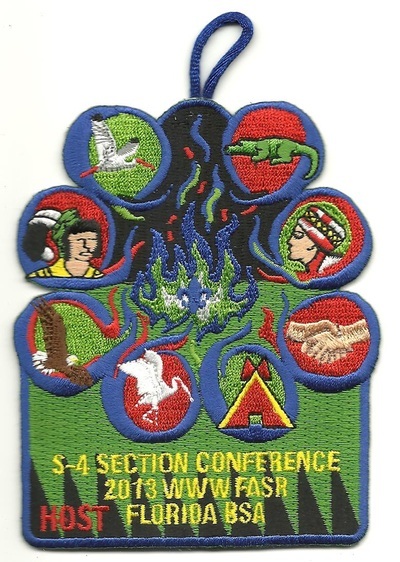 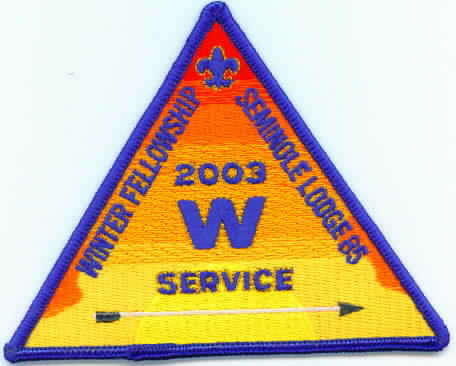 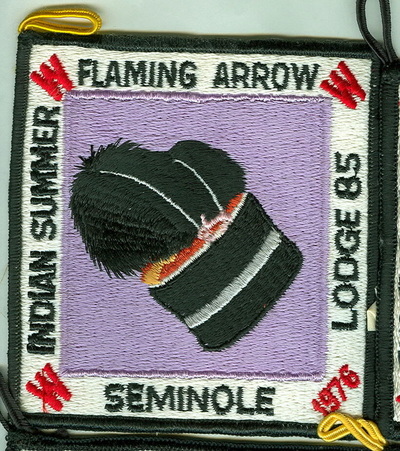 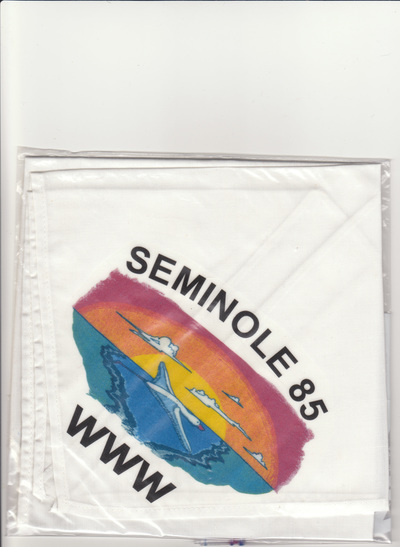 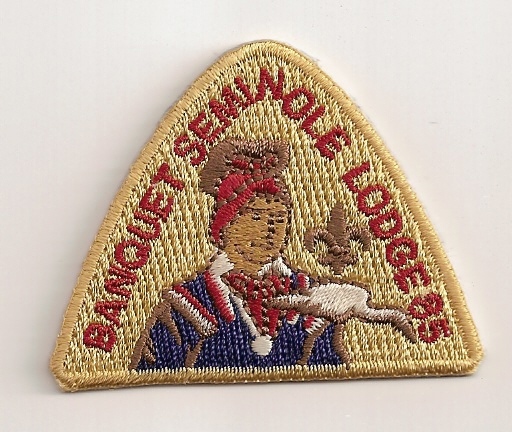 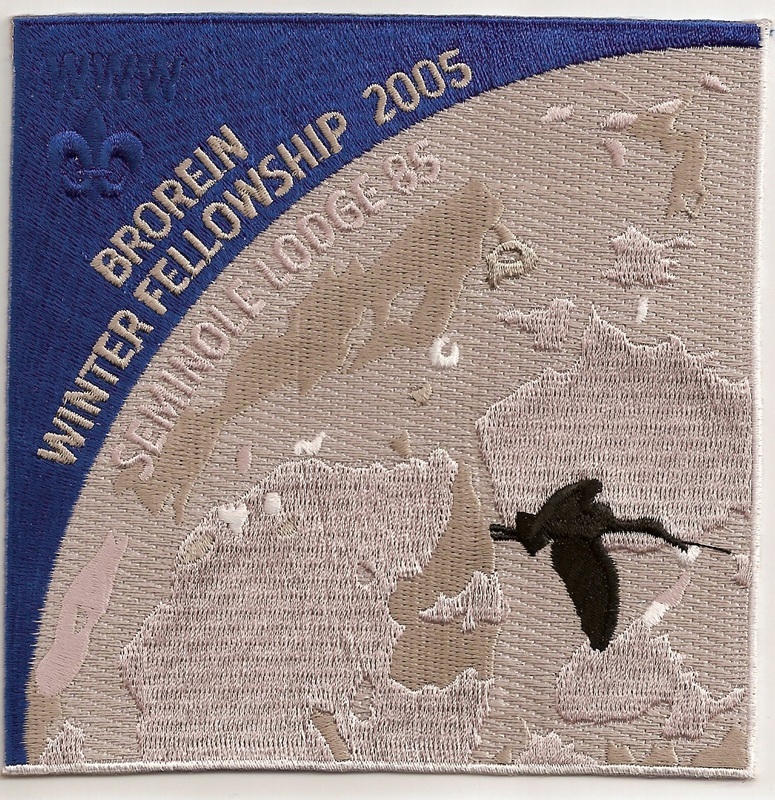 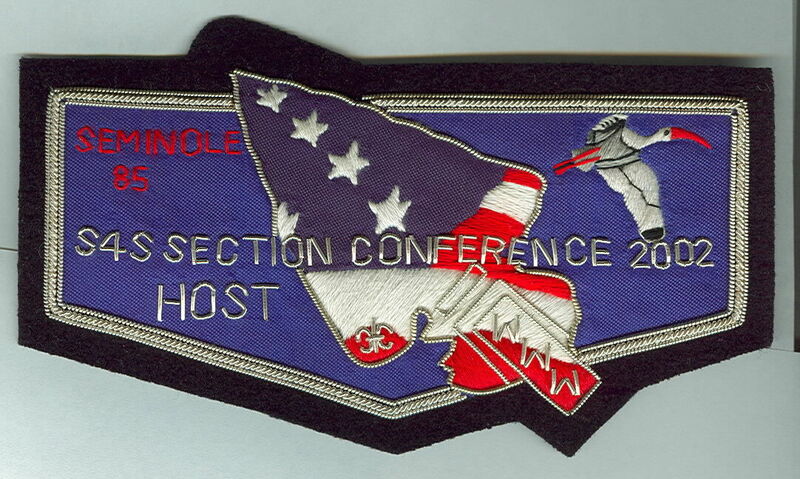 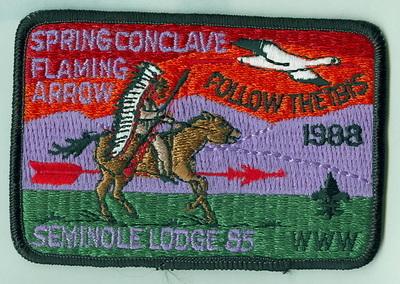 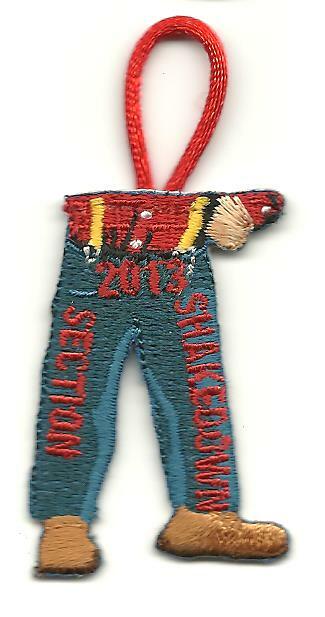 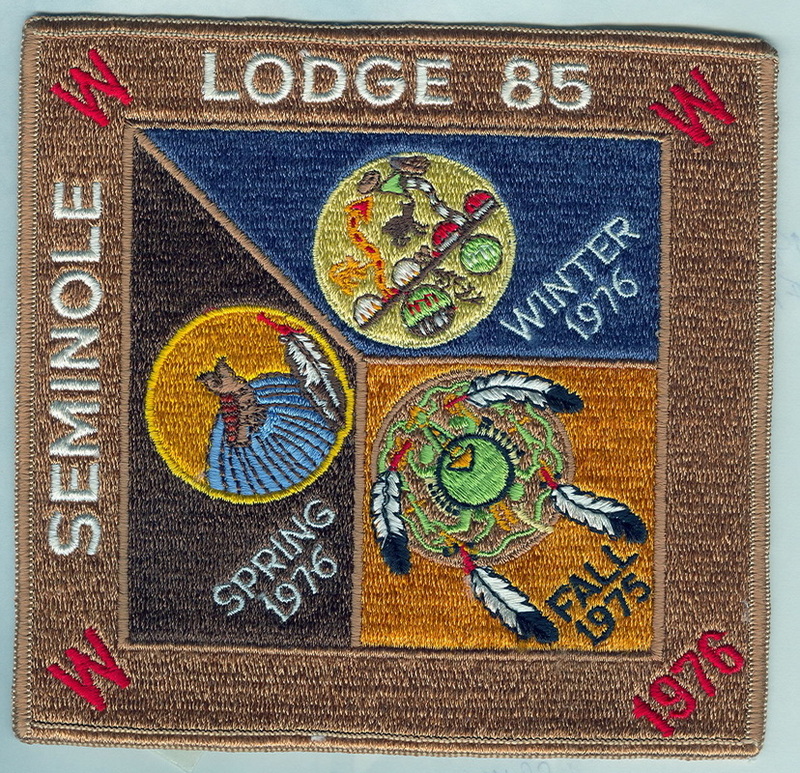 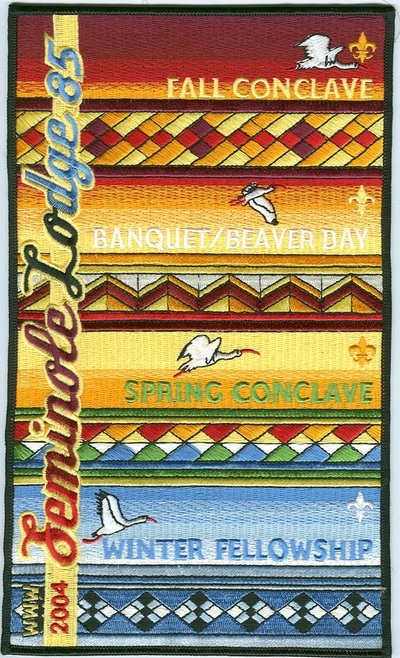 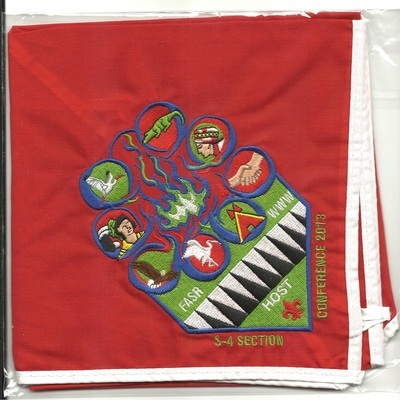 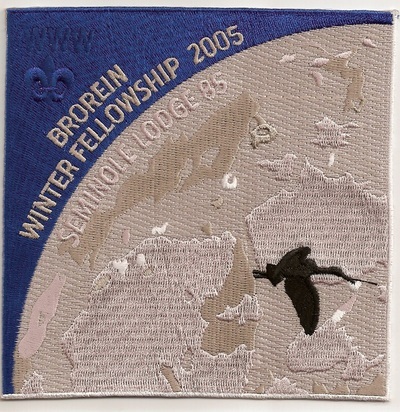 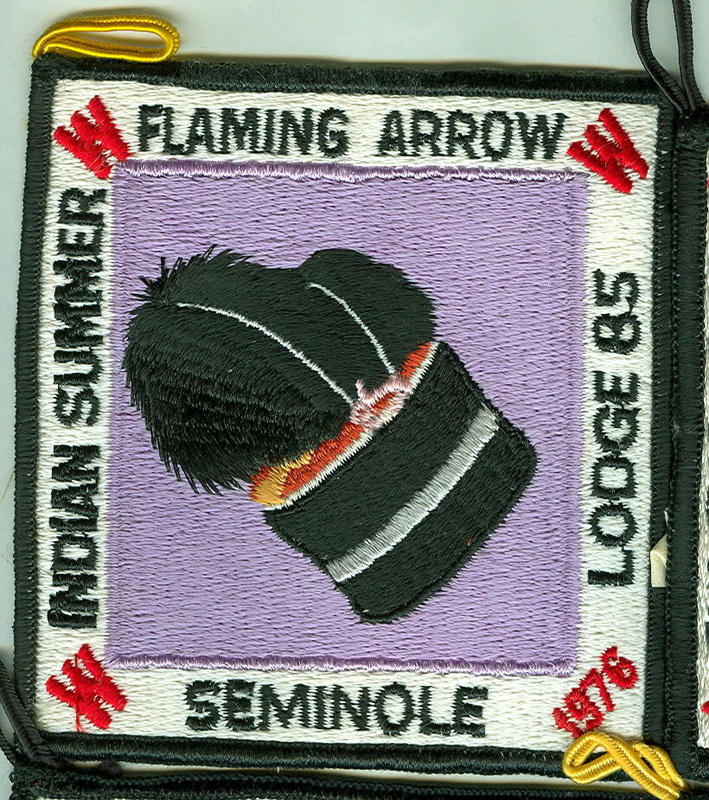 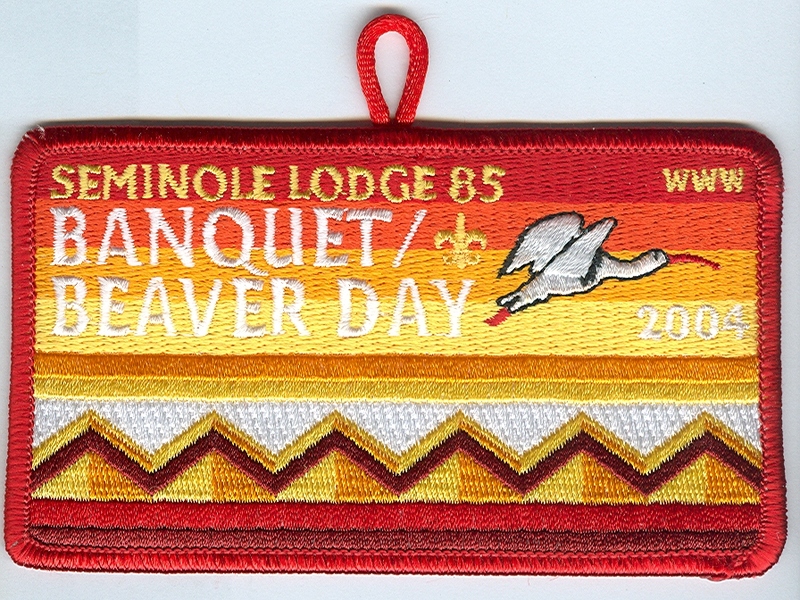 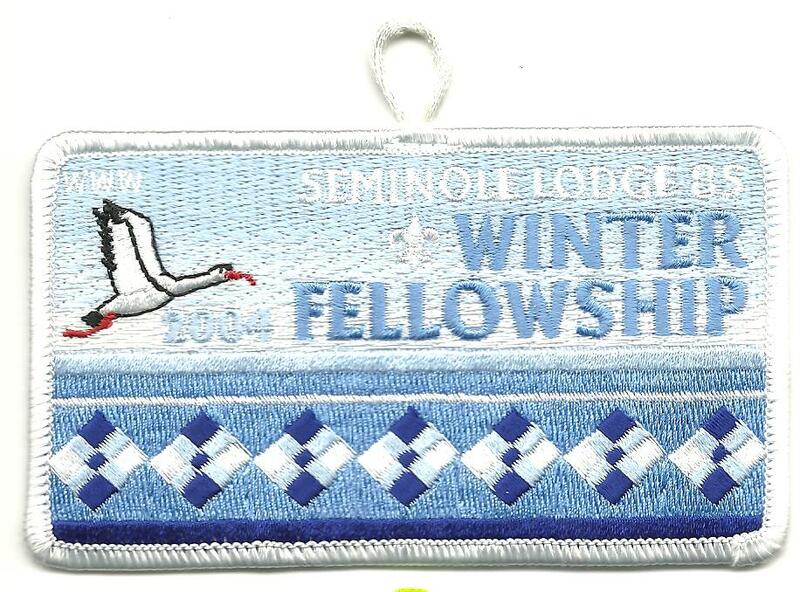 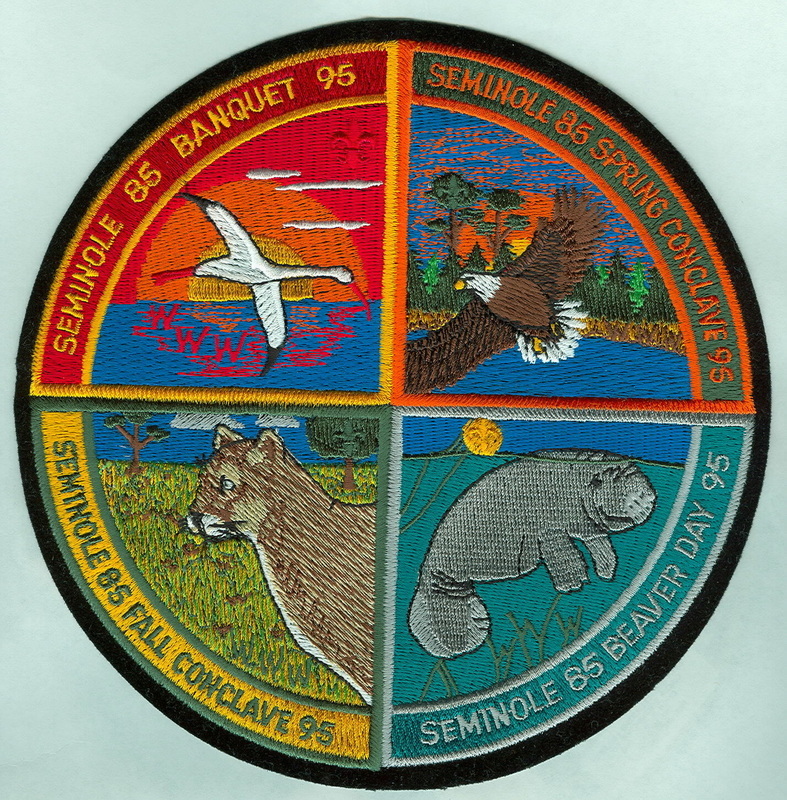 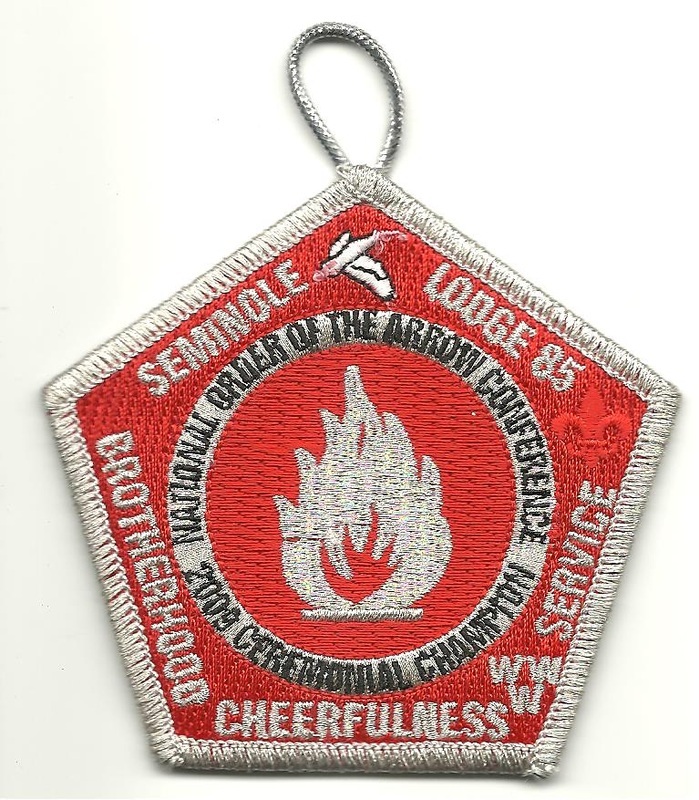 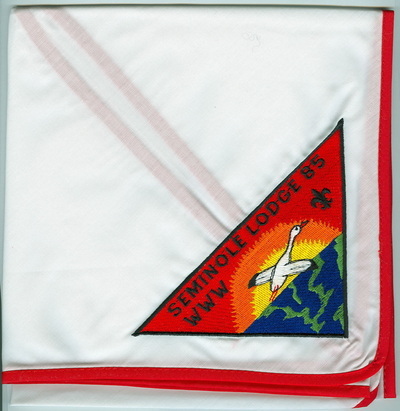 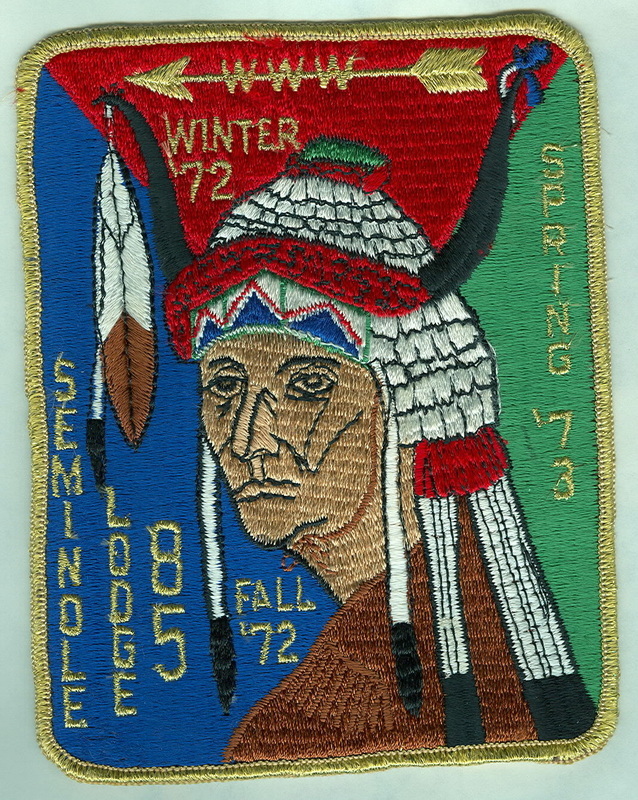 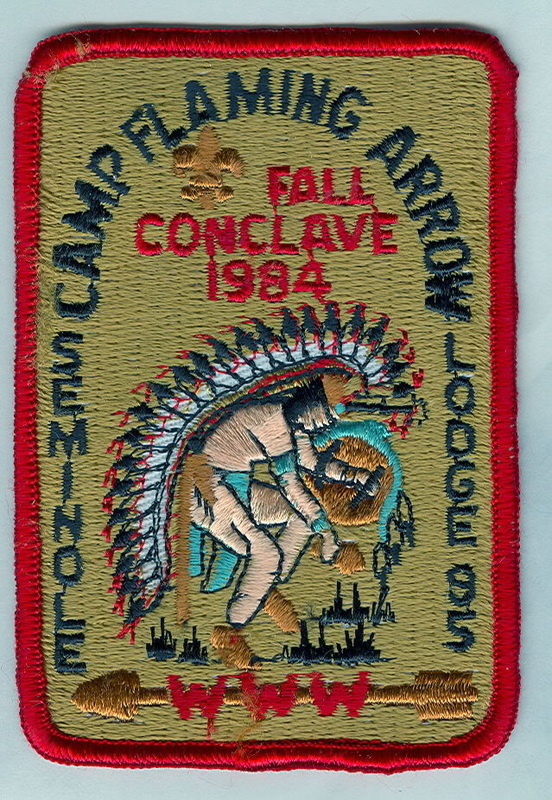 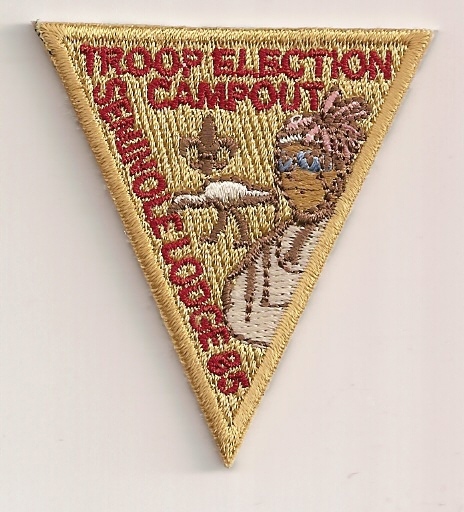 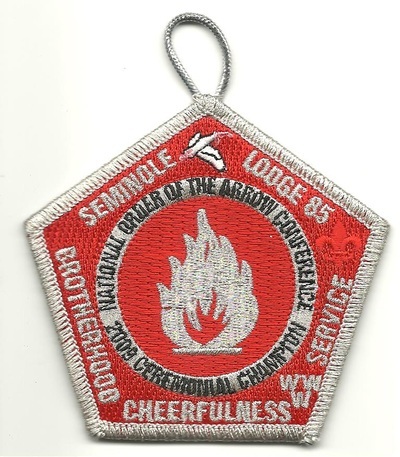 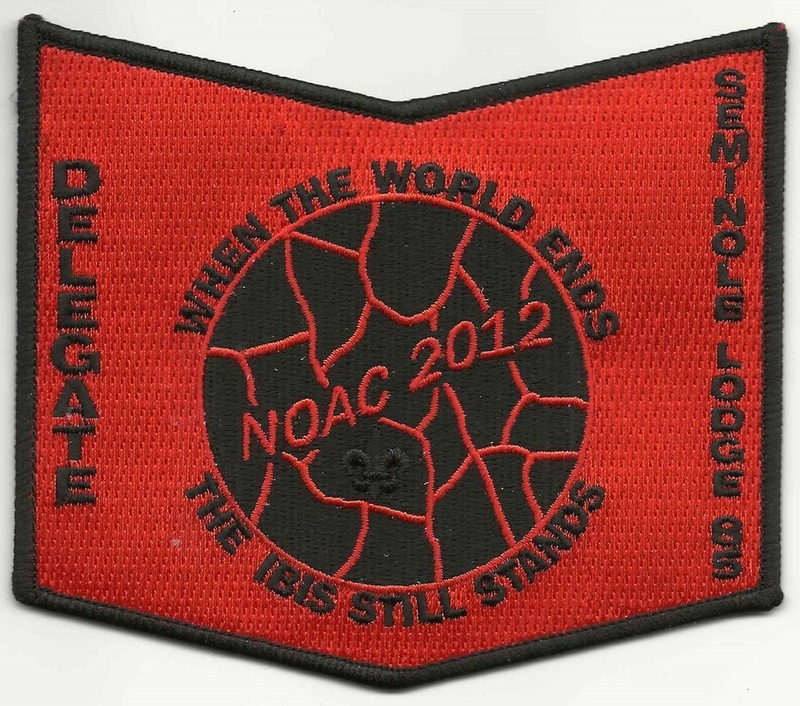 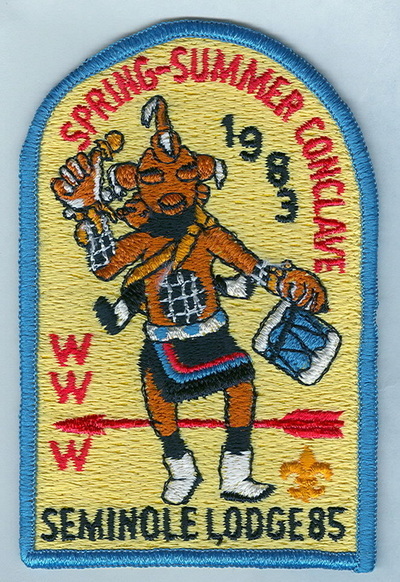 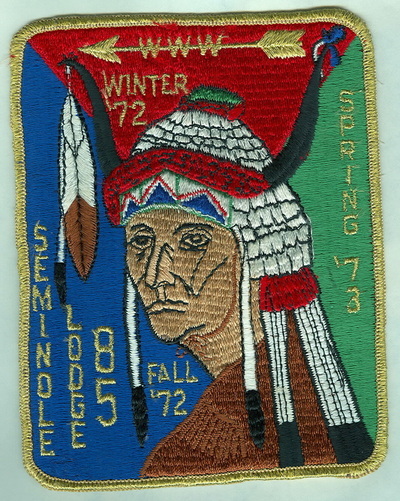 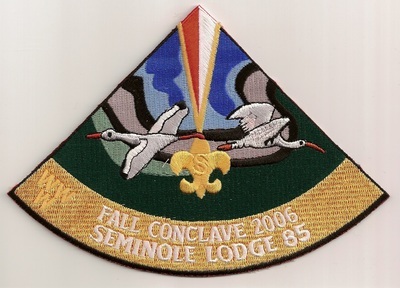 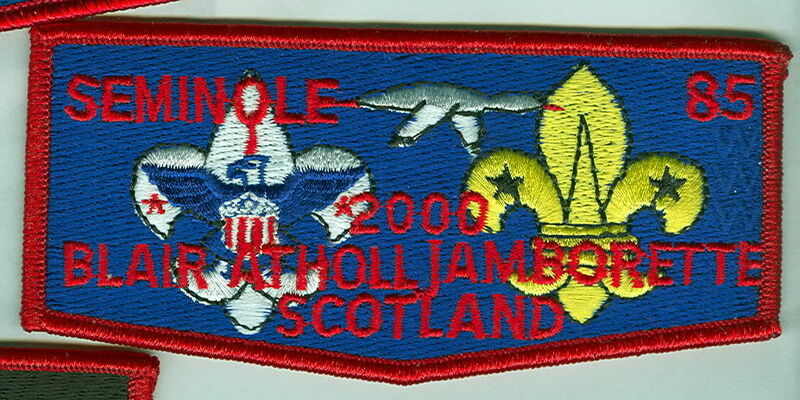 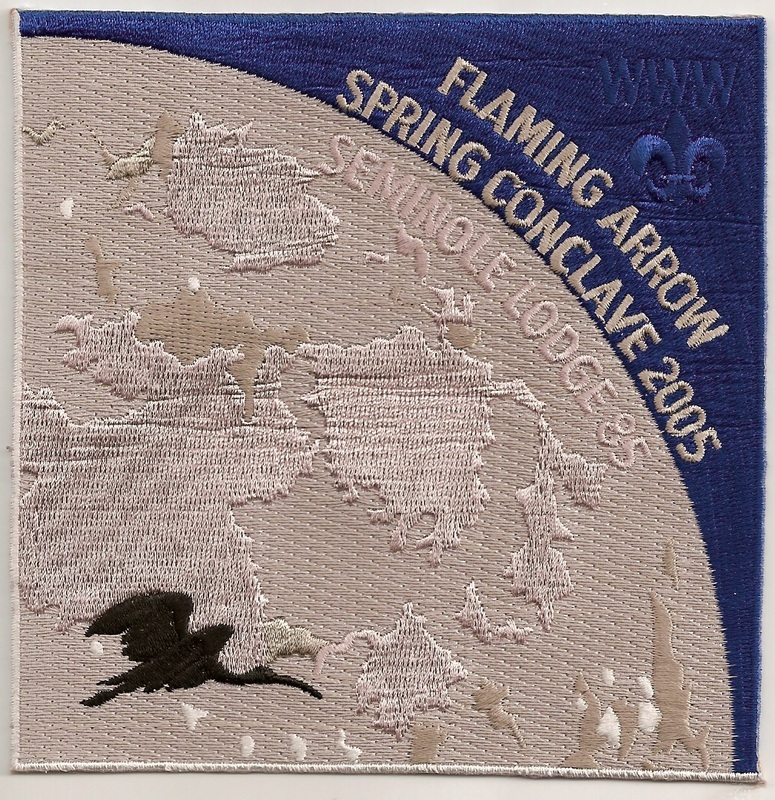 085-S-44 2003; HOME OF THE NATIONAL CHIEF; SMY border; given away by Nick Digirolamo; 200 made. 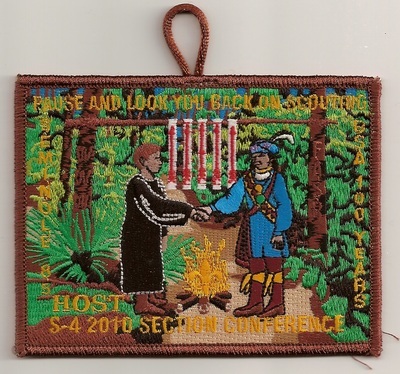 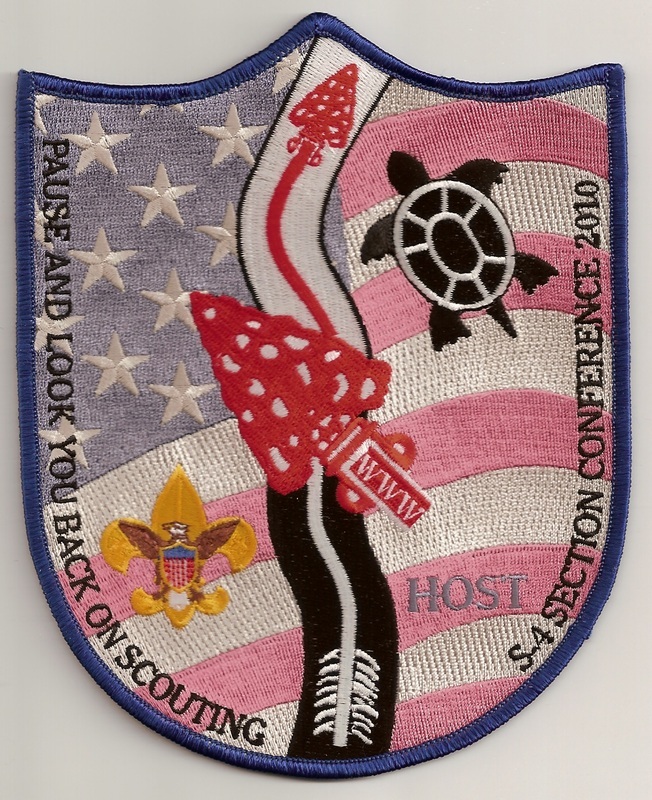 085-J-5 2010 Section S-4 Conference "THANK YOU"